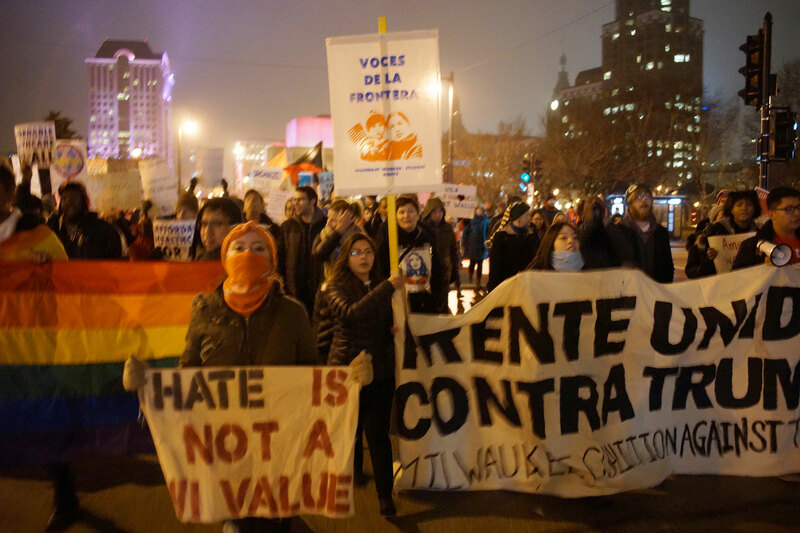 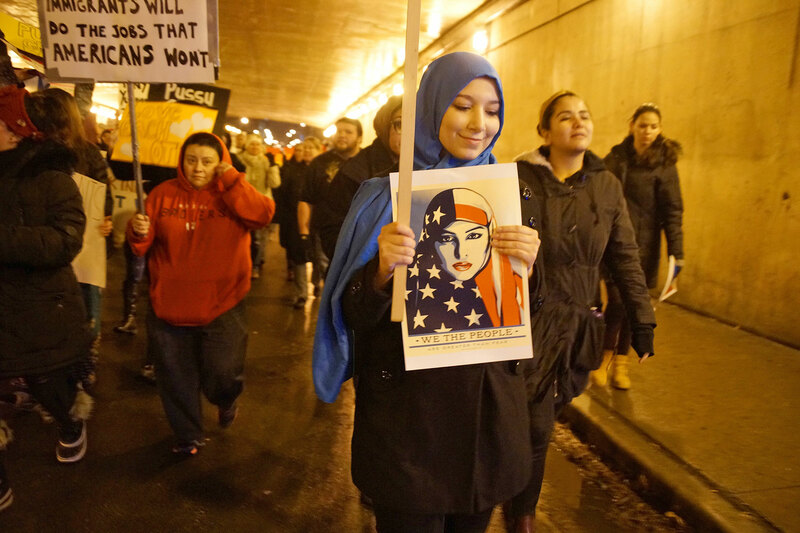 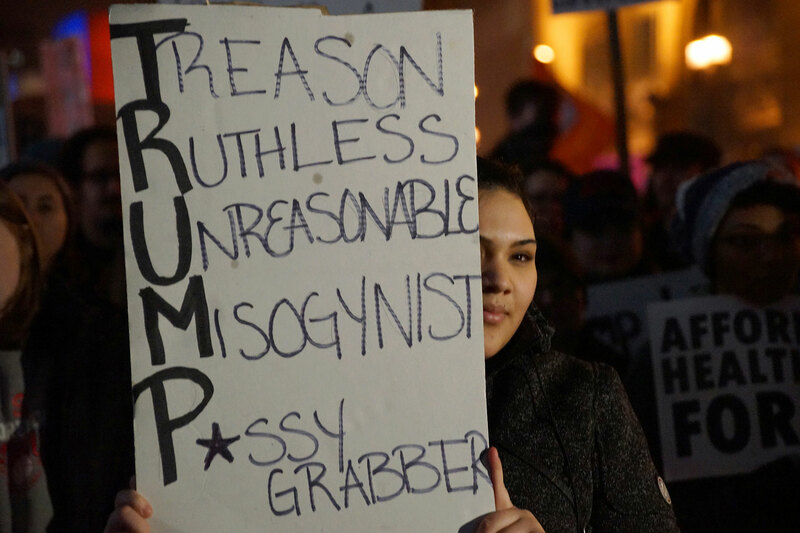 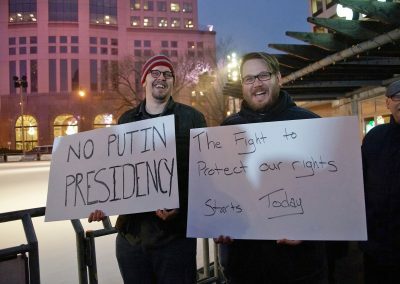 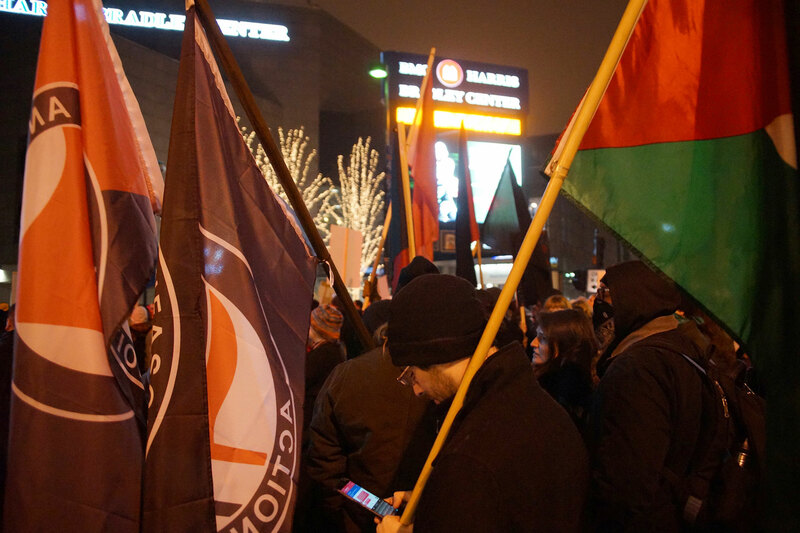 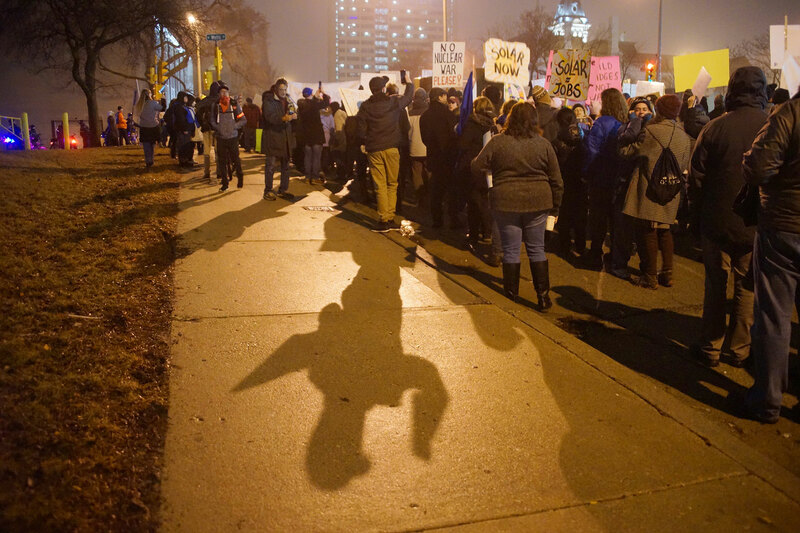 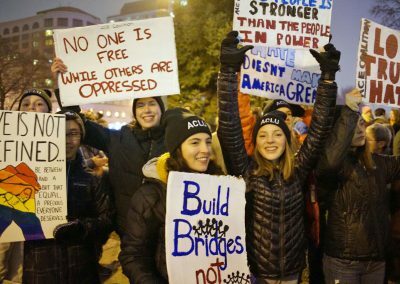 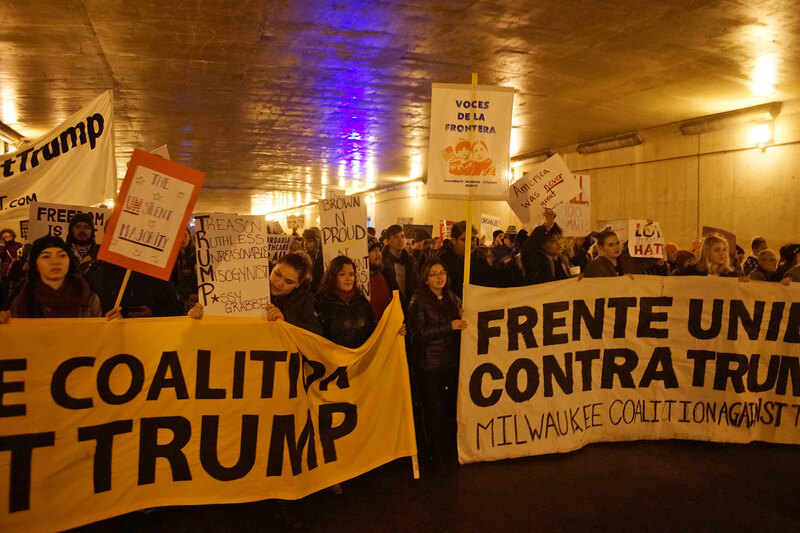 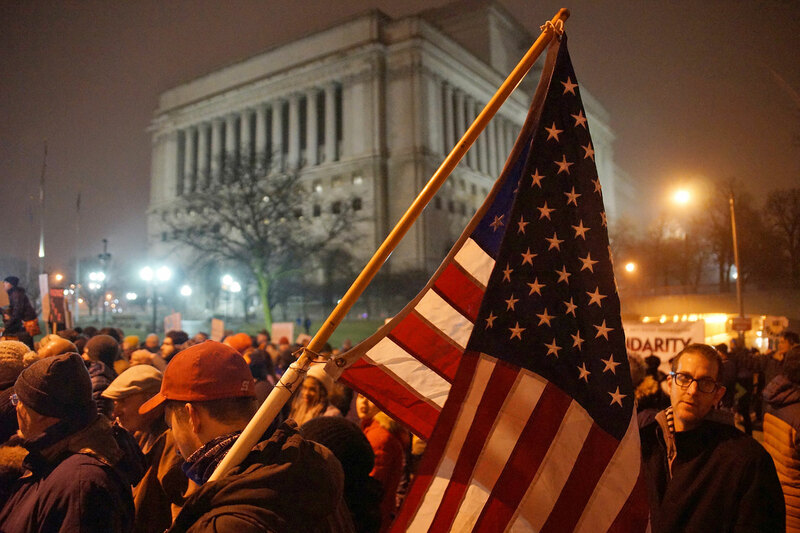 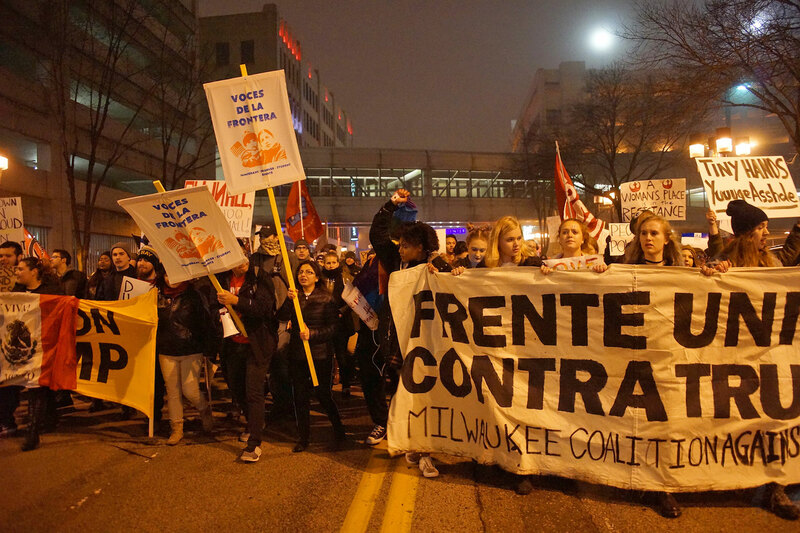 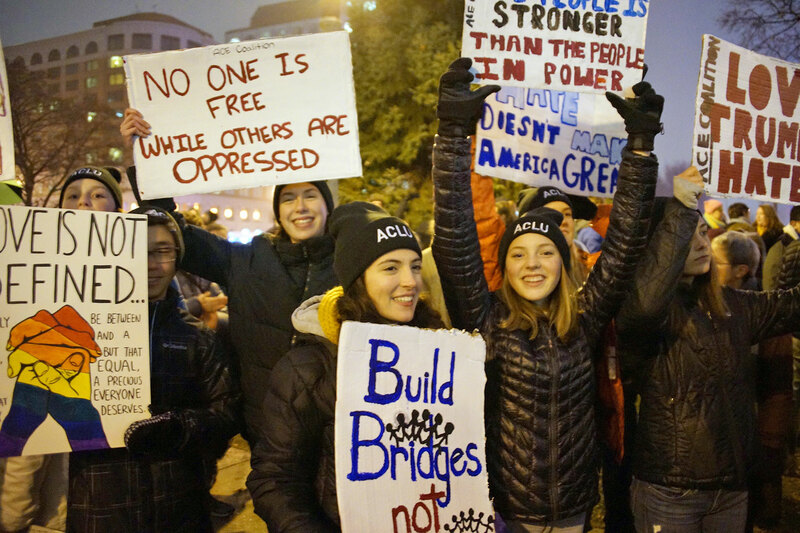 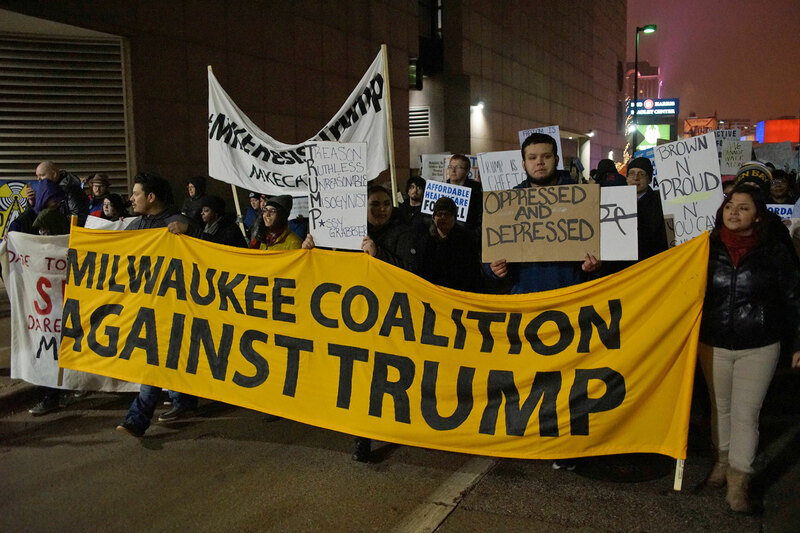 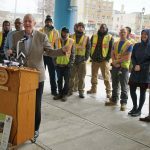 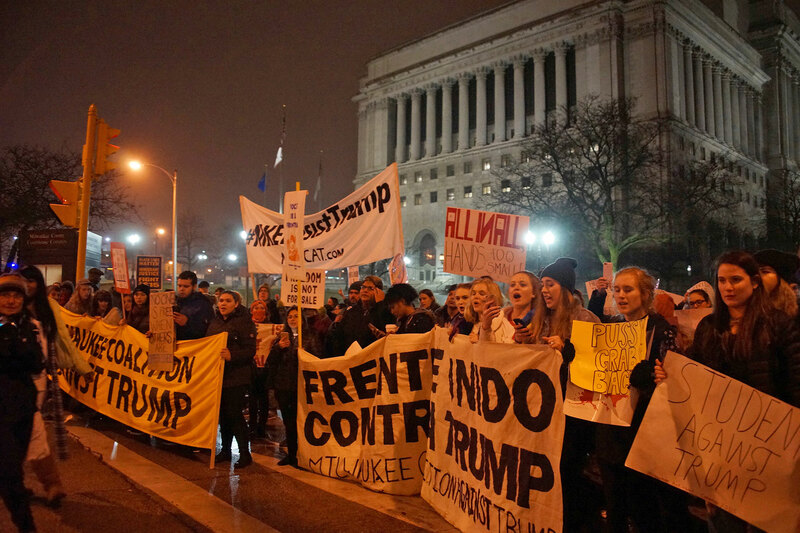 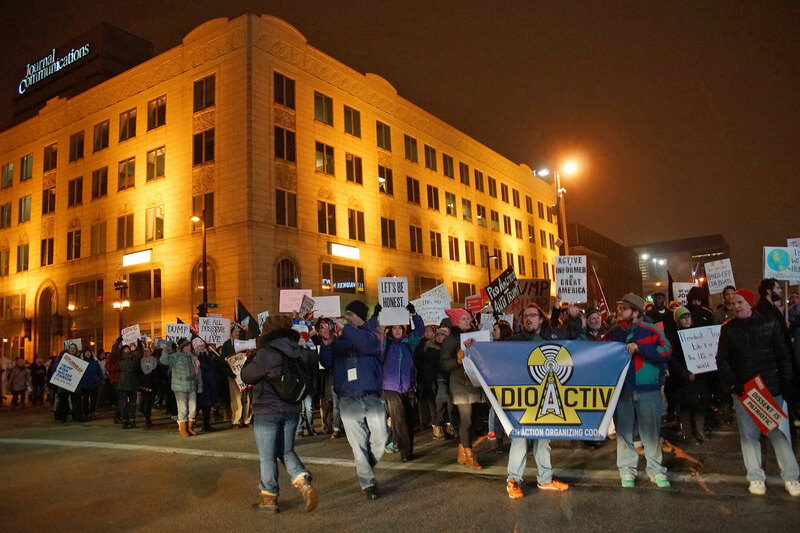 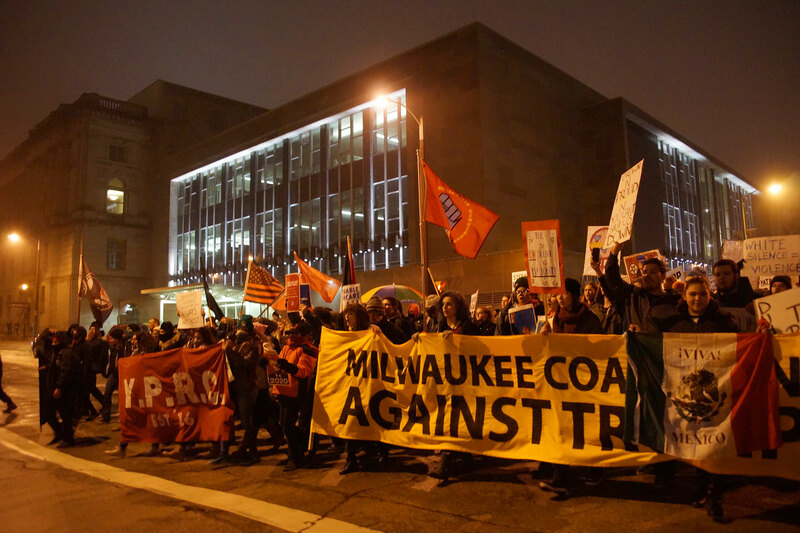 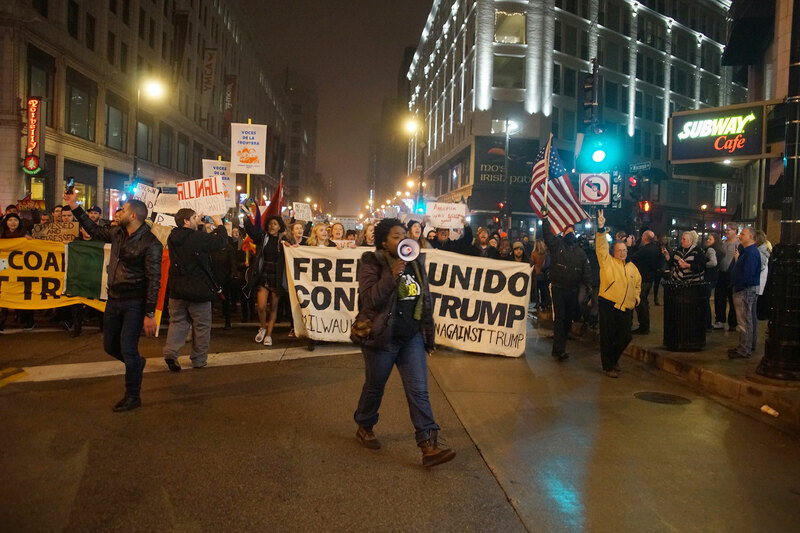 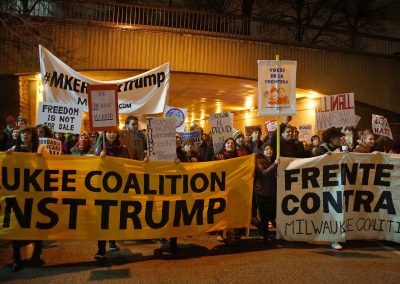 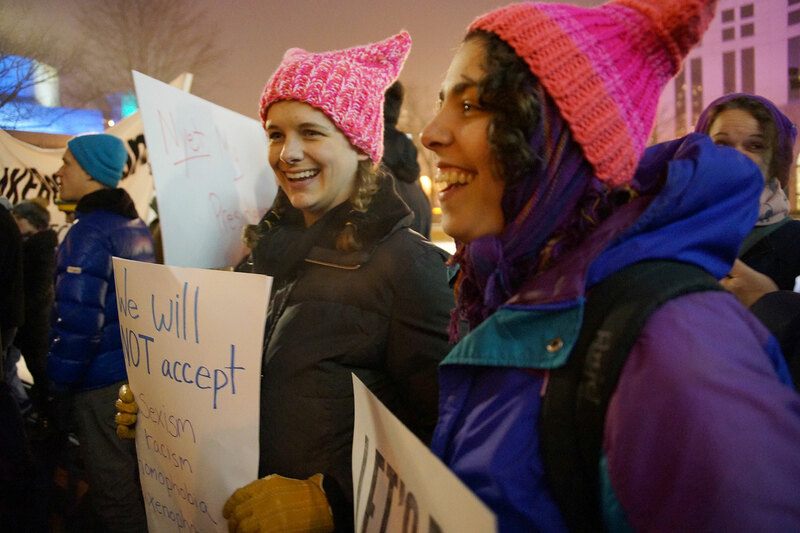 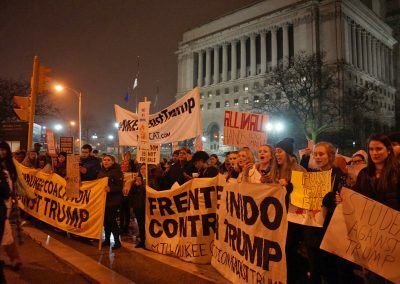 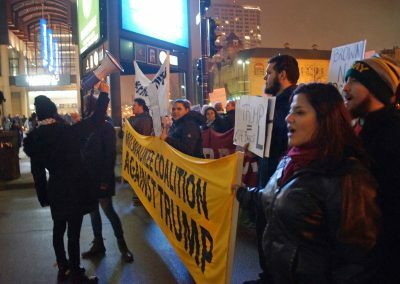 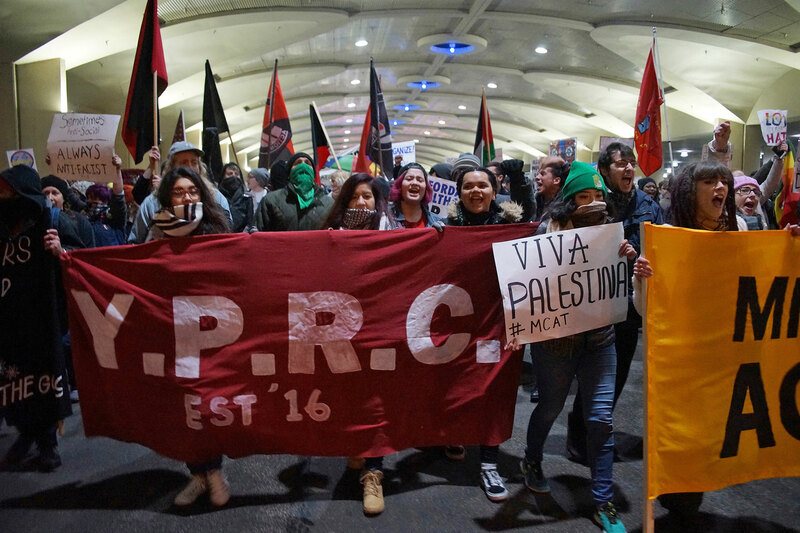 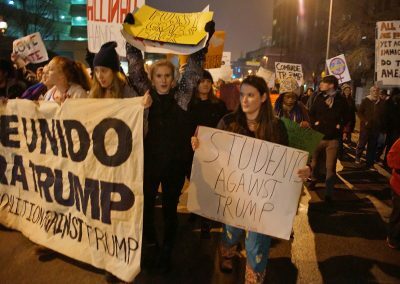 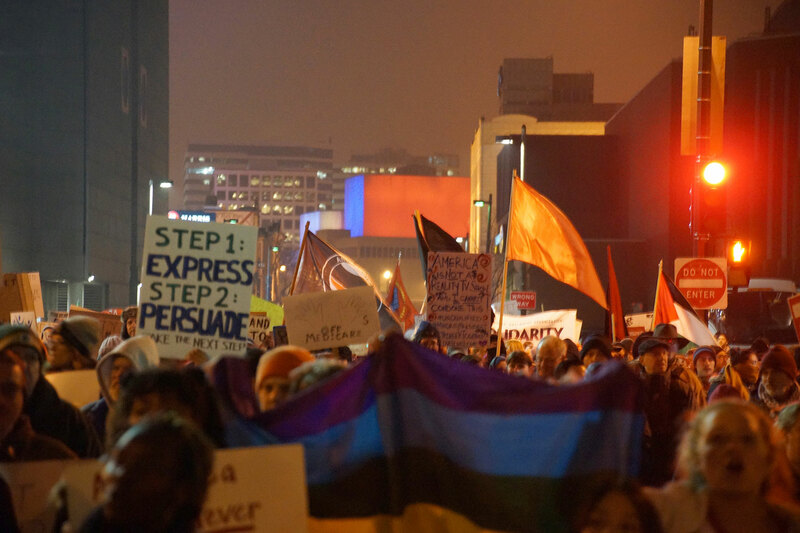 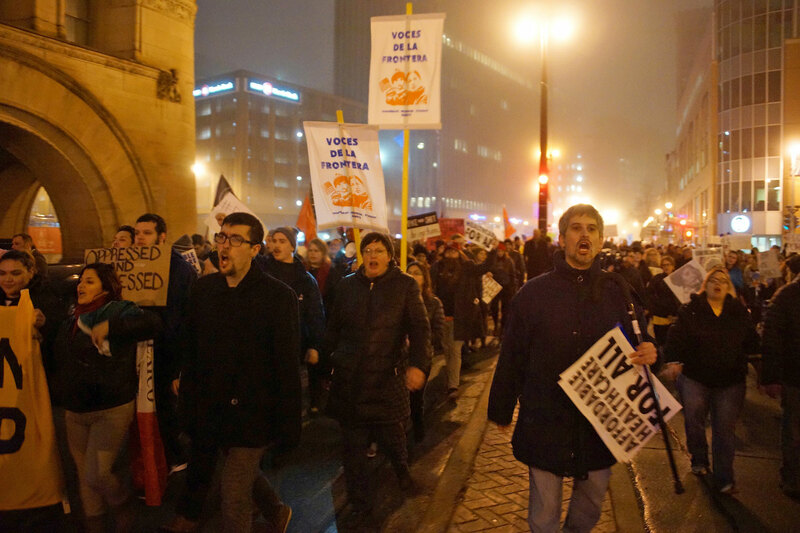 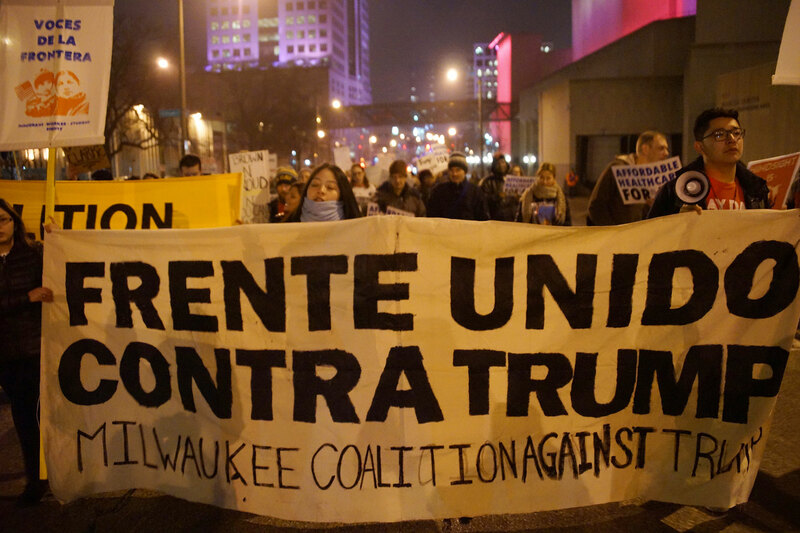 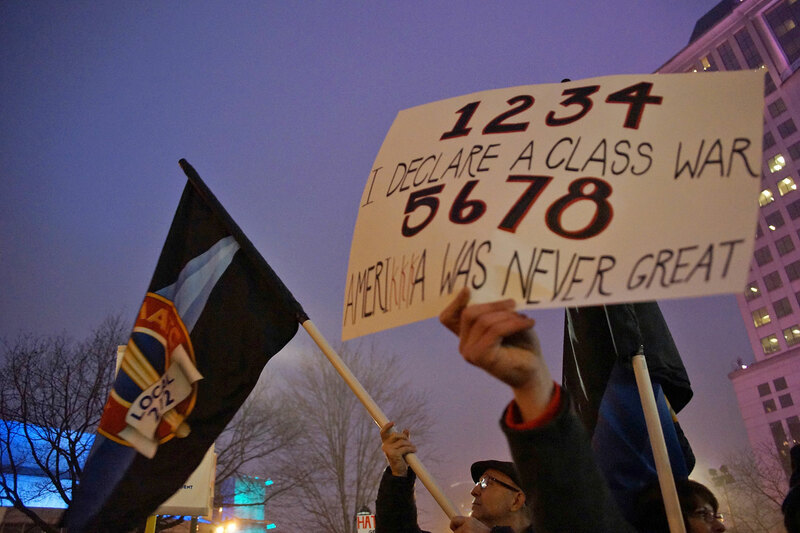 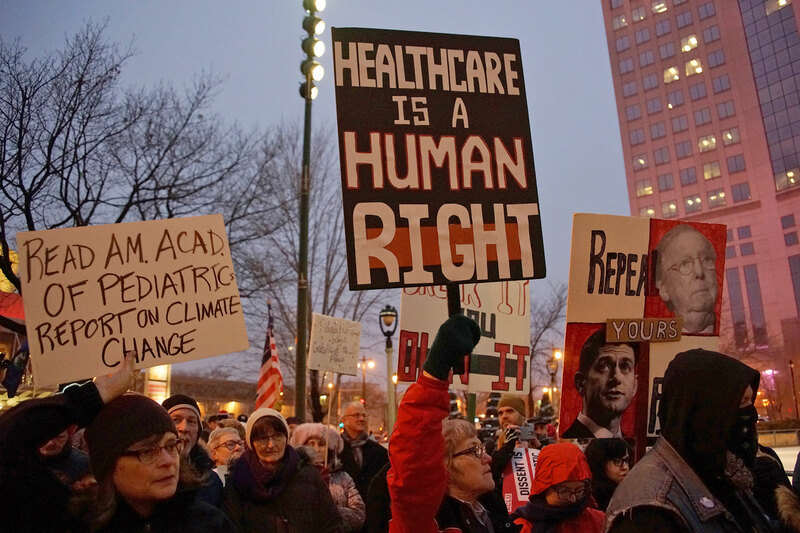 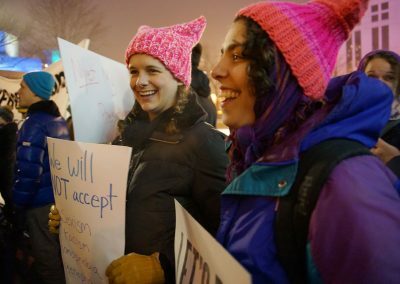 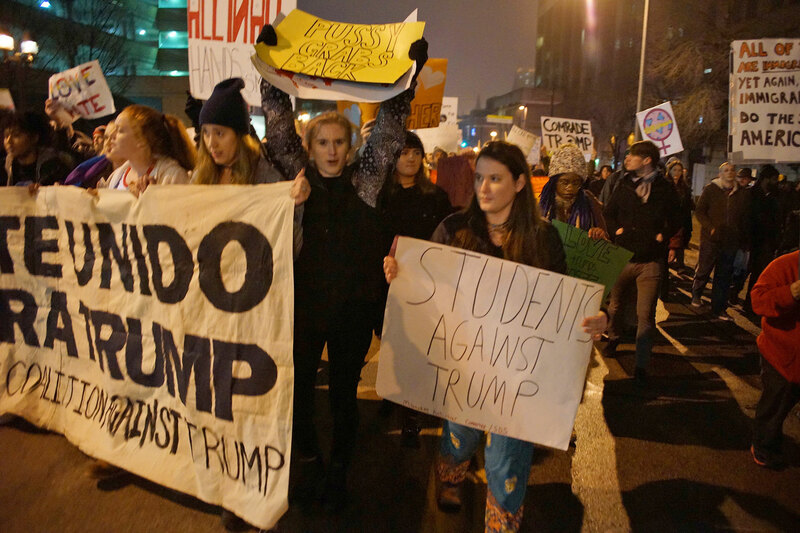 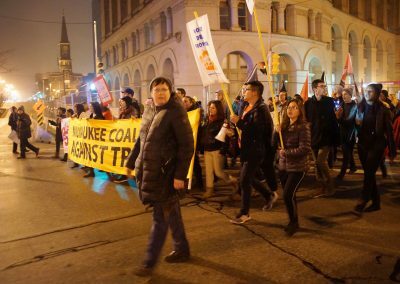 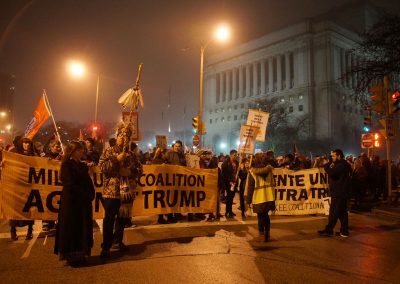 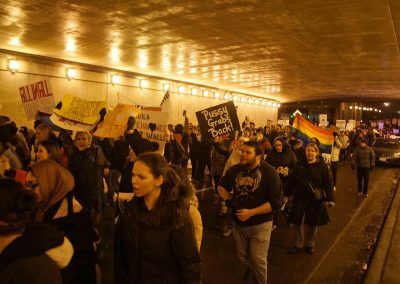 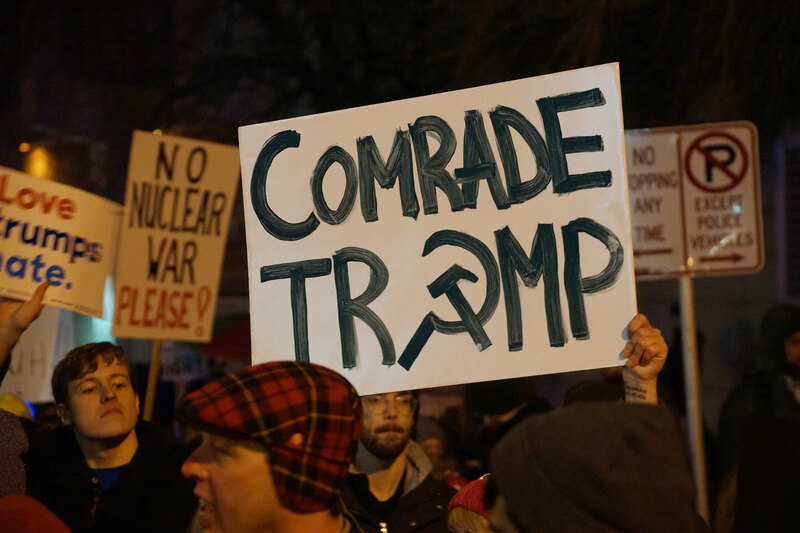 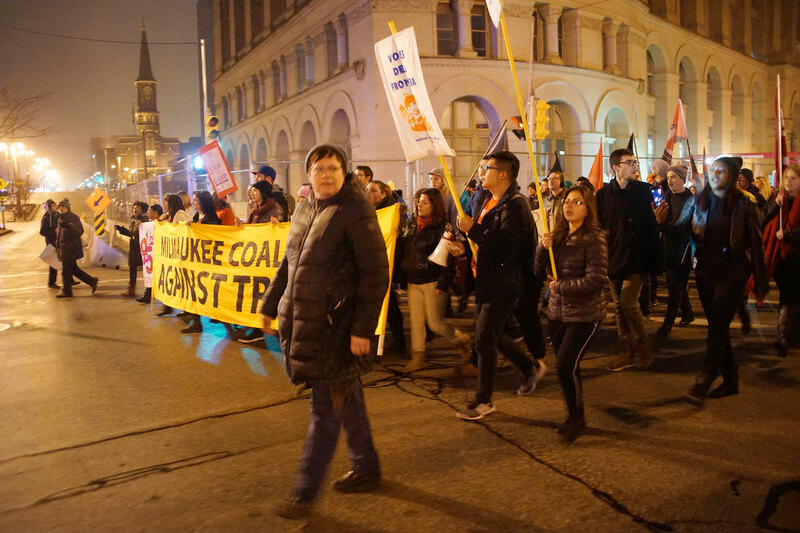 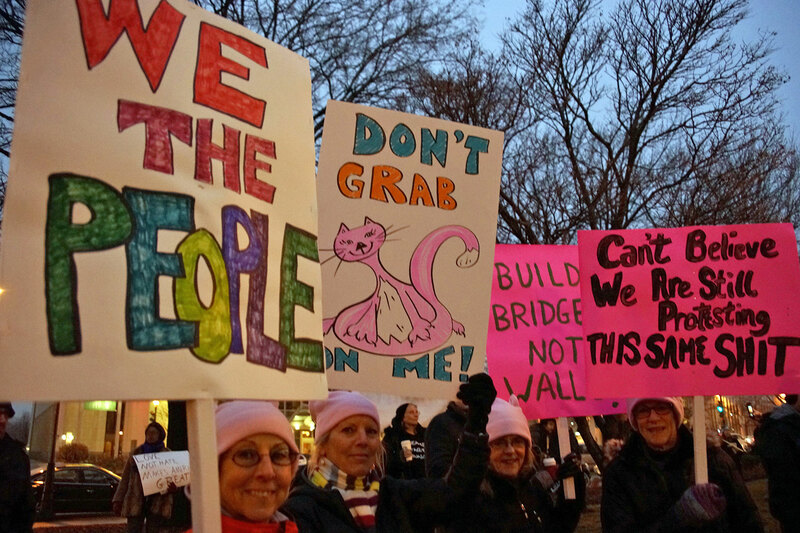 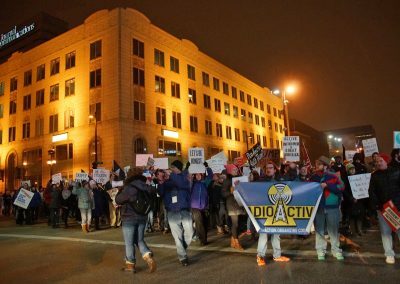 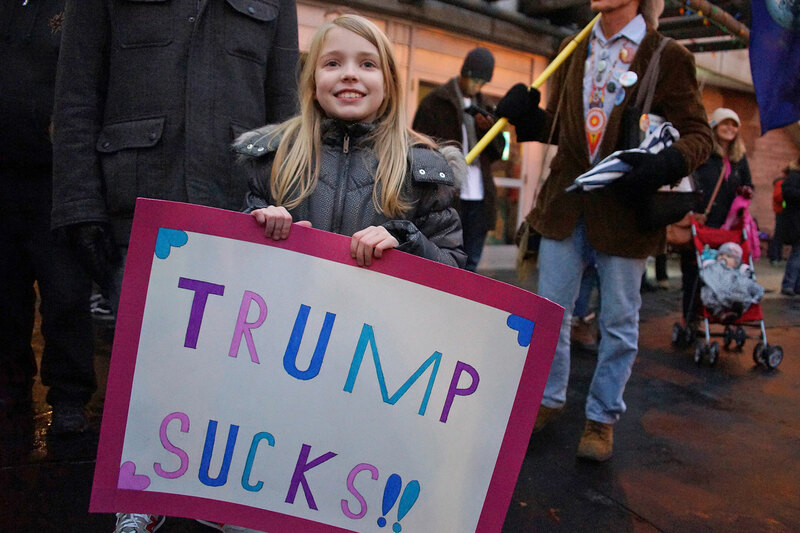 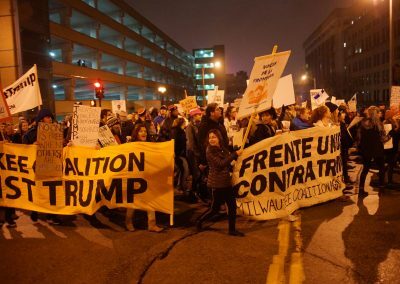 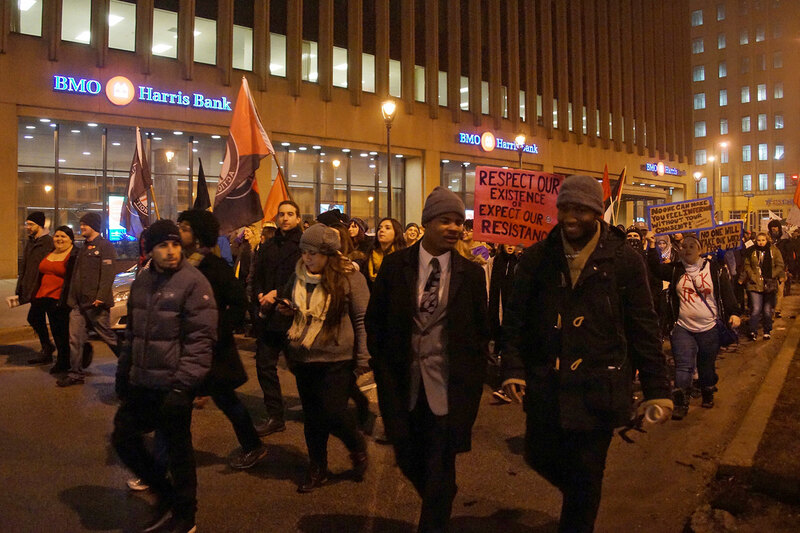 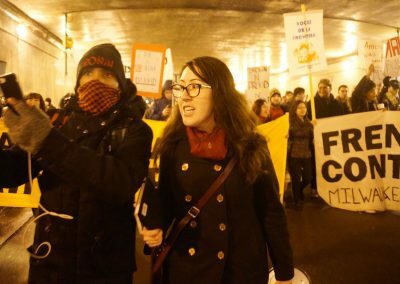 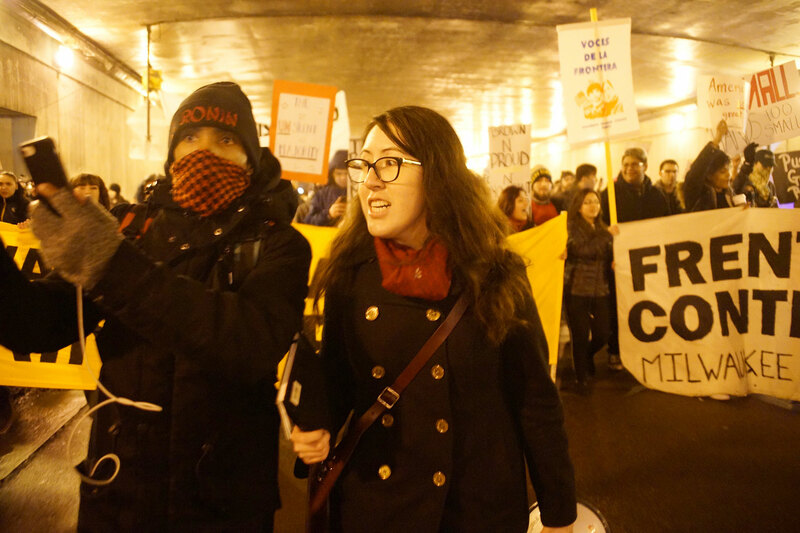 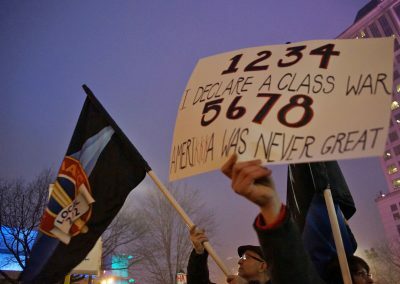 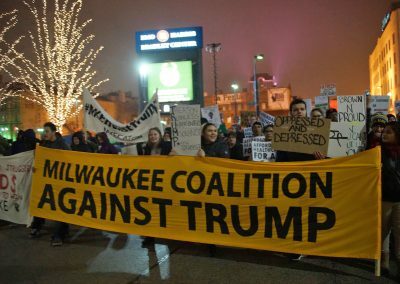 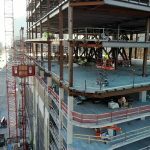 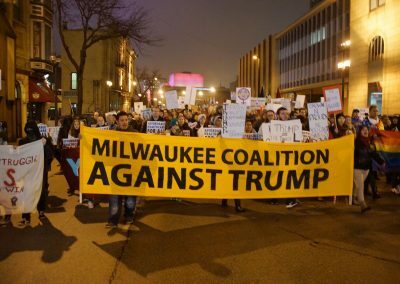 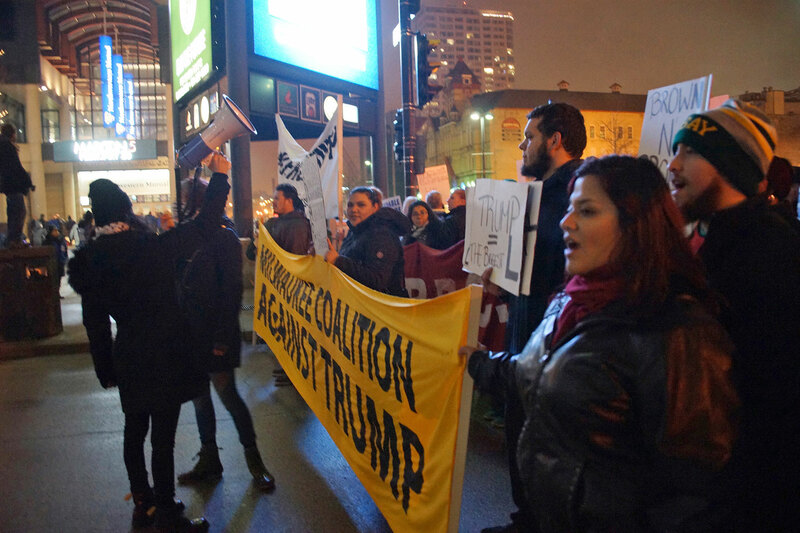 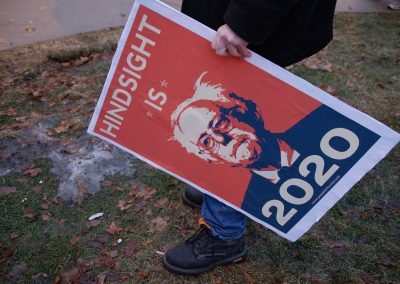 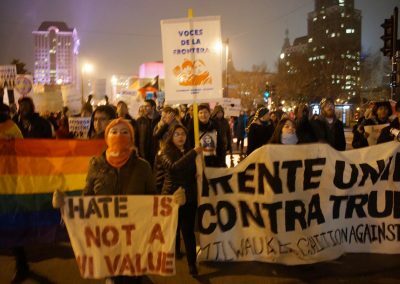 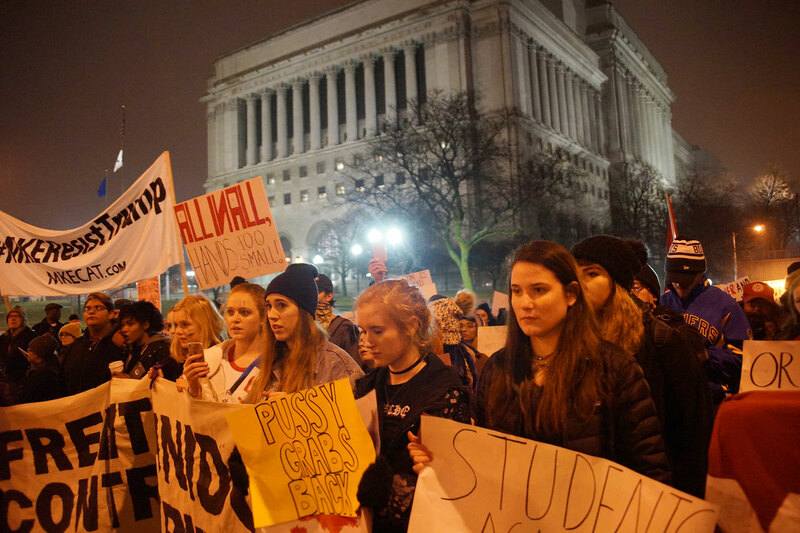 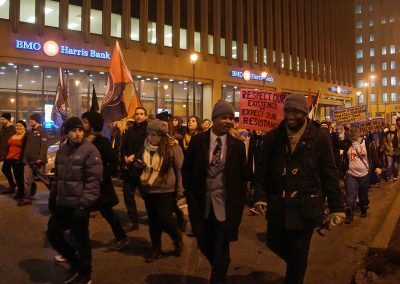 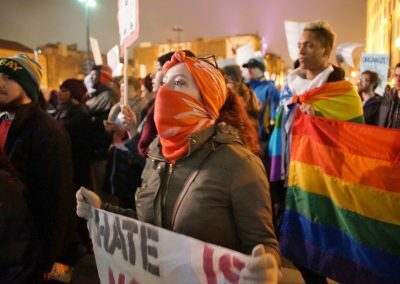 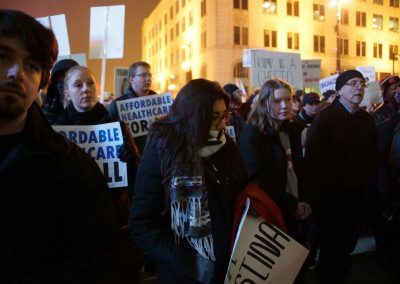 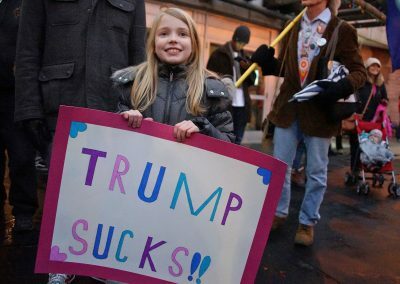 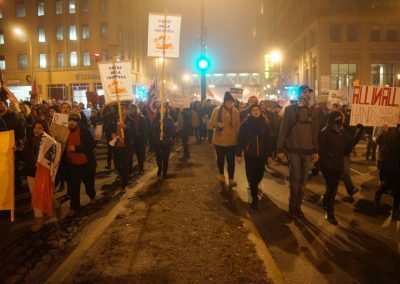 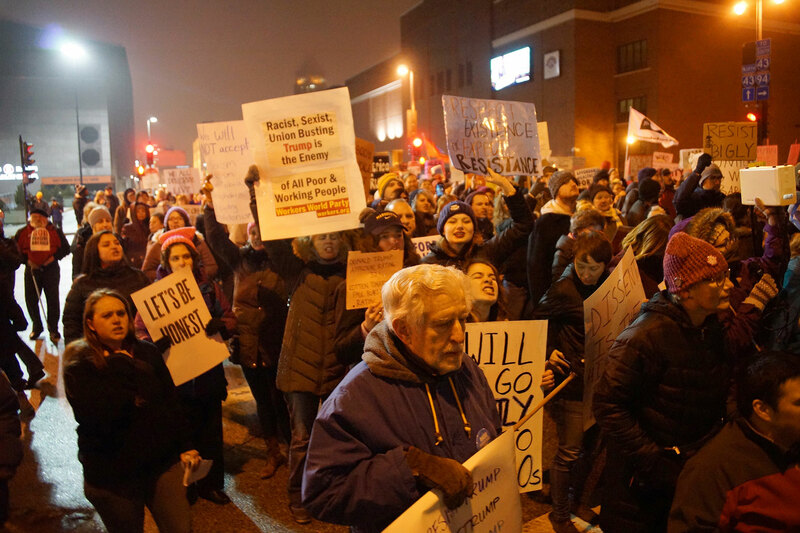 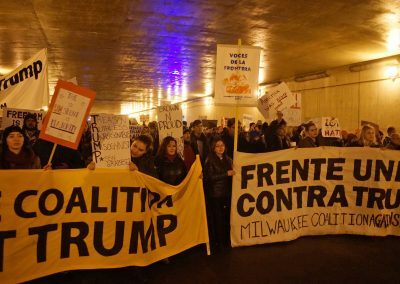 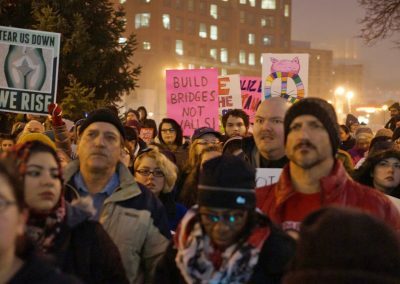 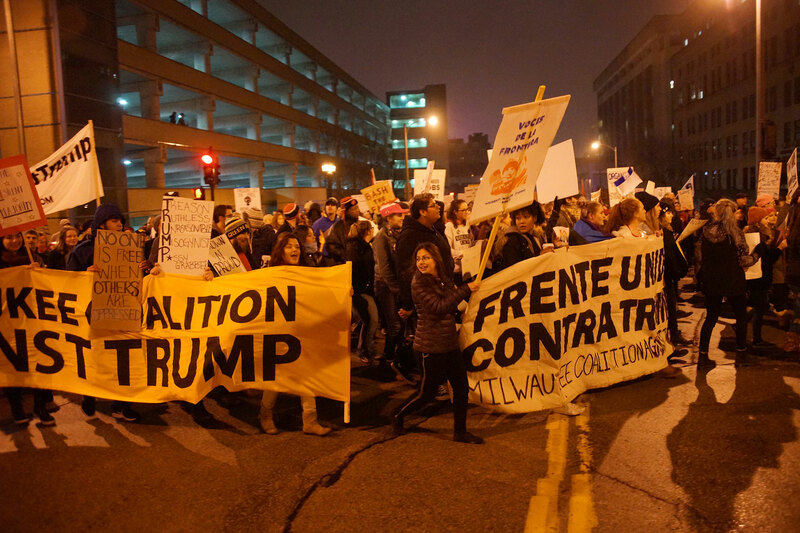 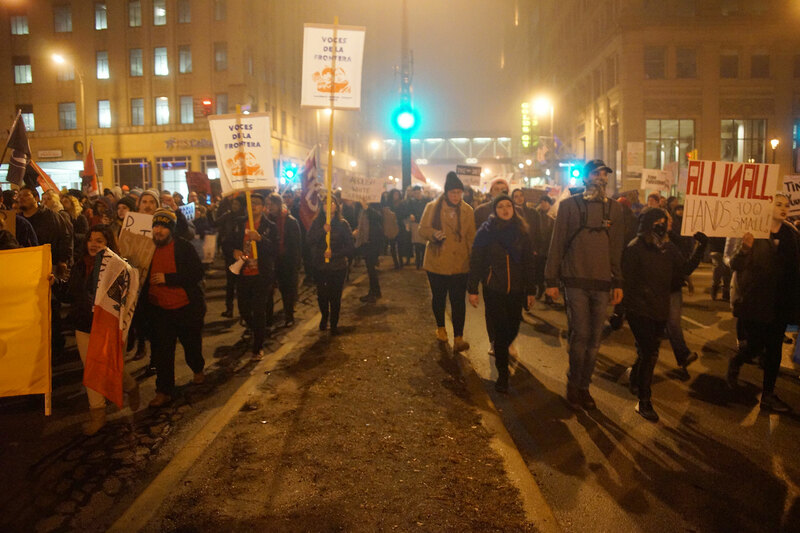 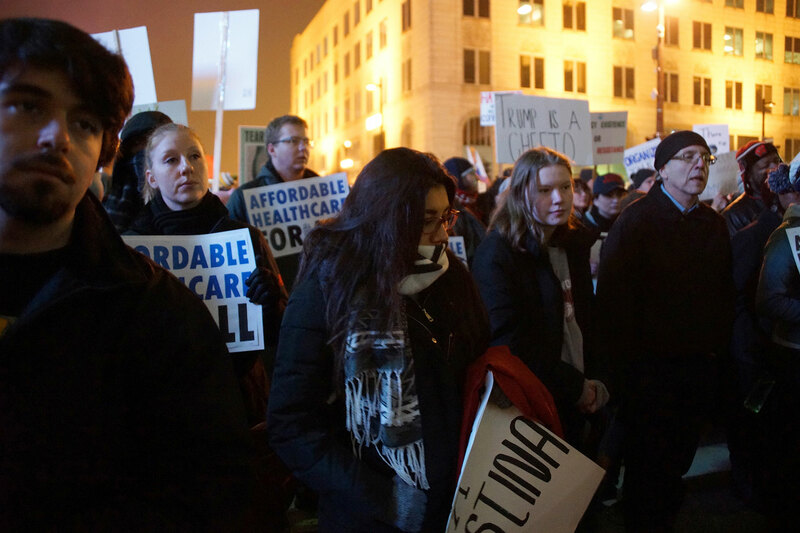 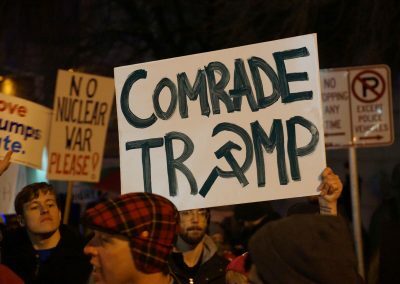 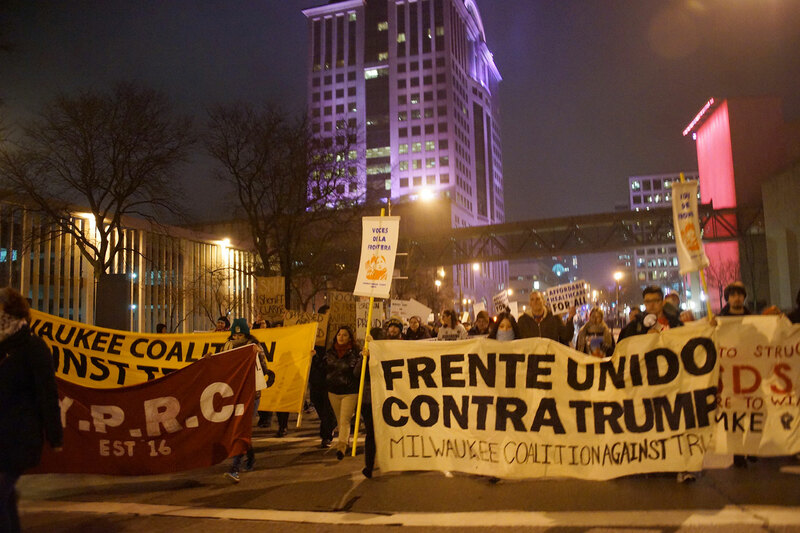 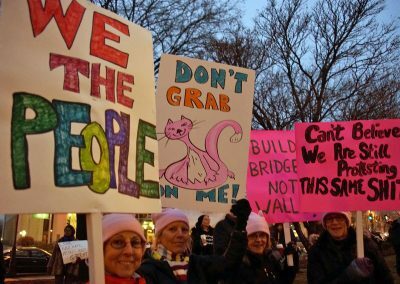 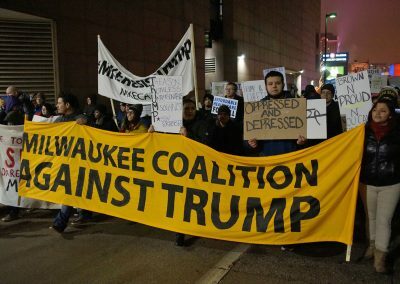 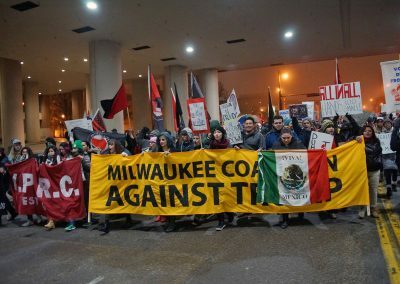 The Milwaukee Coalition Against Trump (MCAT) hosted a mass march on January 20, the inauguration day of President Trump. 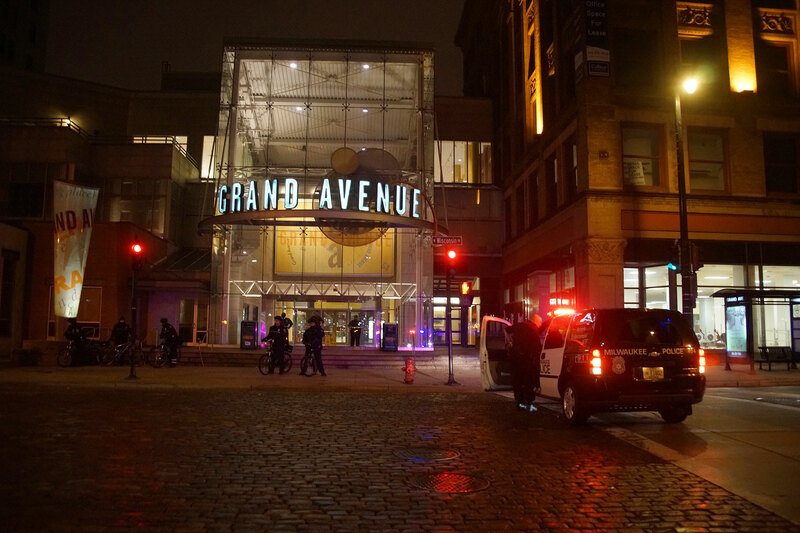 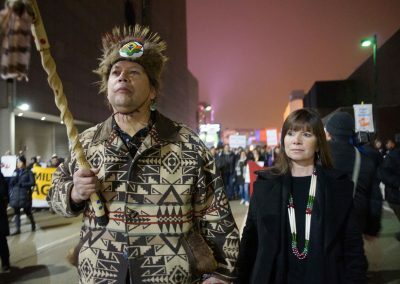 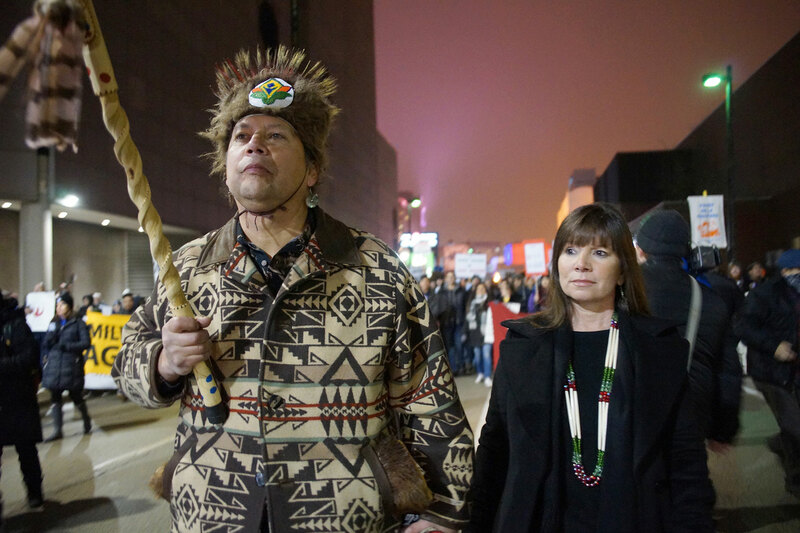 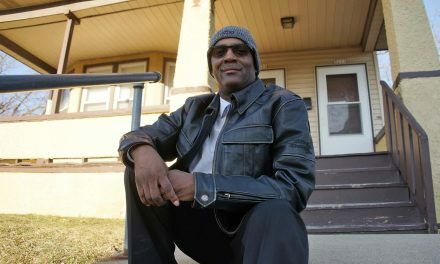 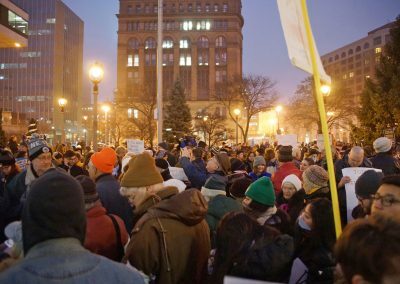 The public gathering was held at Red Arrow Park in downtown Milwaukee, which coincided with the birthday of Dontre Hamilton who died at the location in 2014. 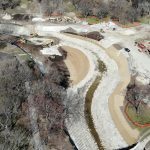 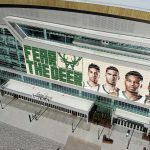 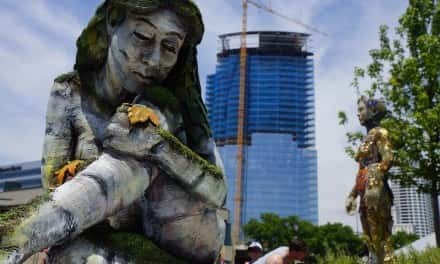 During typical Milwaukee winters, the Park would have been covered in snow. 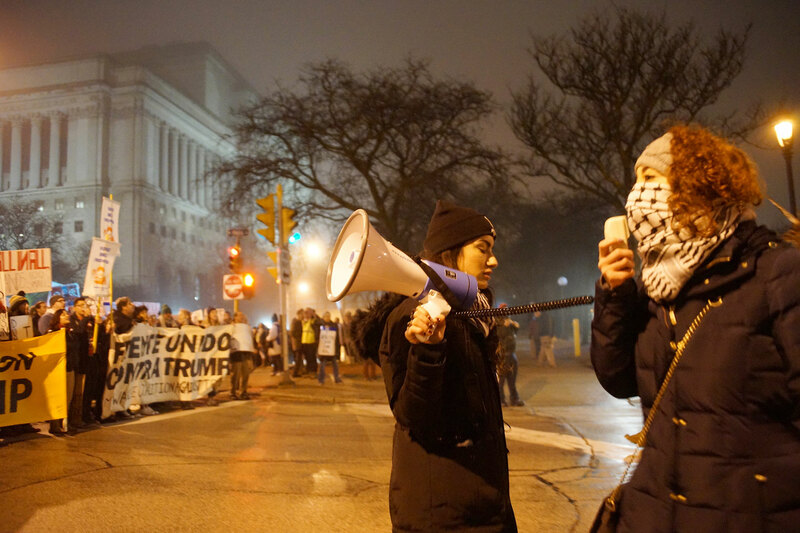 Instead, participants experienced mud and damp fog. 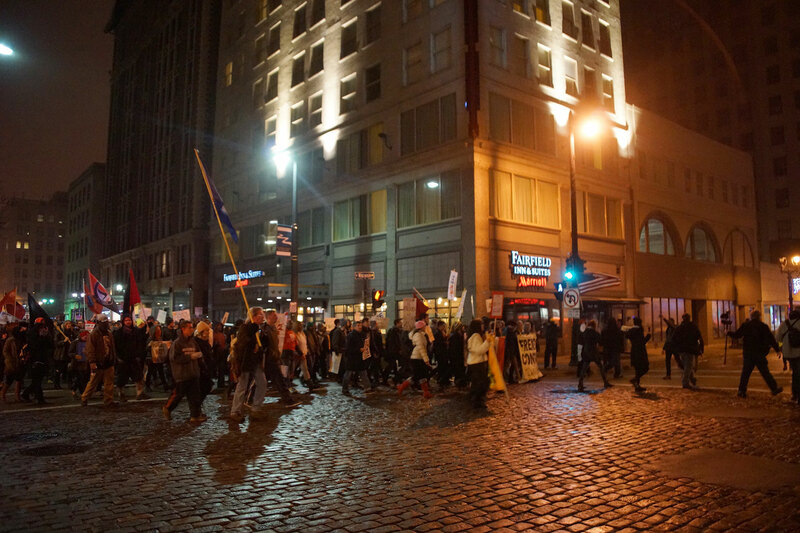 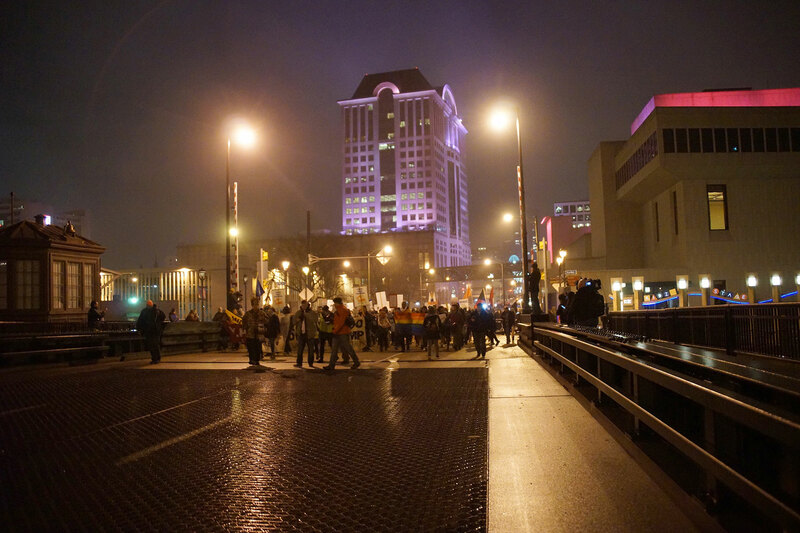 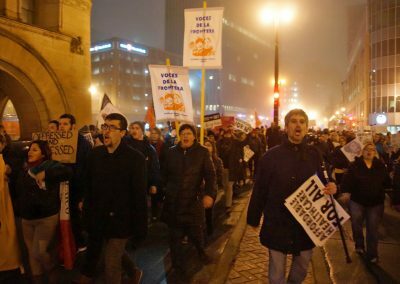 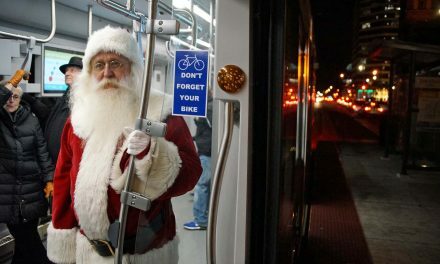 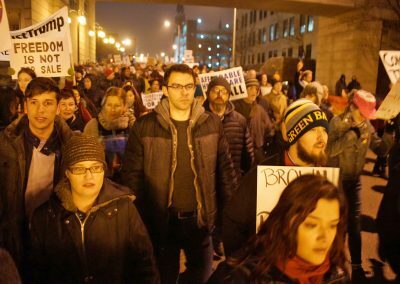 More than one thousand citizens participated in the rally, and followed the two-mile route through city streets. 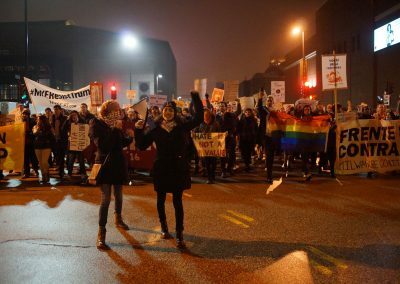 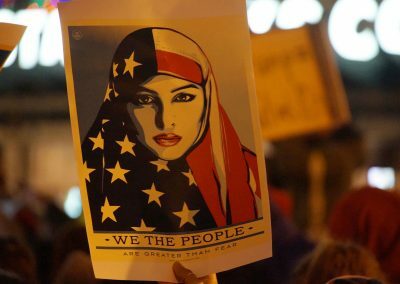 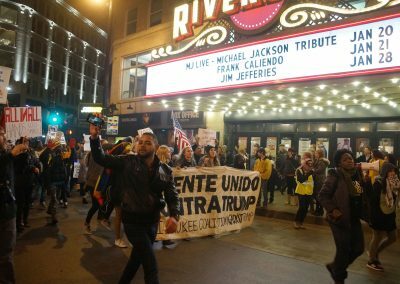 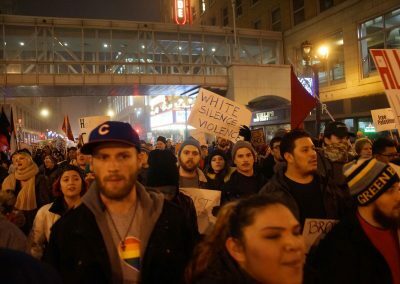 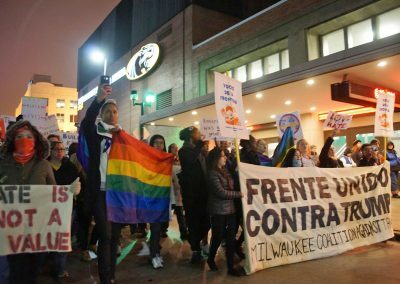 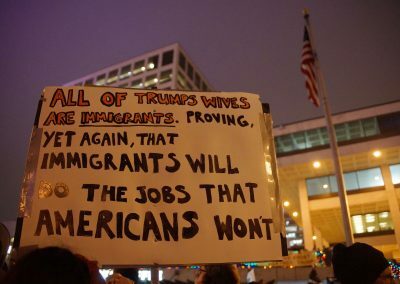 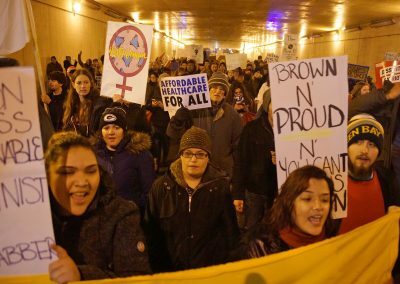 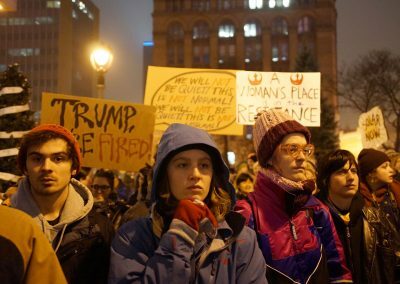 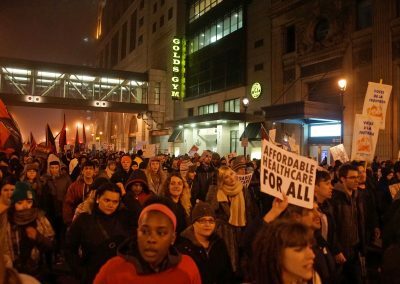 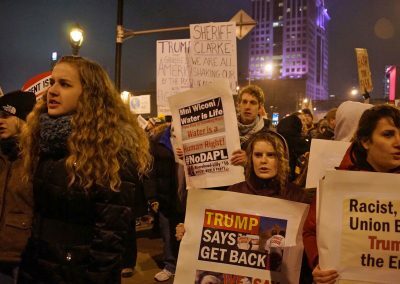 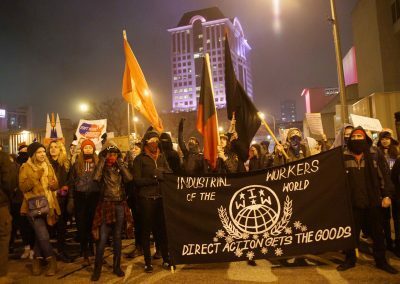 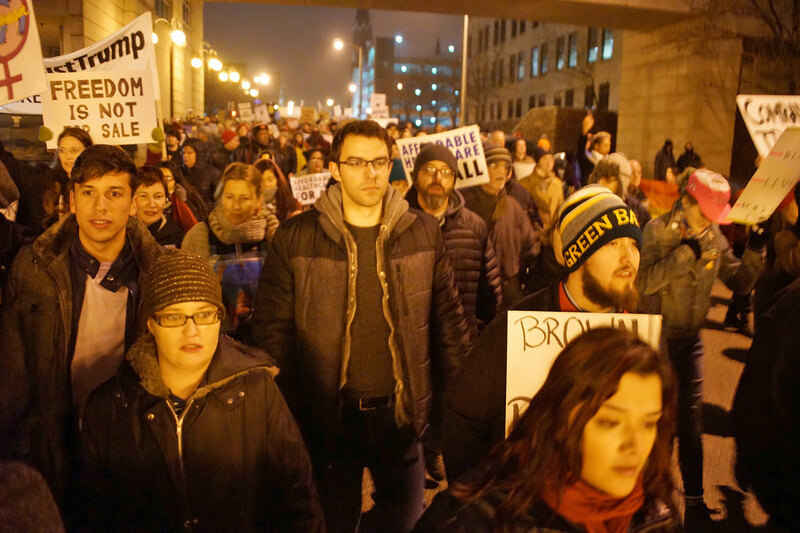 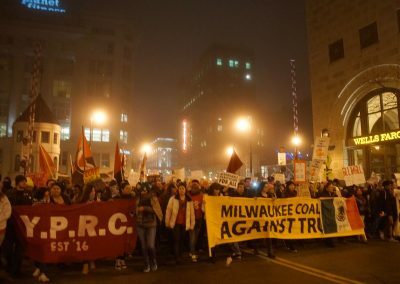 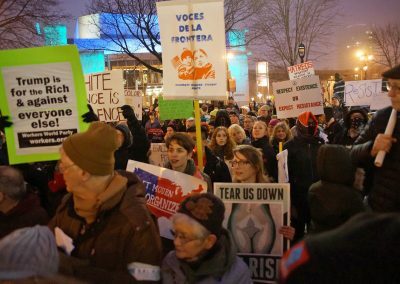 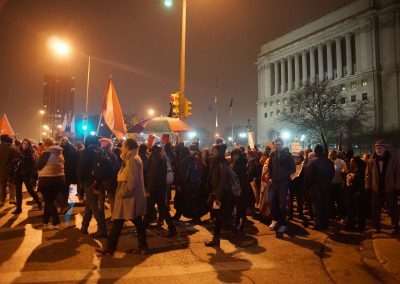 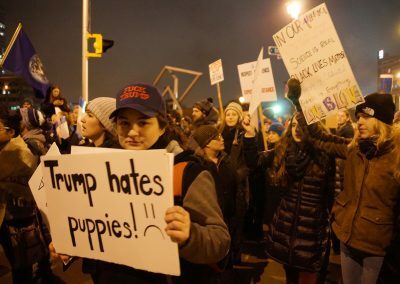 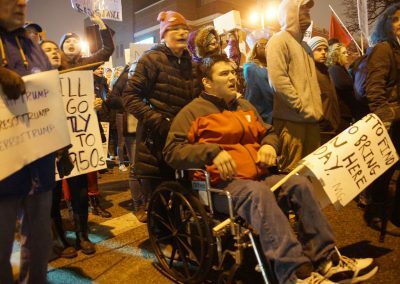 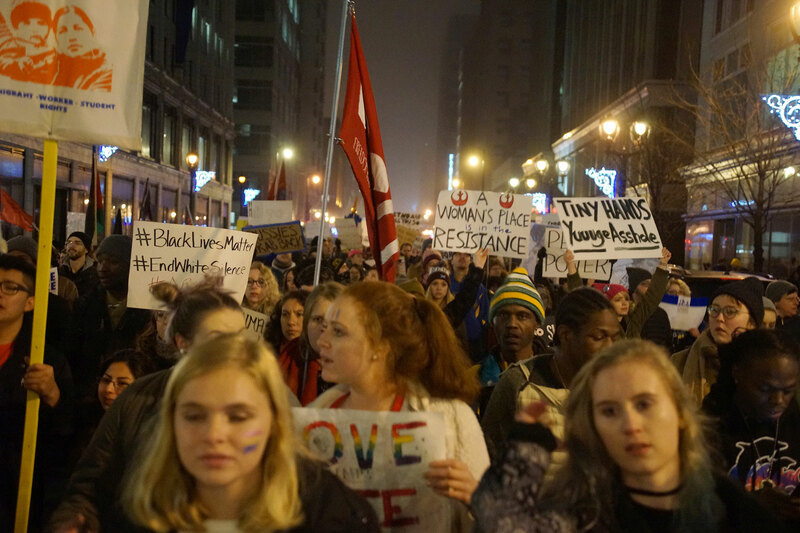 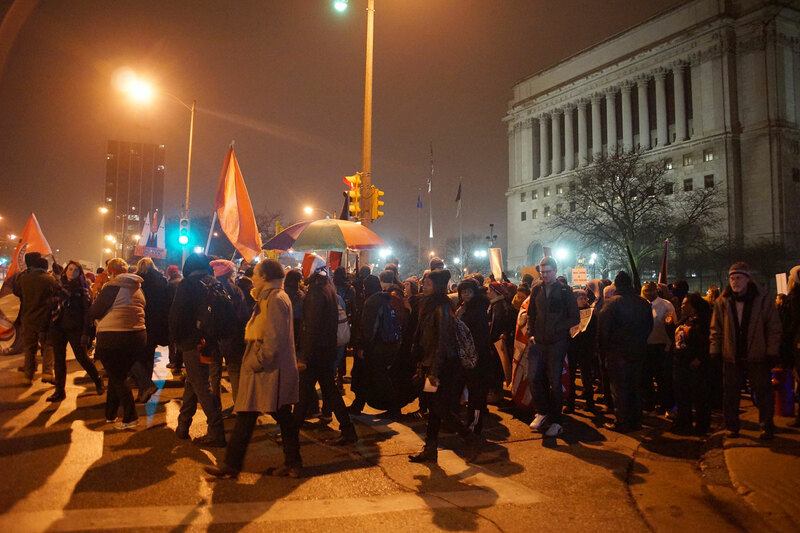 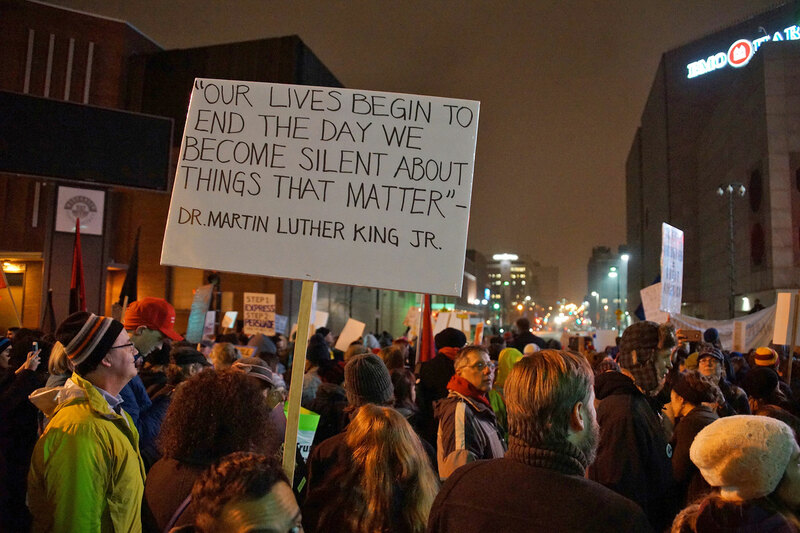 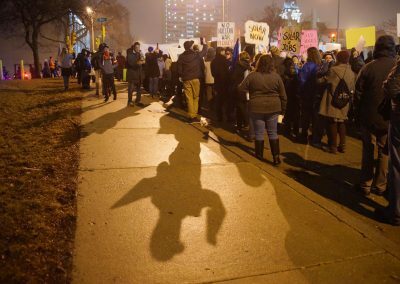 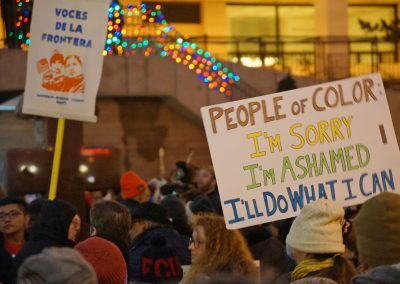 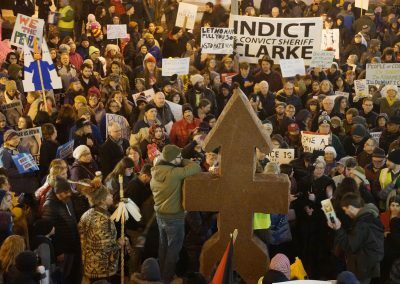 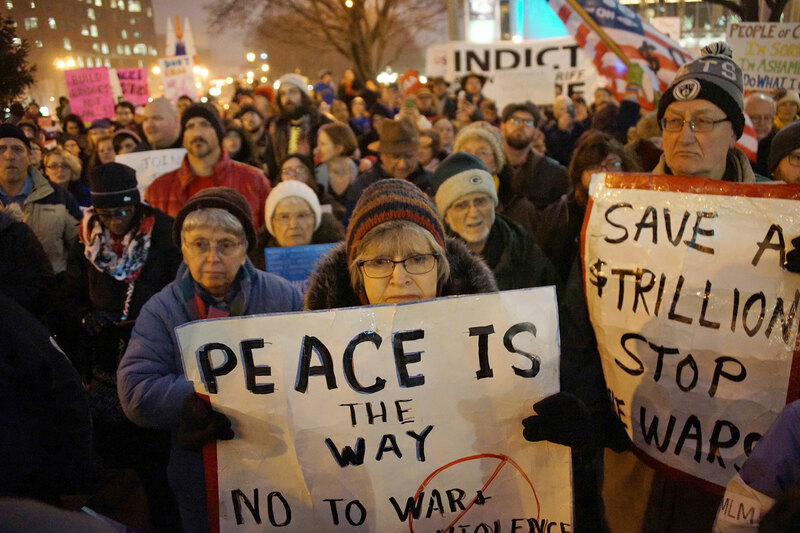 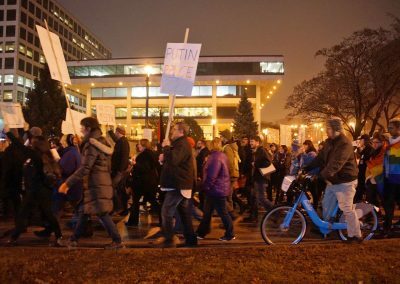 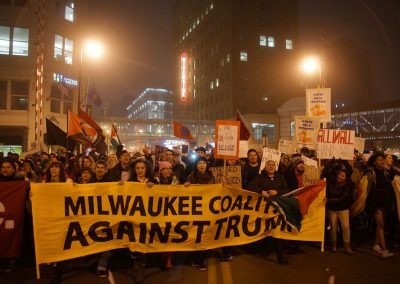 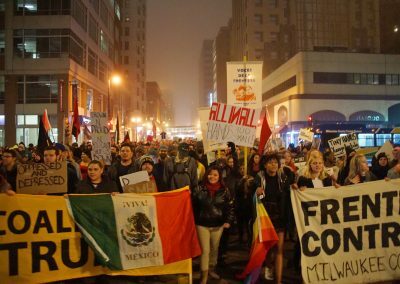 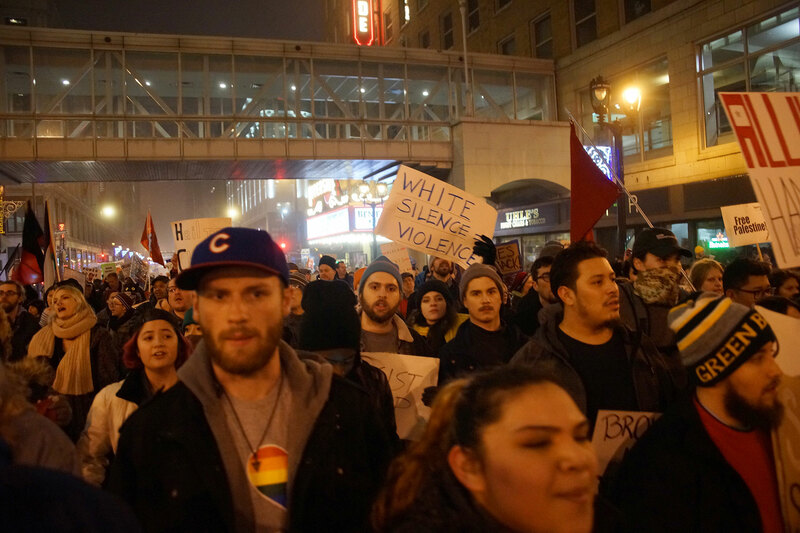 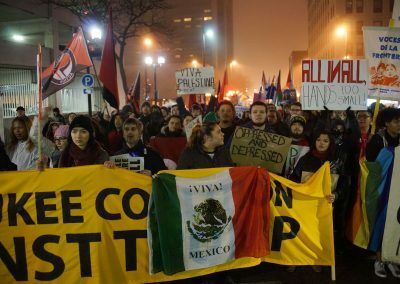 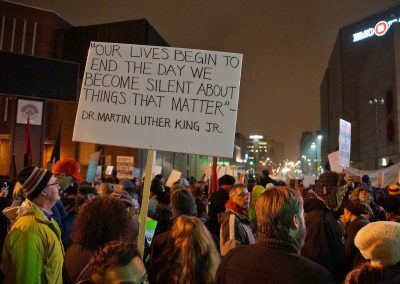 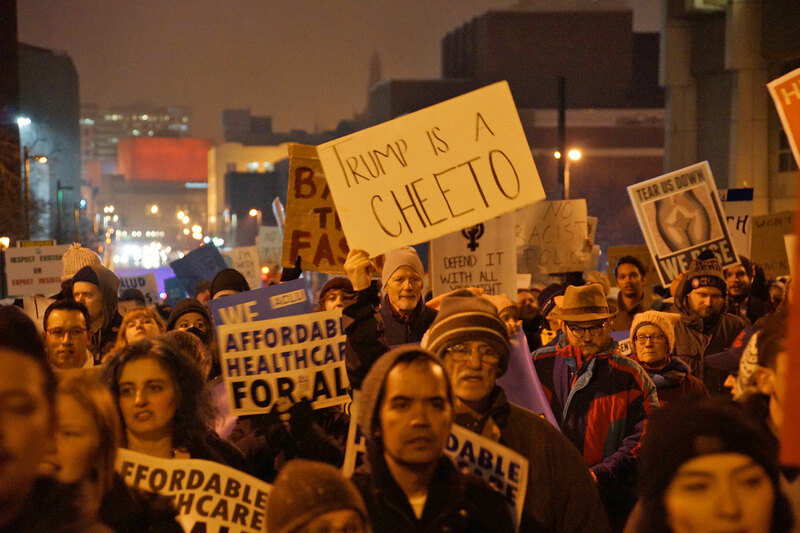 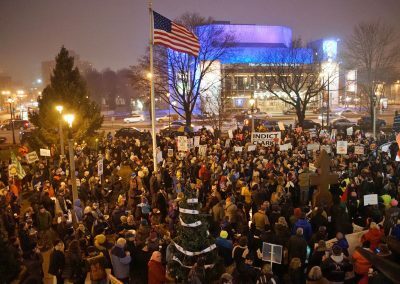 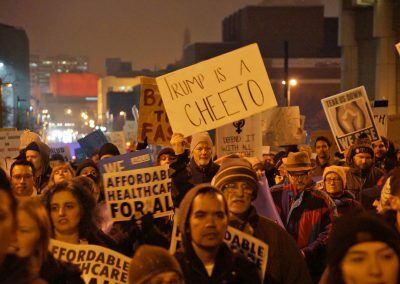 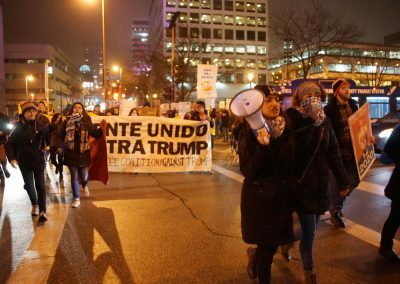 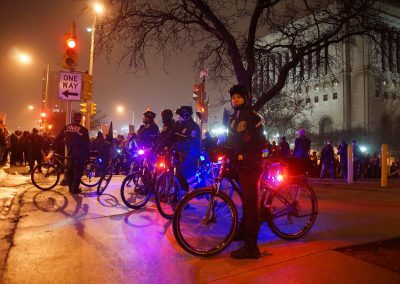 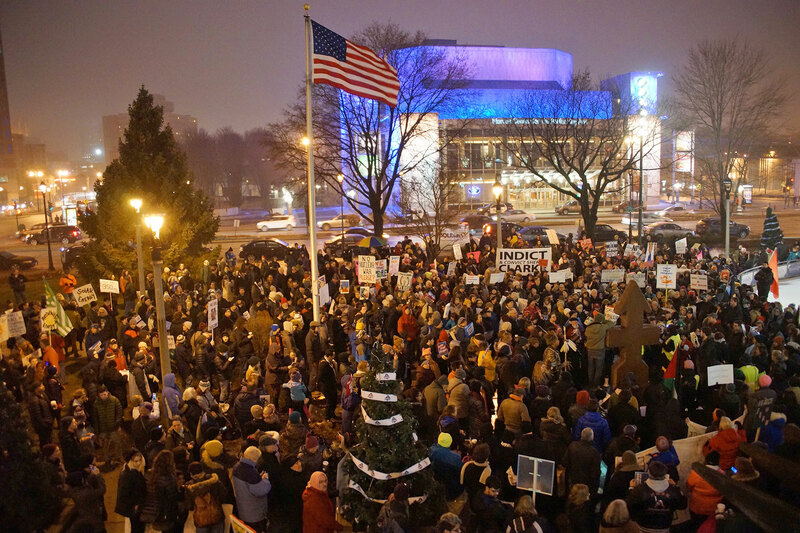 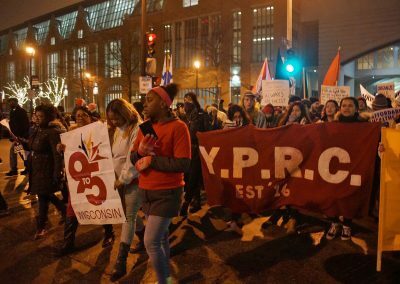 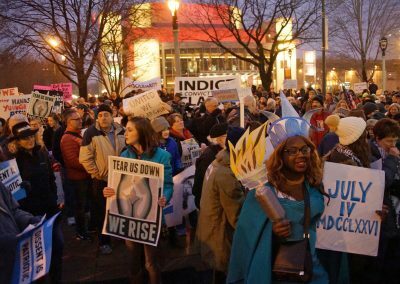 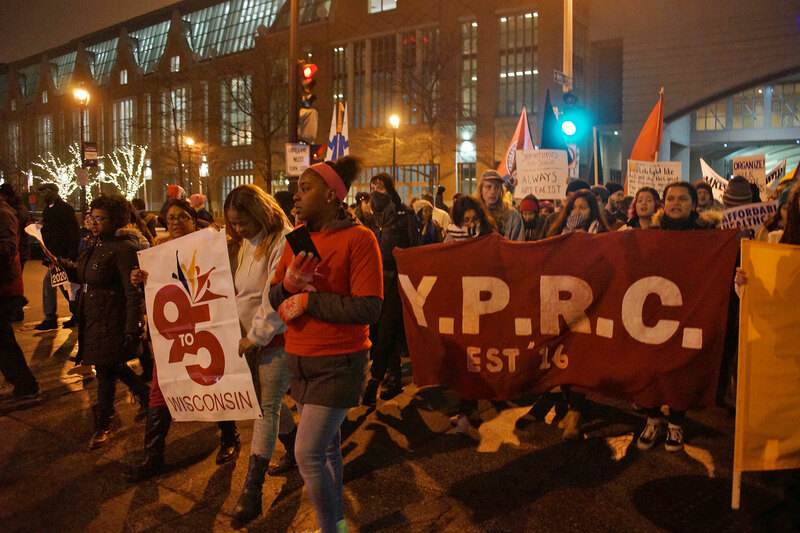 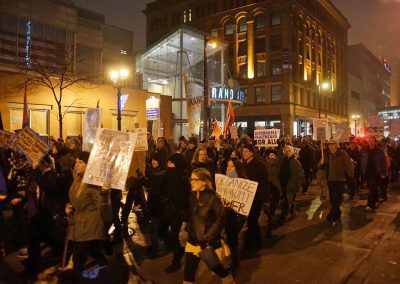 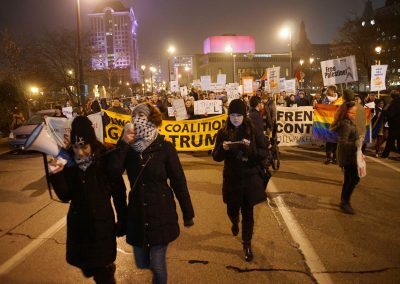 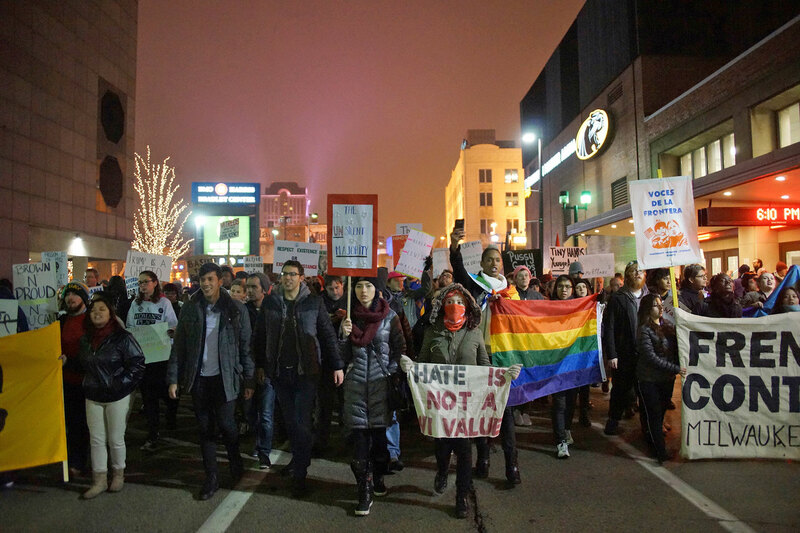 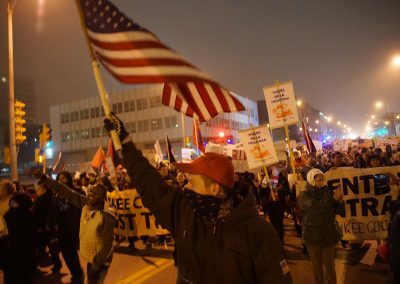 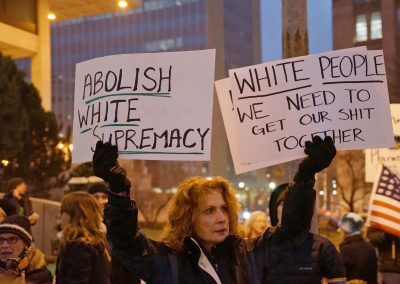 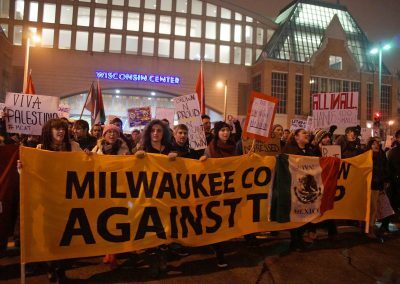 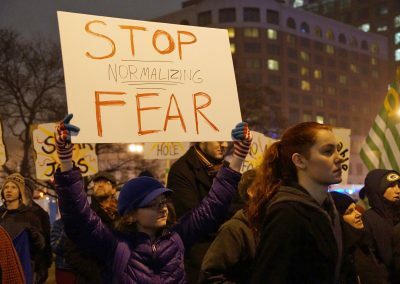 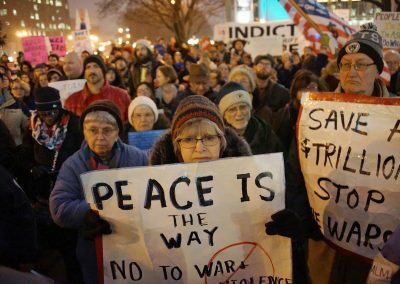 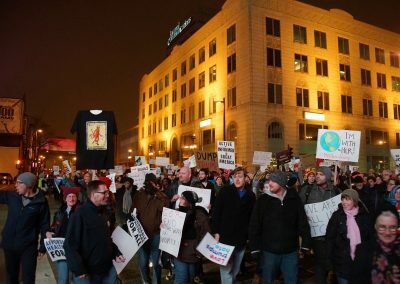 The march in Milwaukee joined millions around America and the world in protest of Trump and his political agenda. 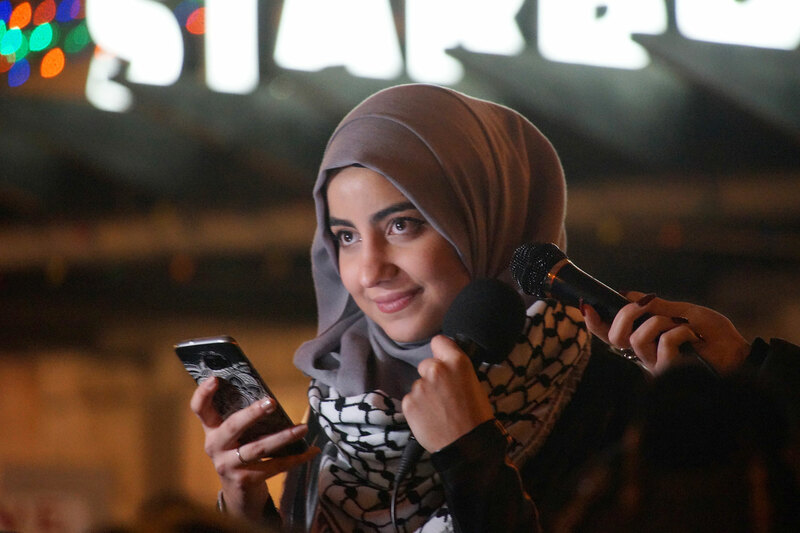 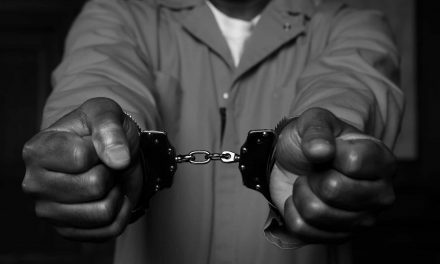 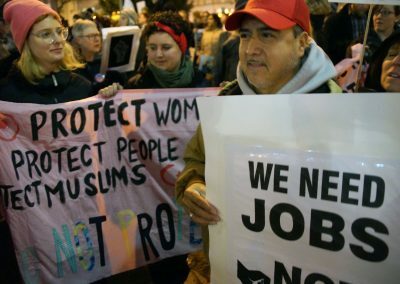 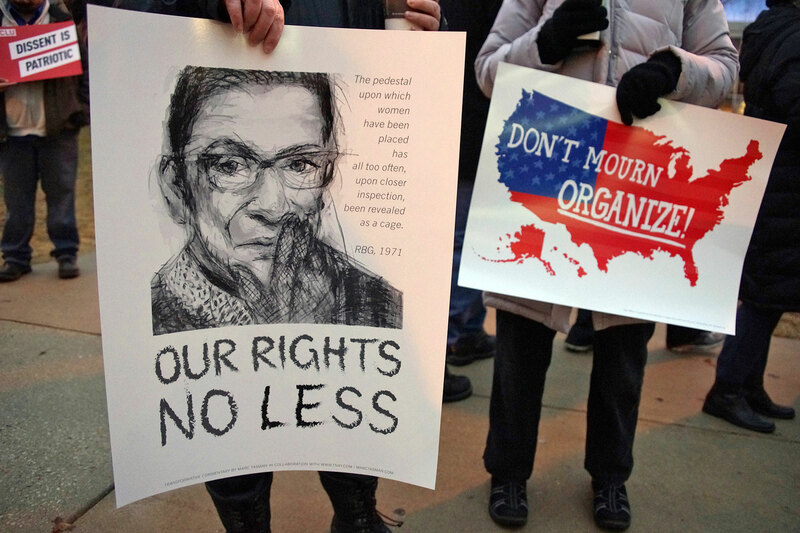 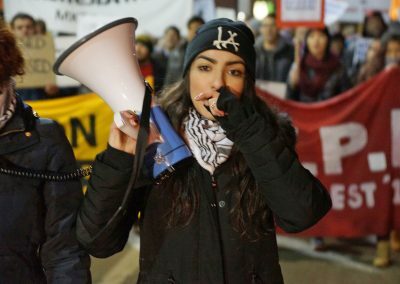 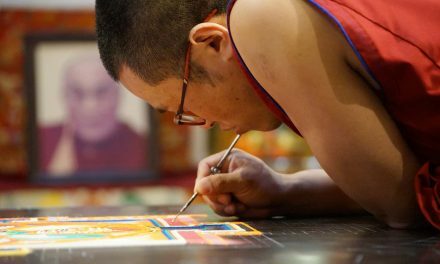 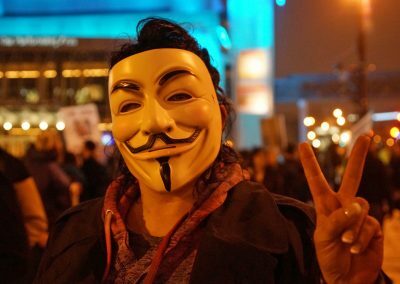 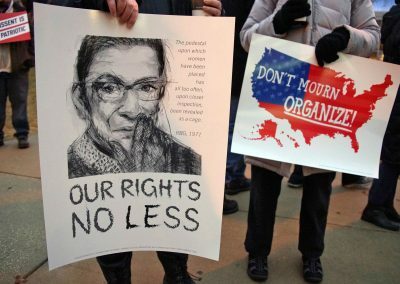 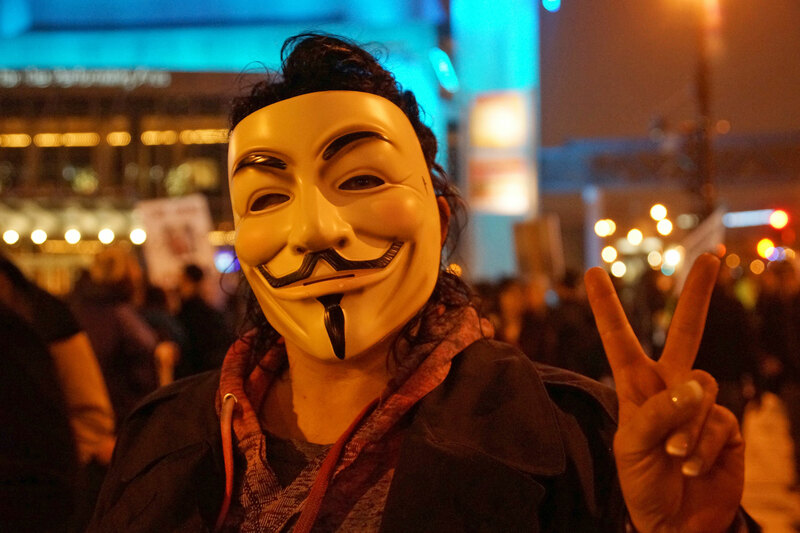 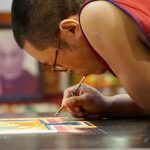 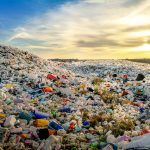 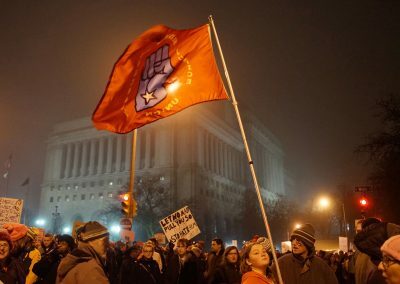 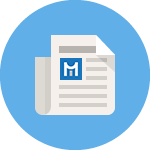 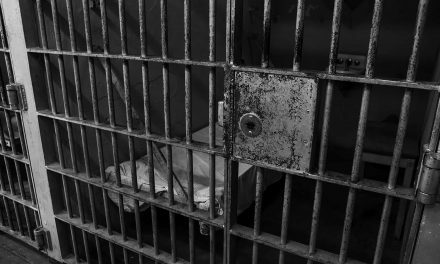 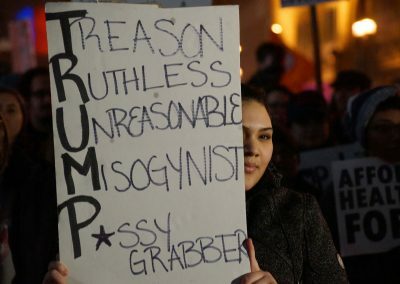 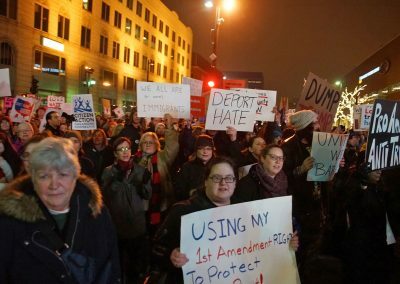 While the American Constitution does not grant the absolute right to protest, such a right to protest is a manifestation of the right to freedom of assembly, the right to freedom of association, and the right to freedom of speech. 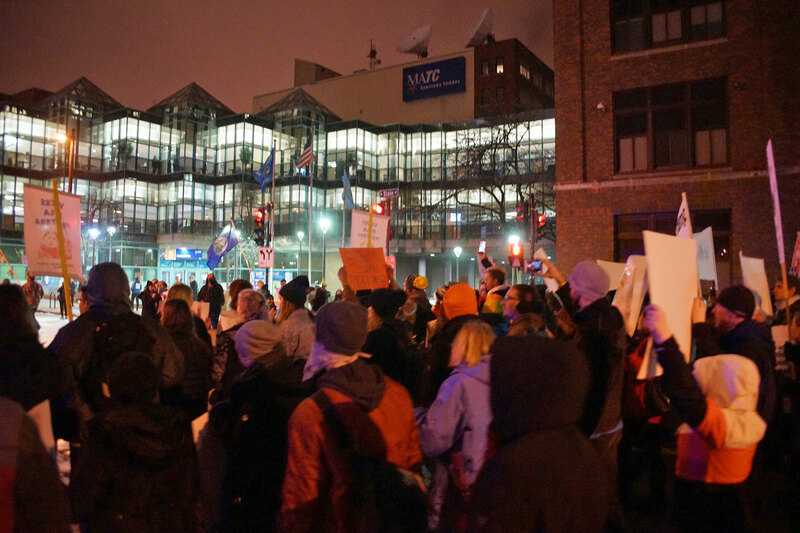 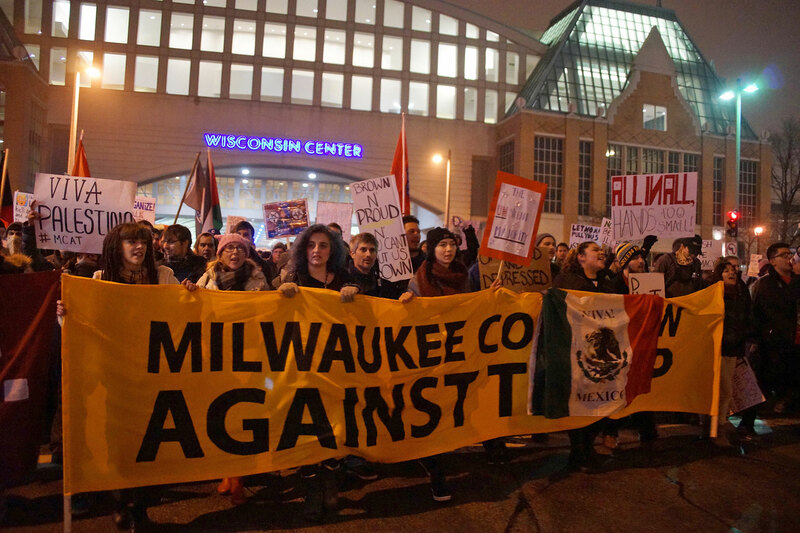 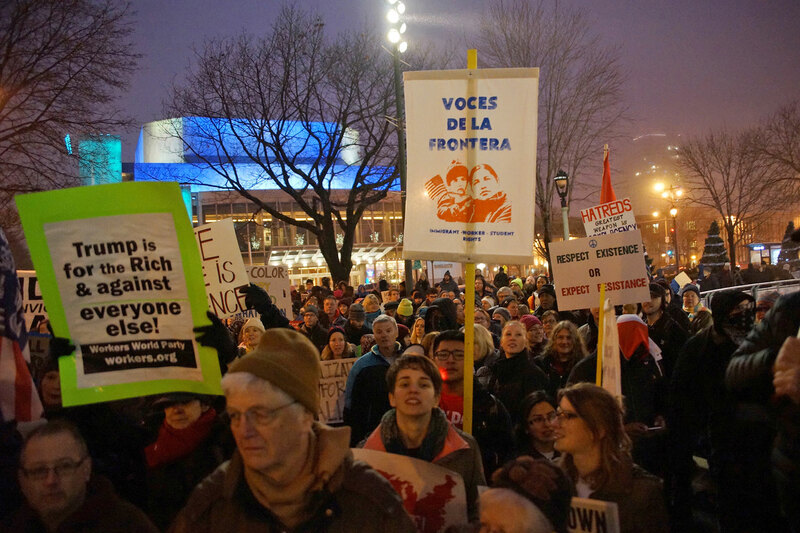 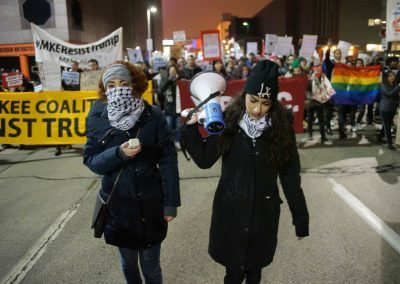 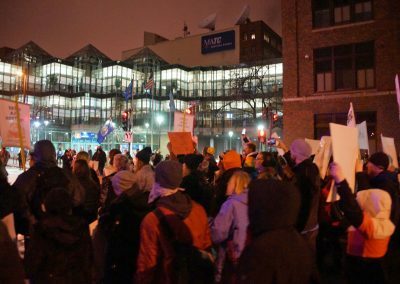 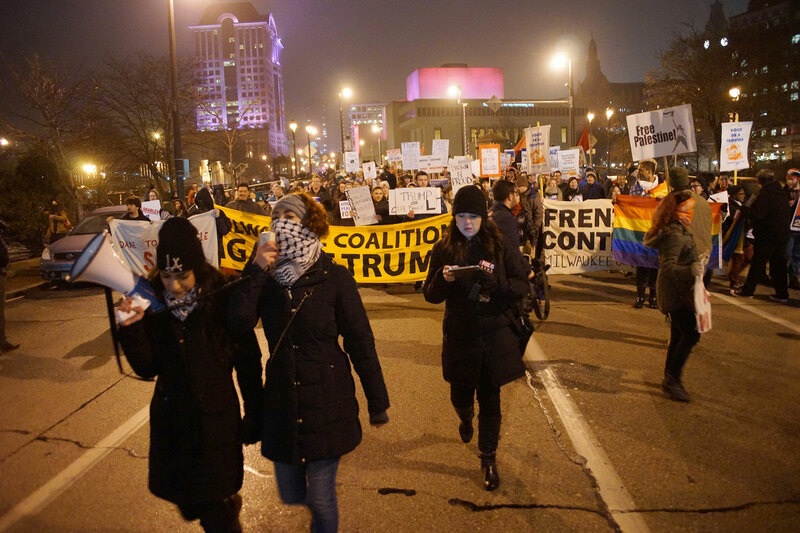 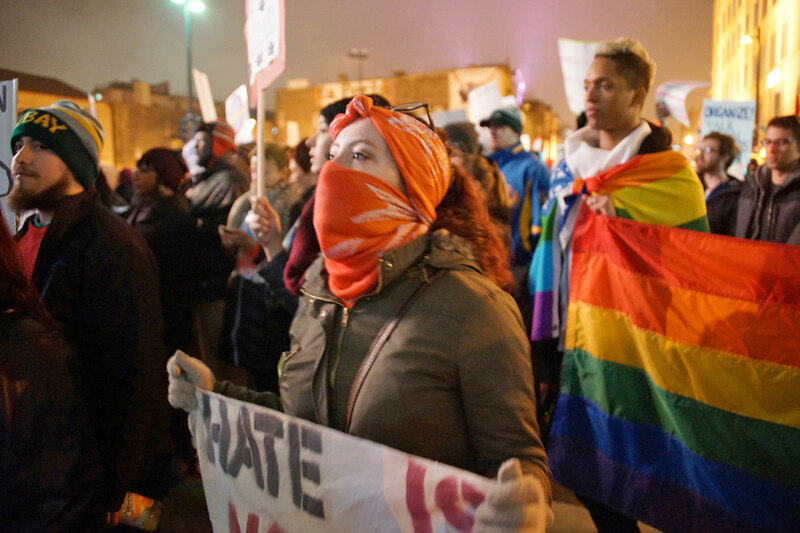 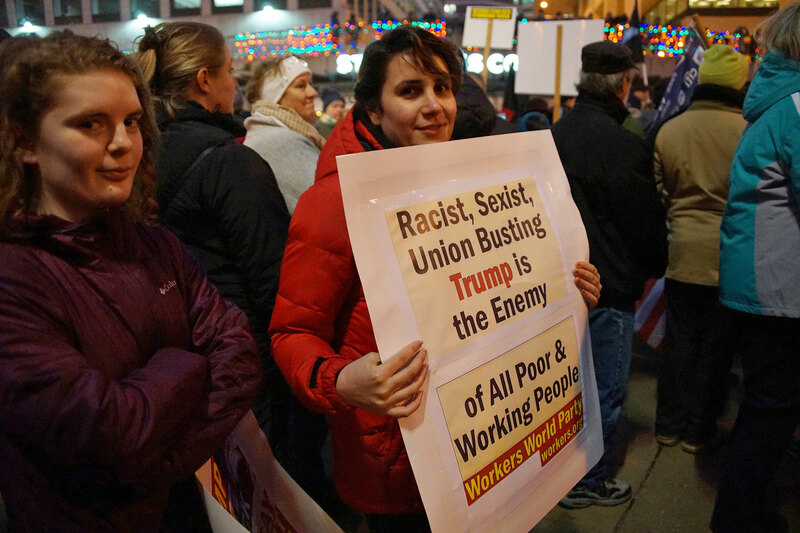 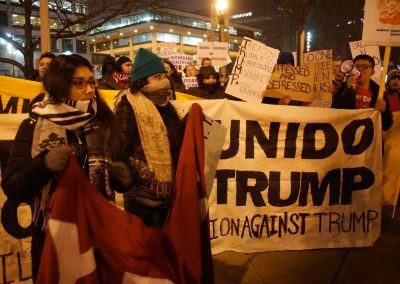 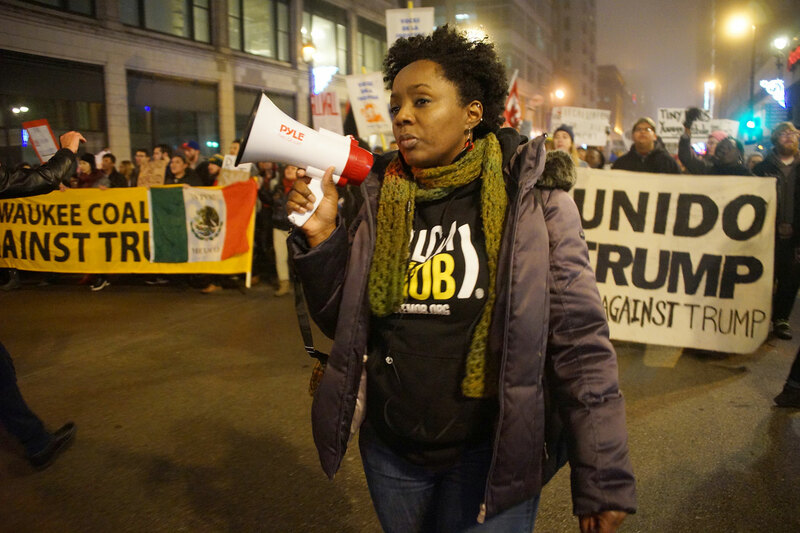 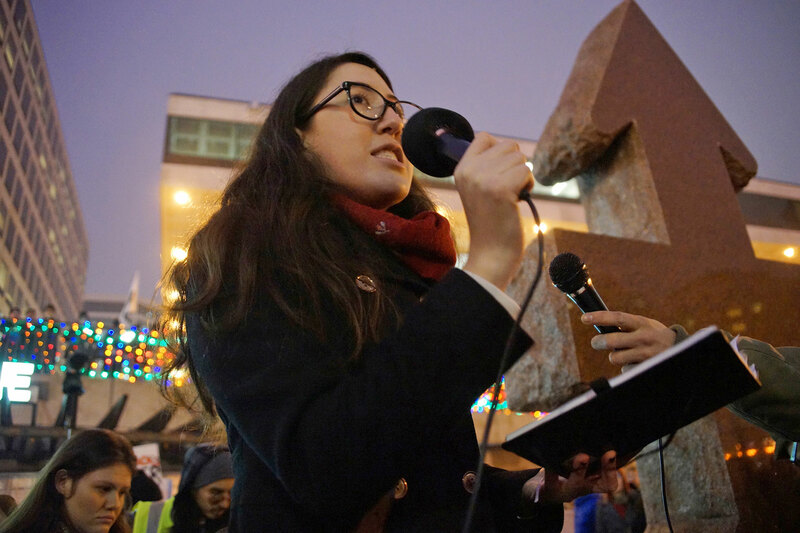 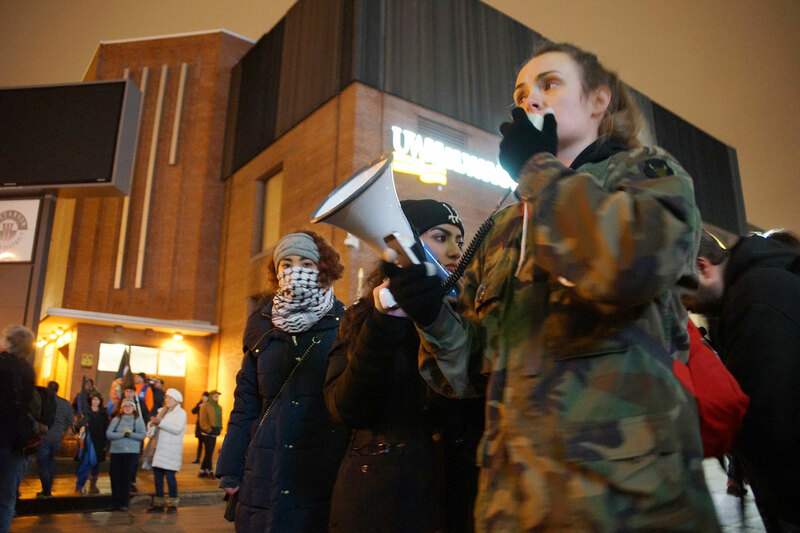 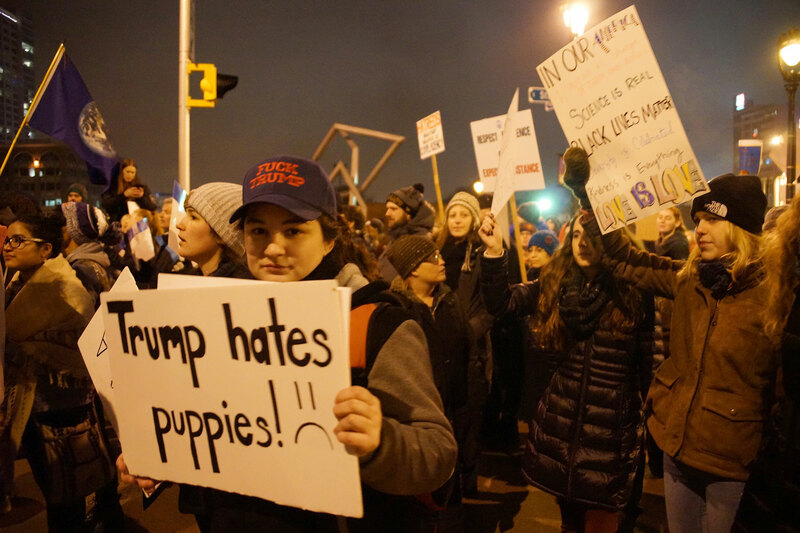 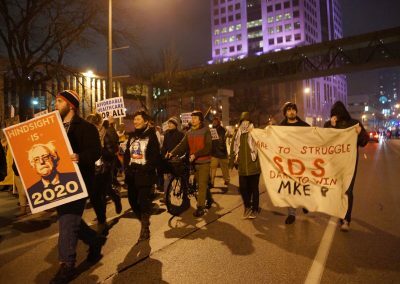 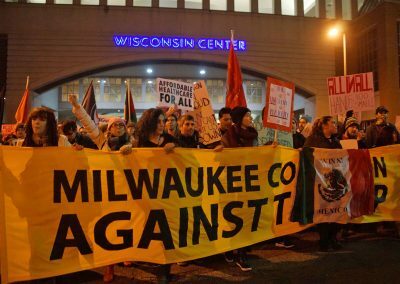 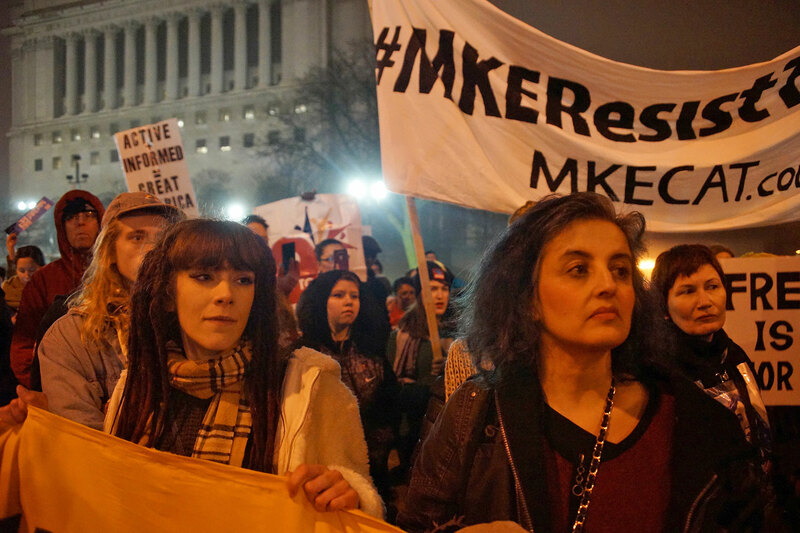 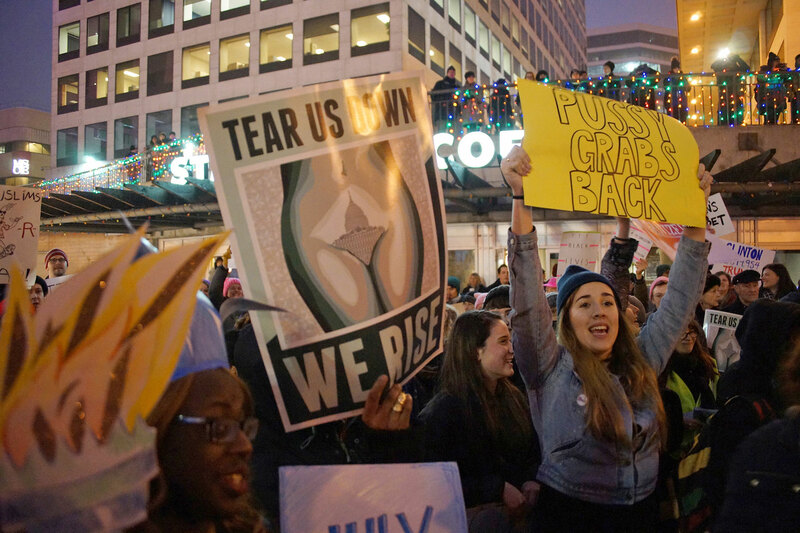 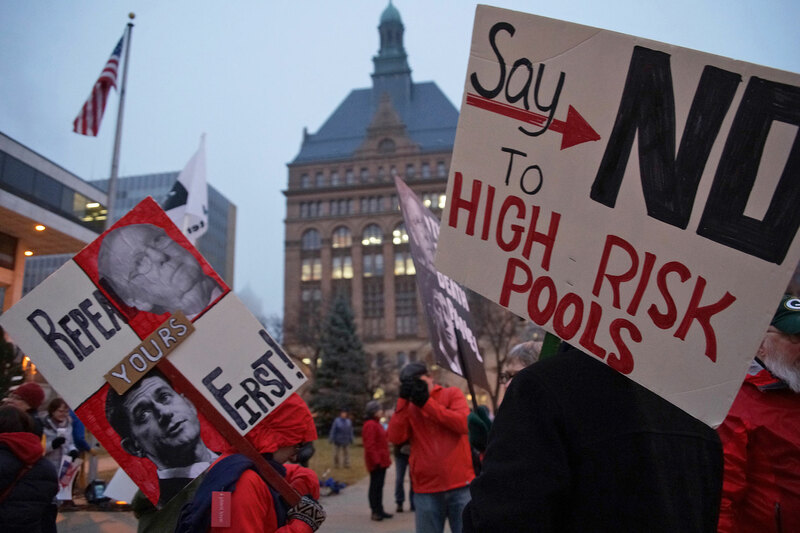 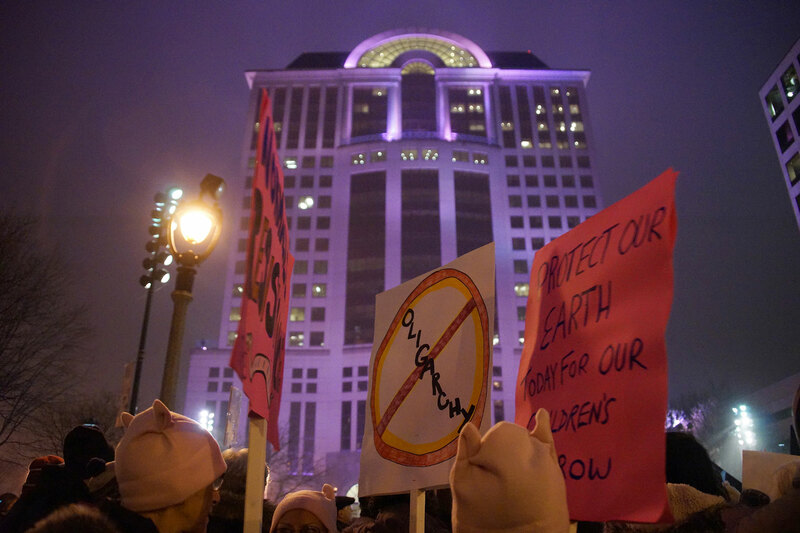 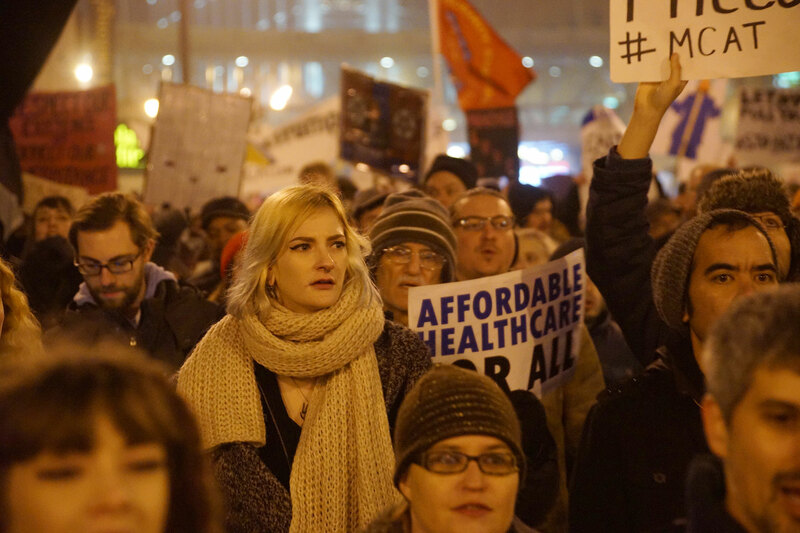 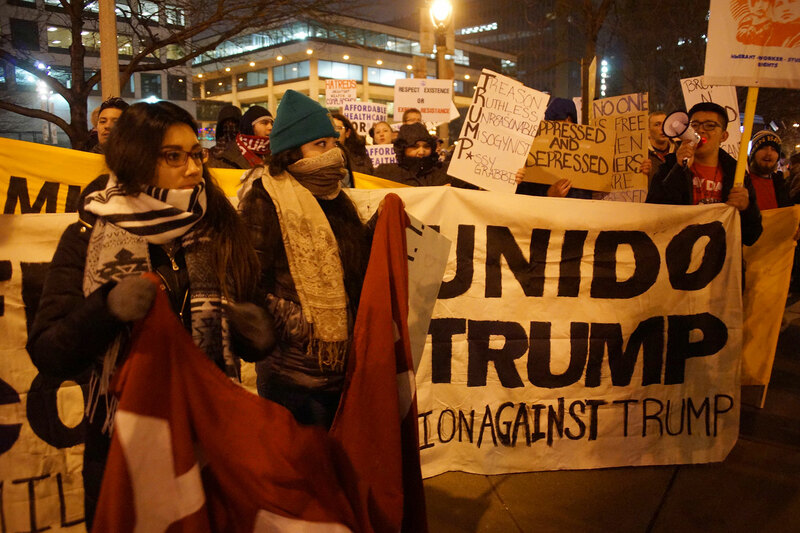 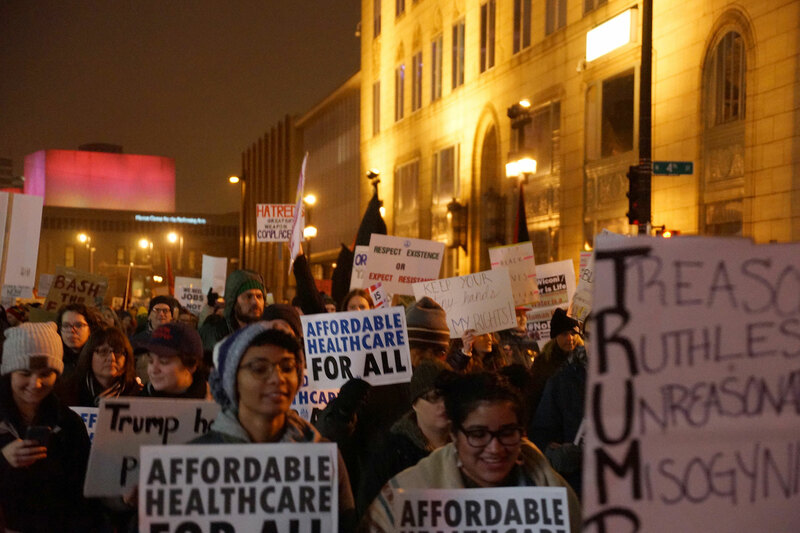 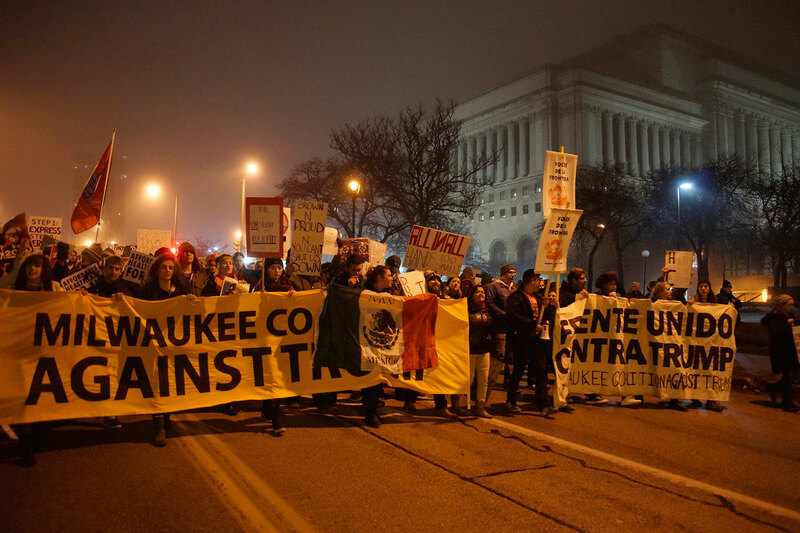 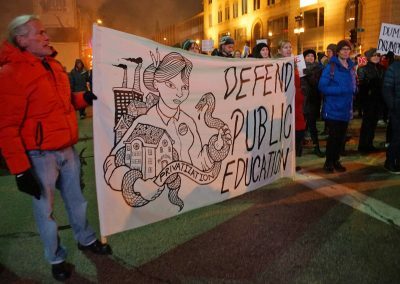 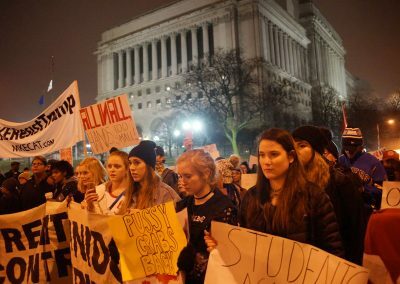 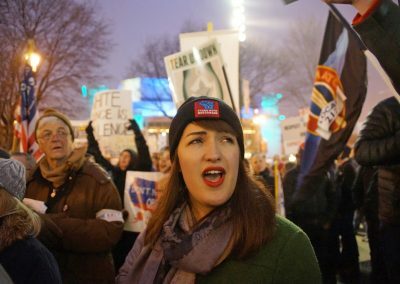 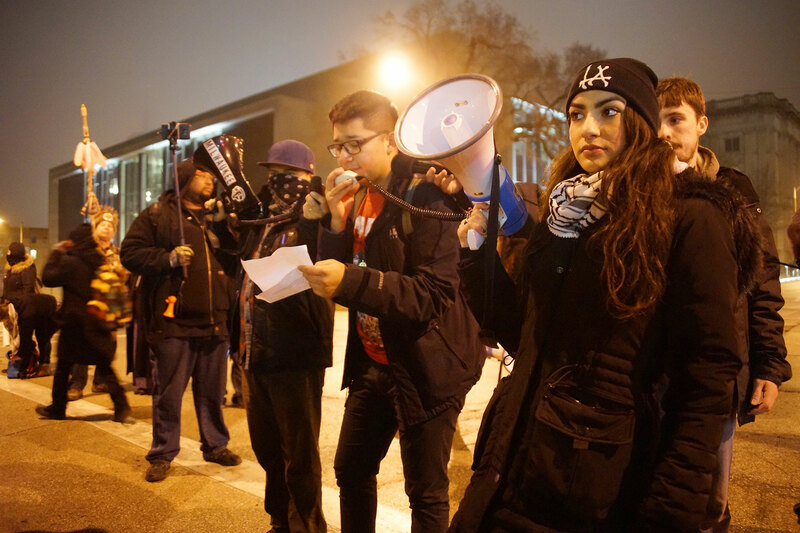 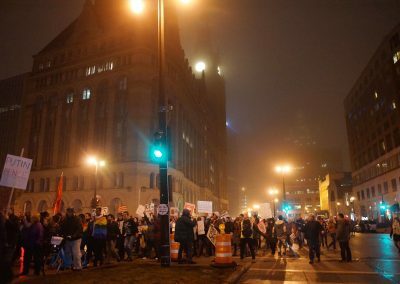 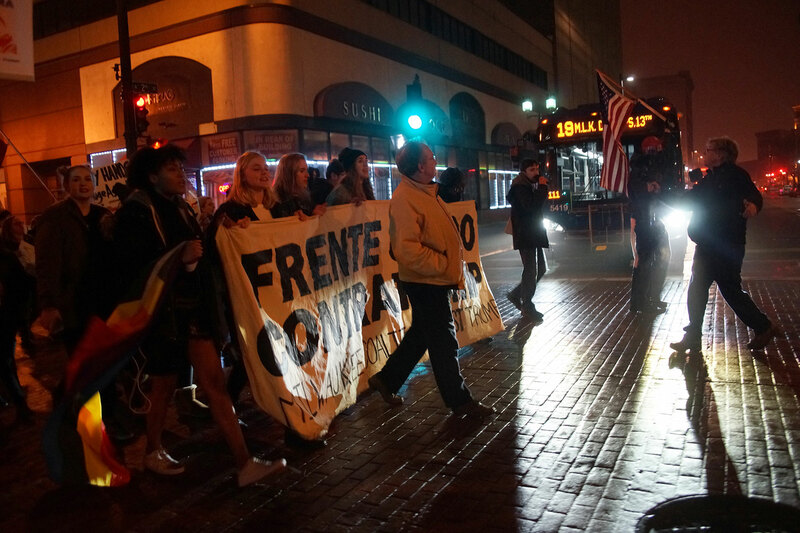 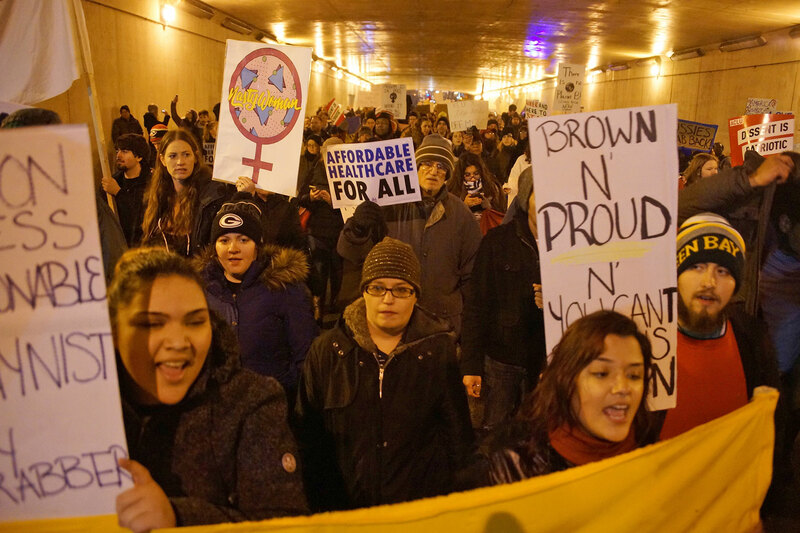 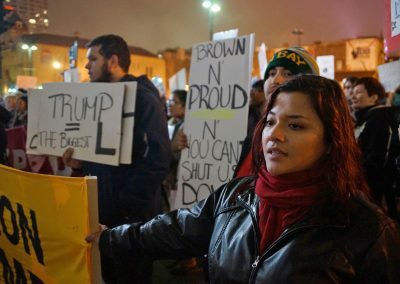 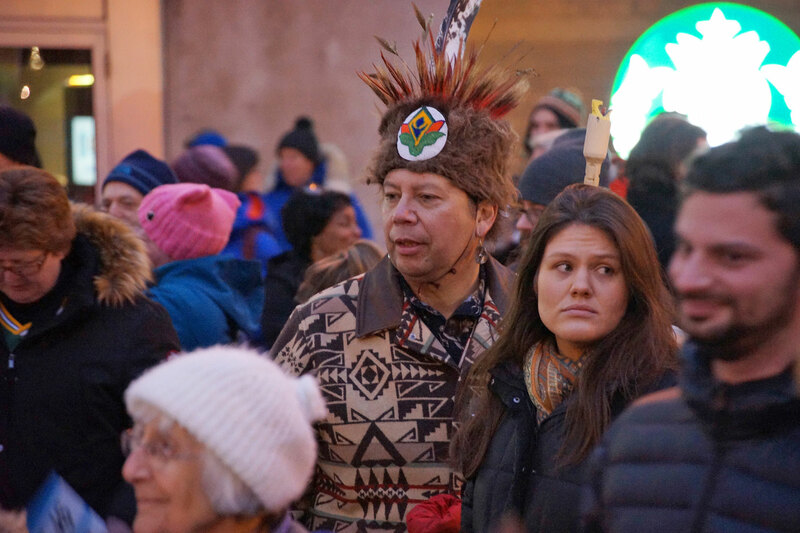 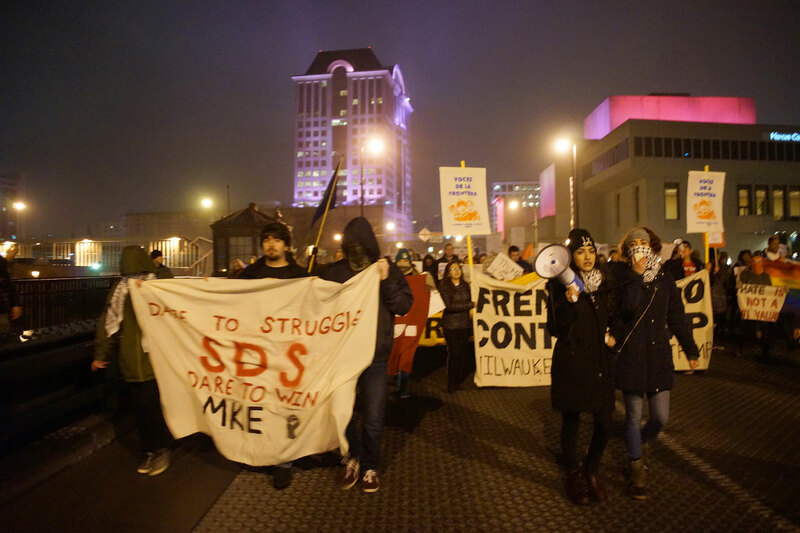 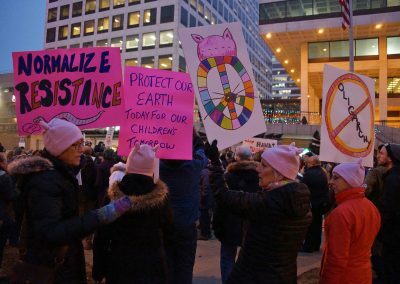 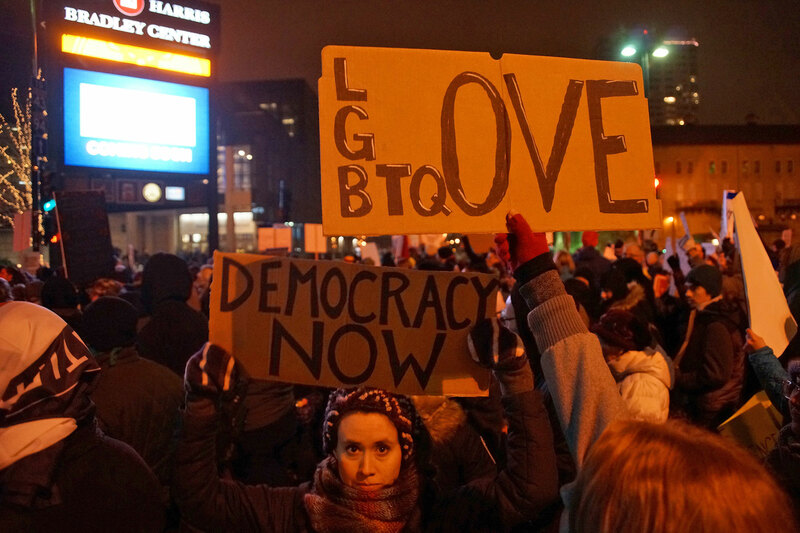 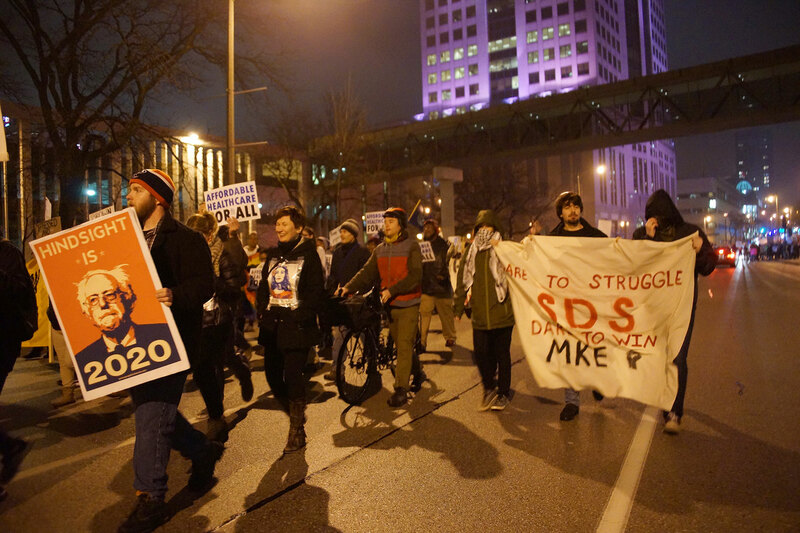 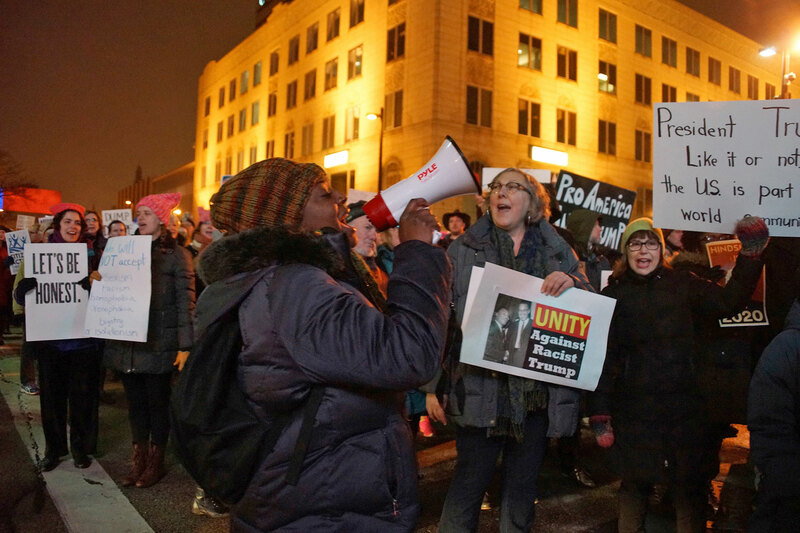 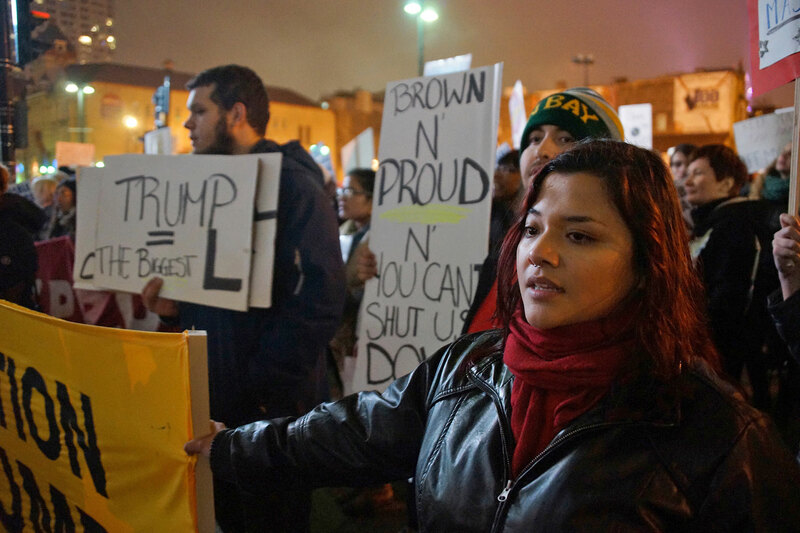 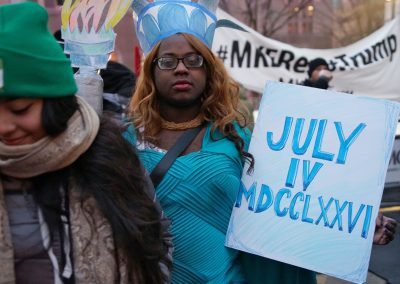 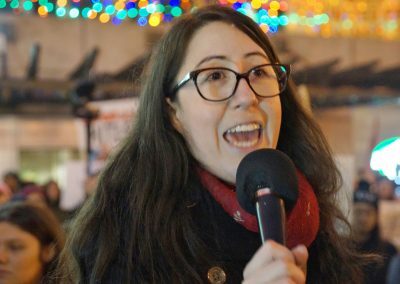 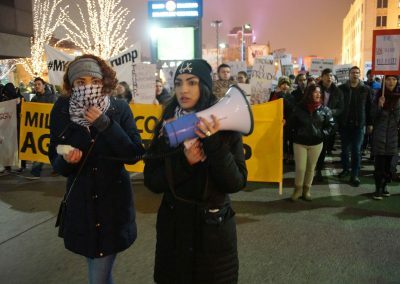 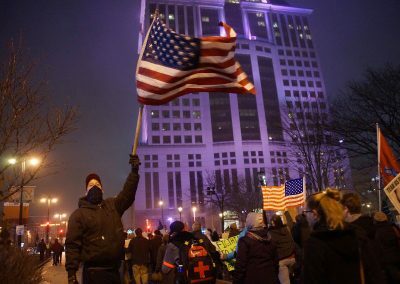 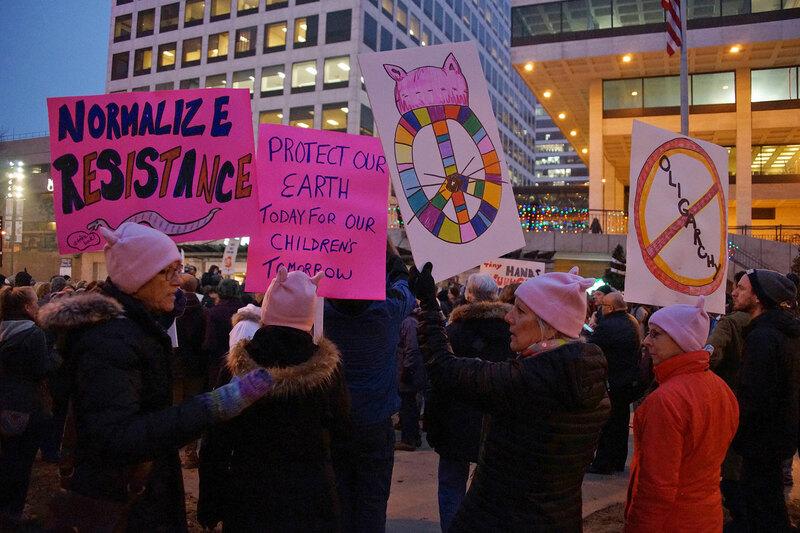 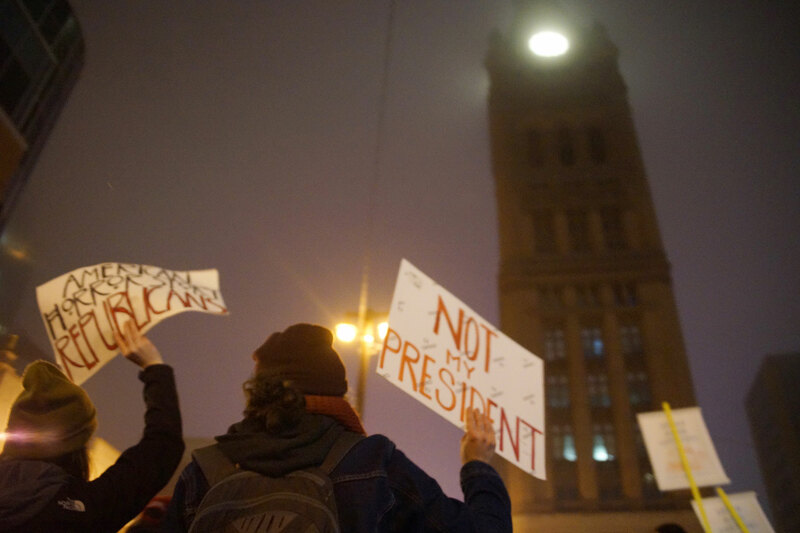 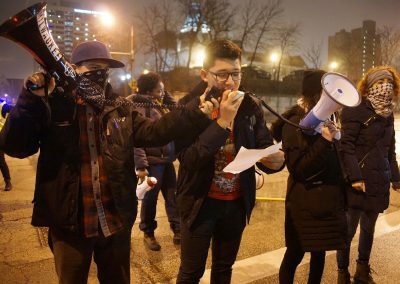 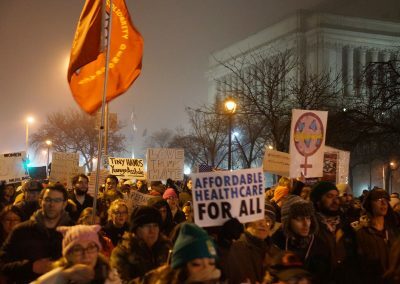 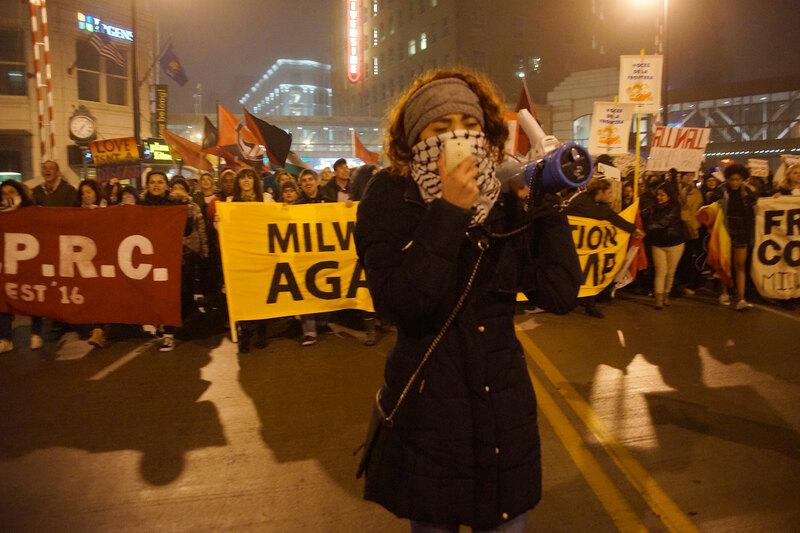 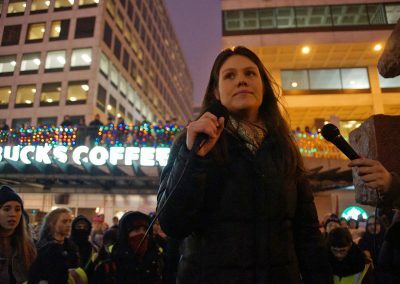 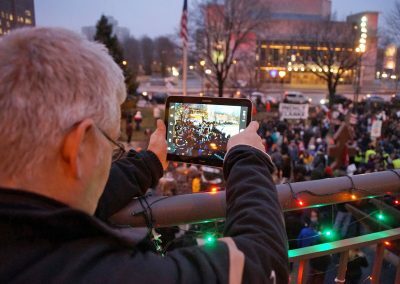 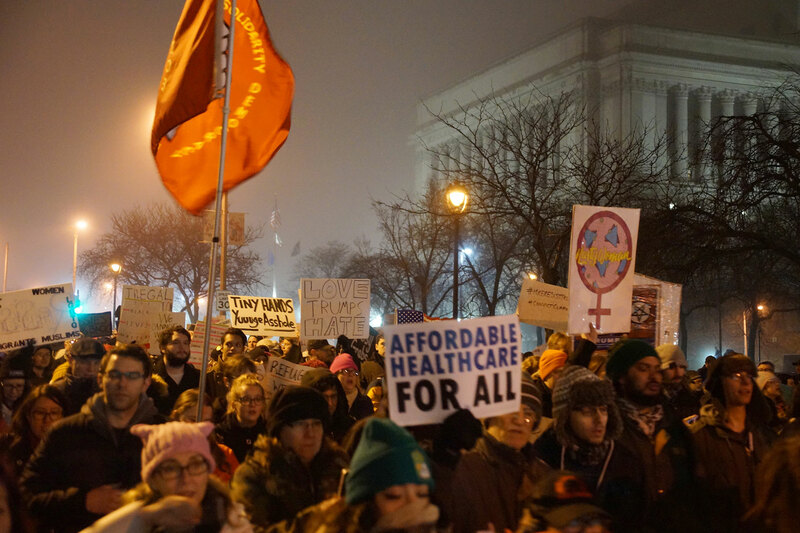 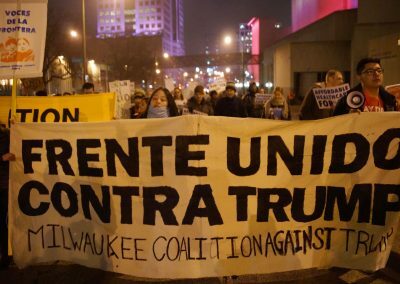 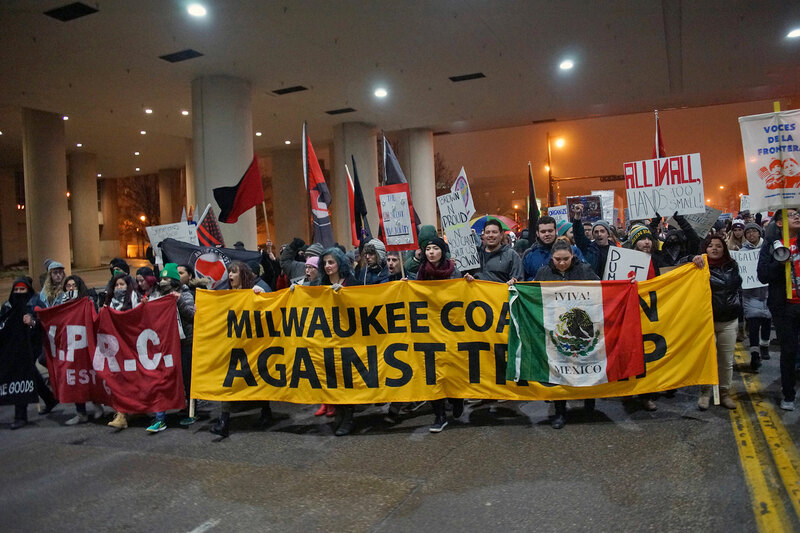 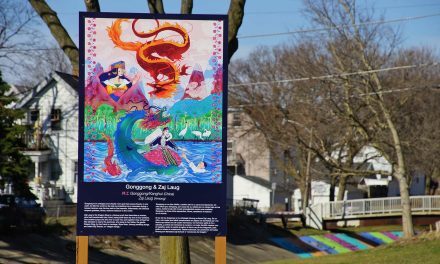 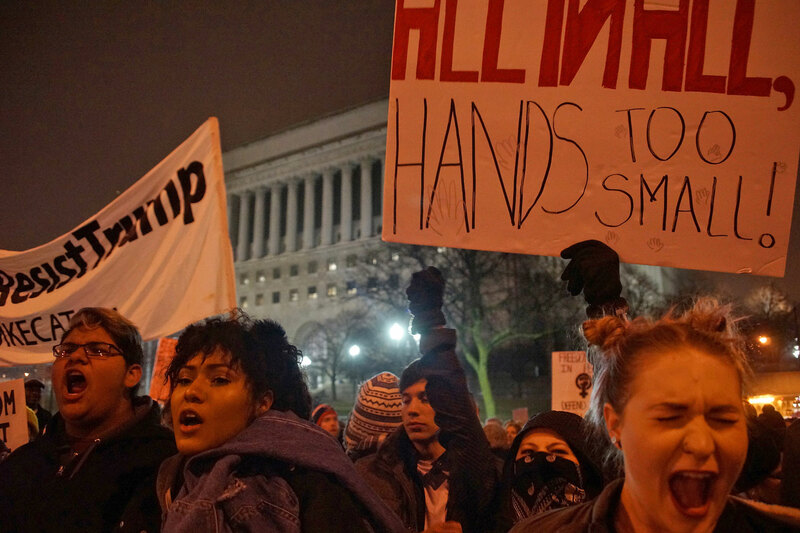 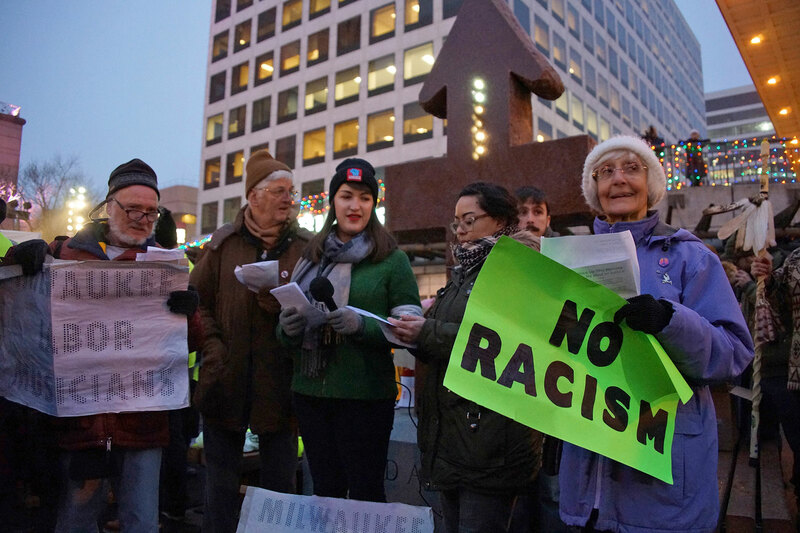 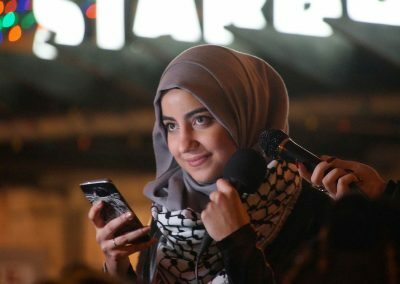 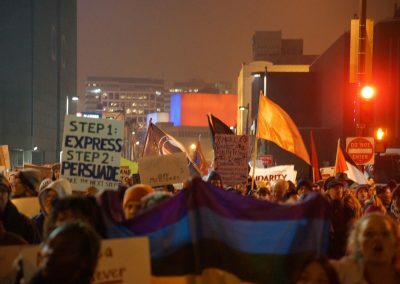 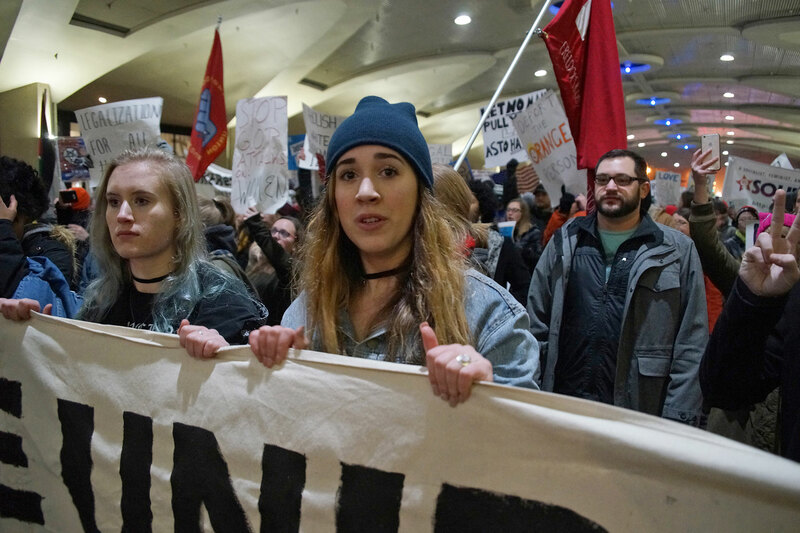 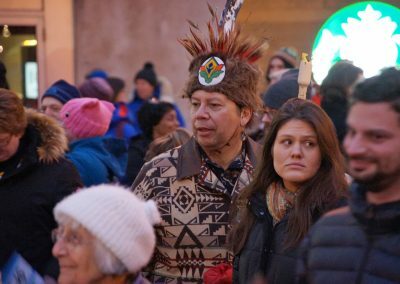 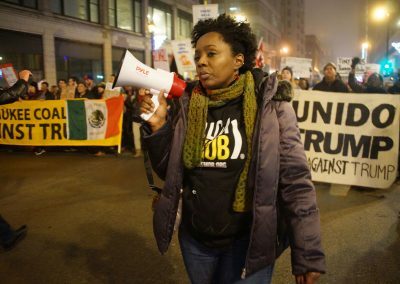 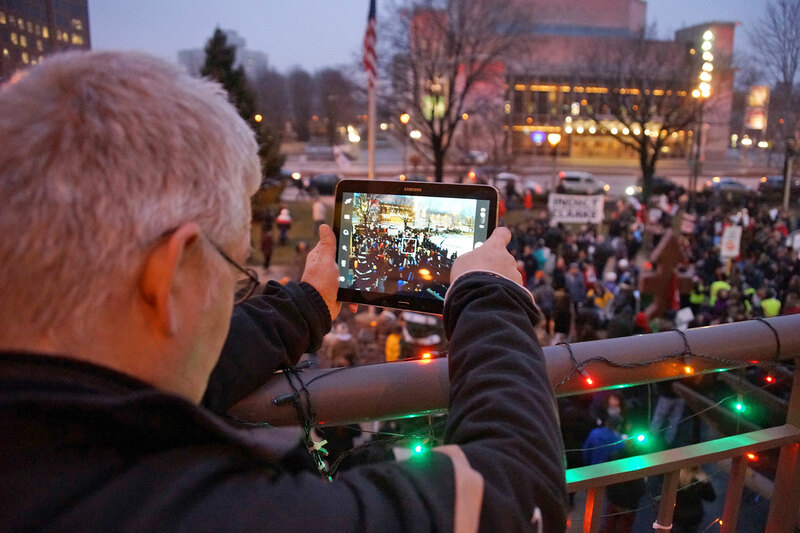 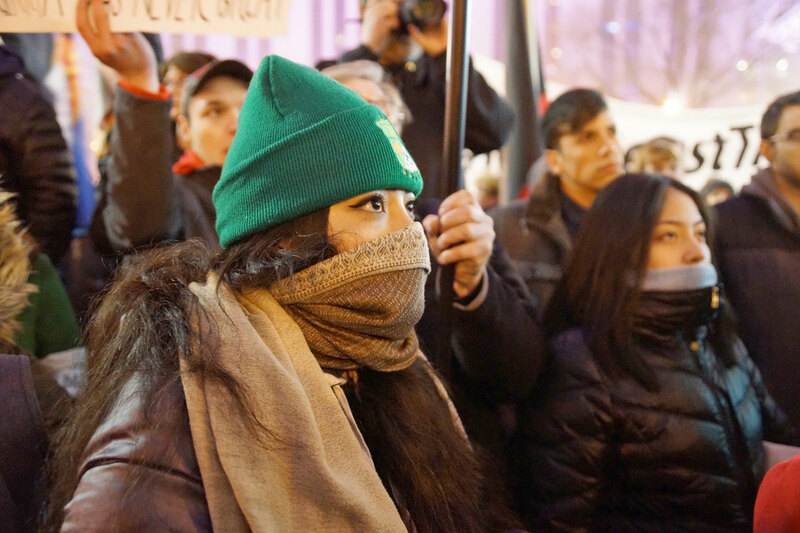 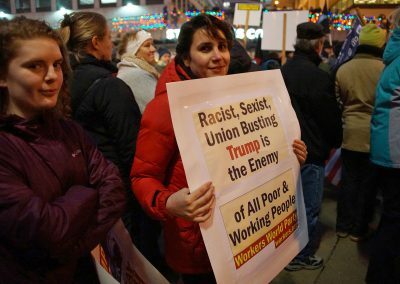 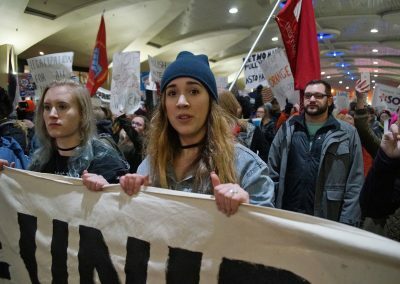 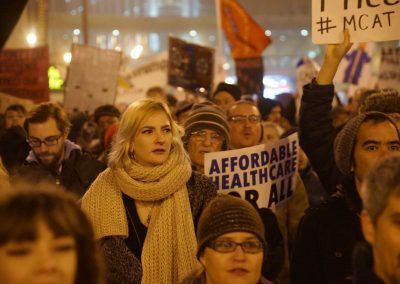 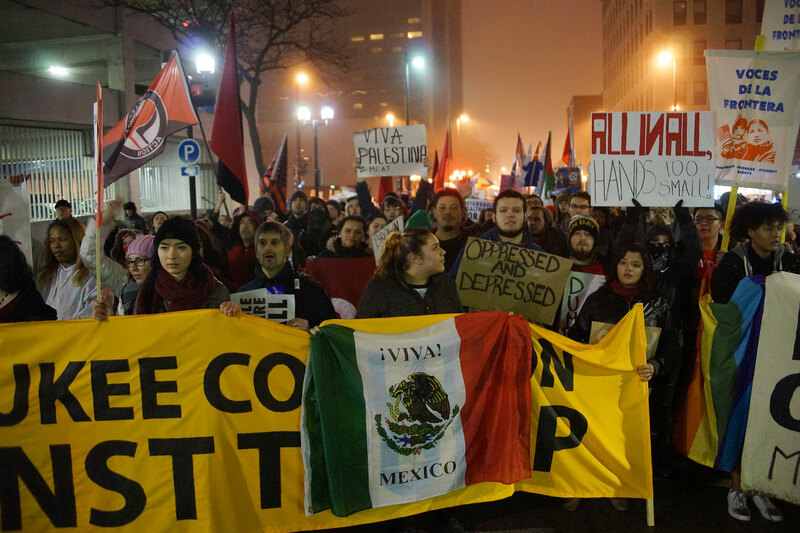 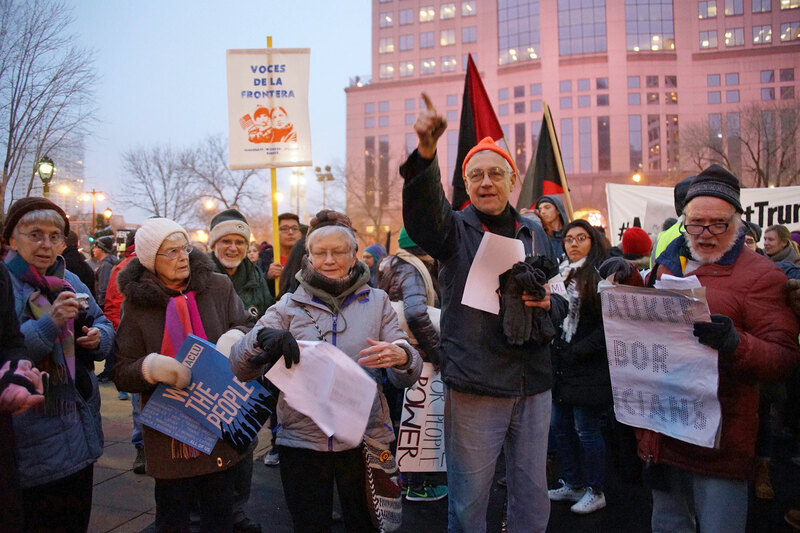 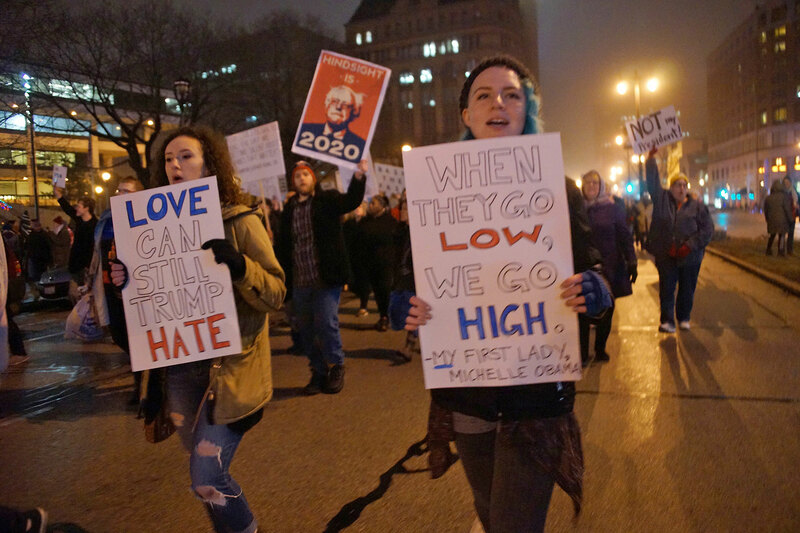 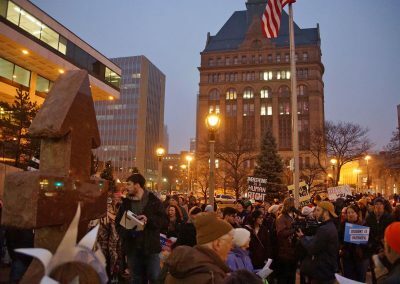 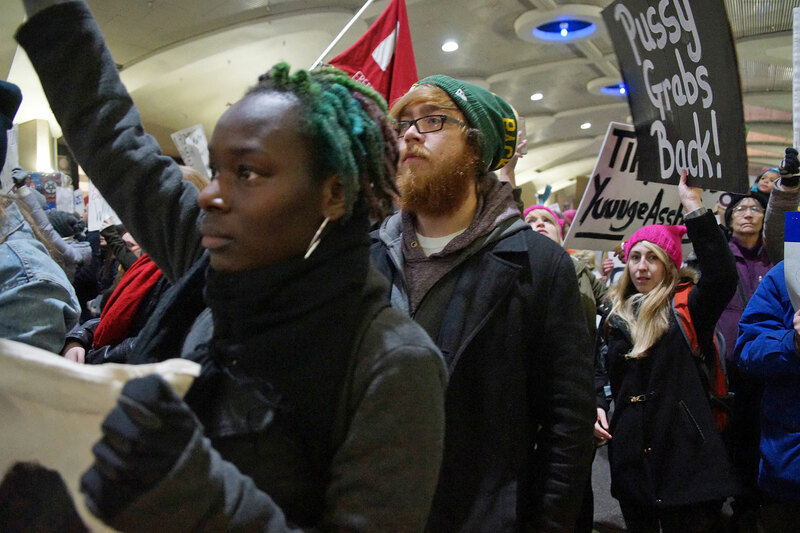 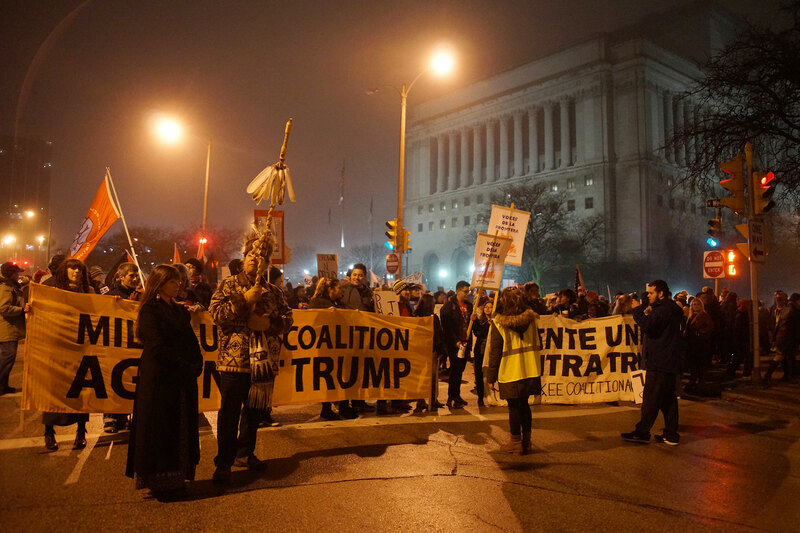 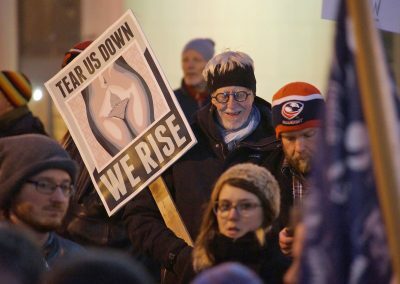 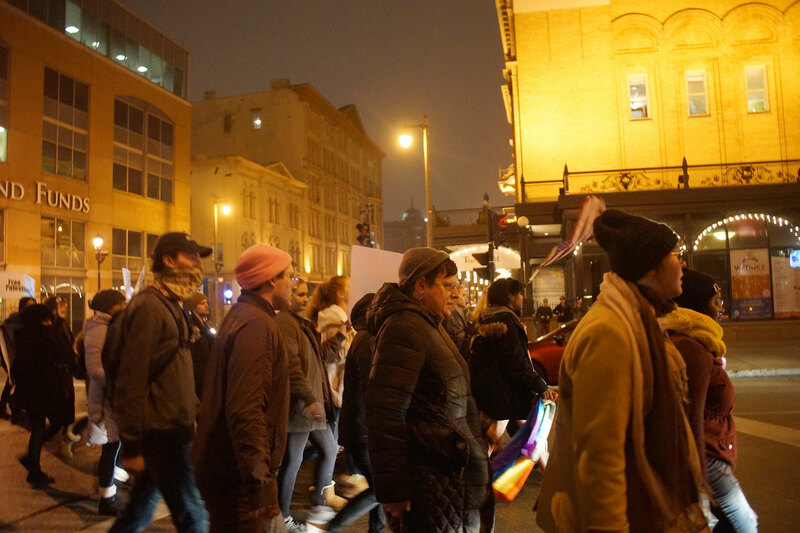 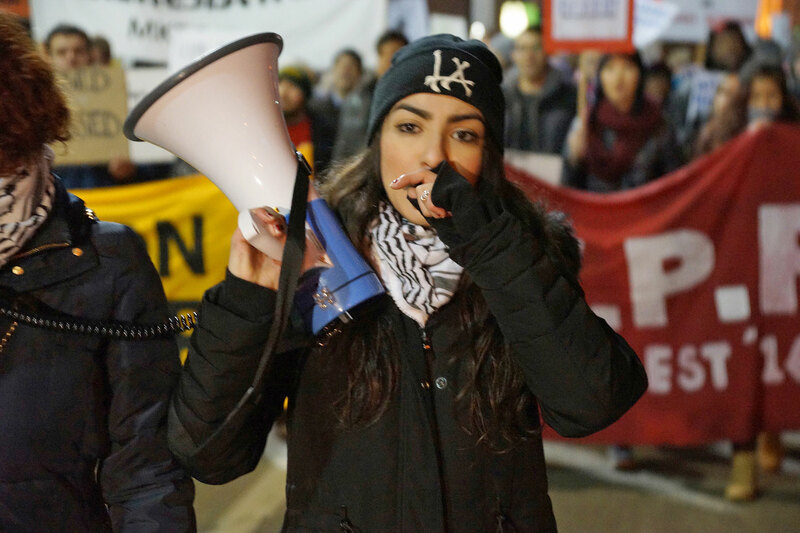 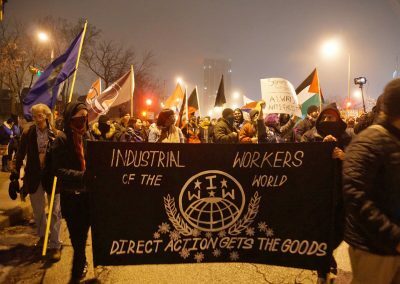 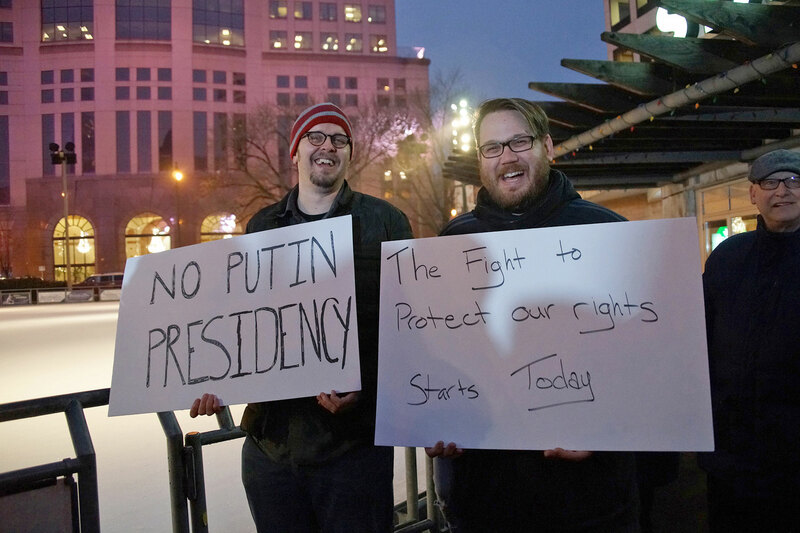 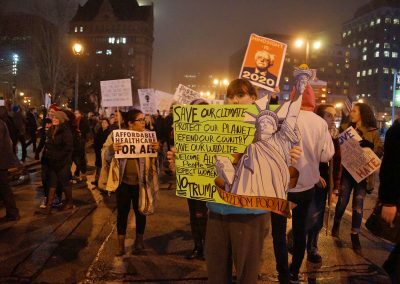 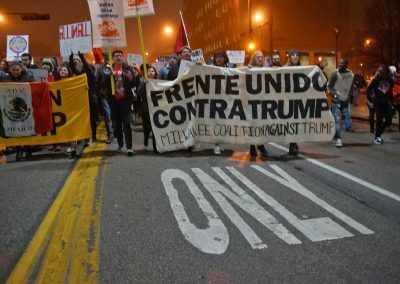 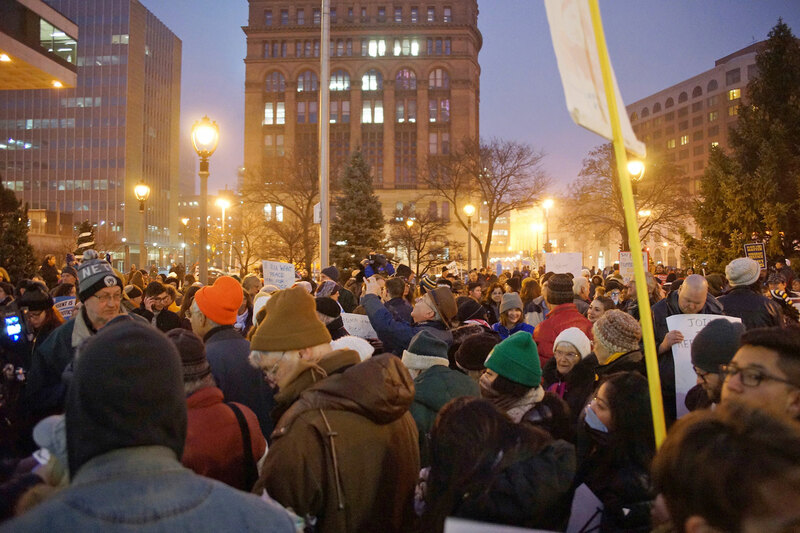 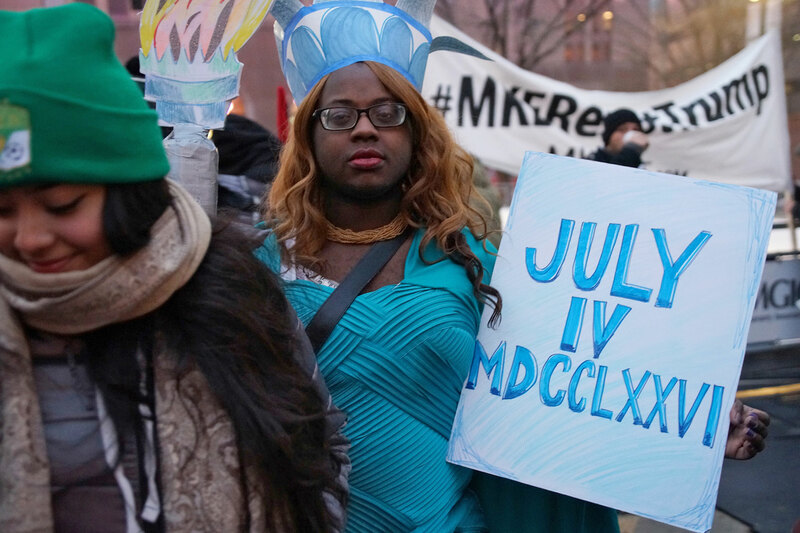 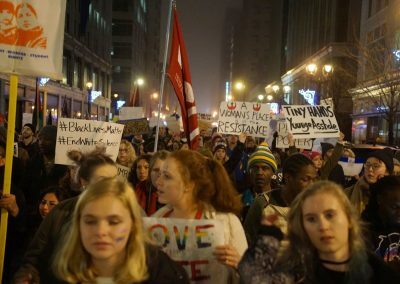 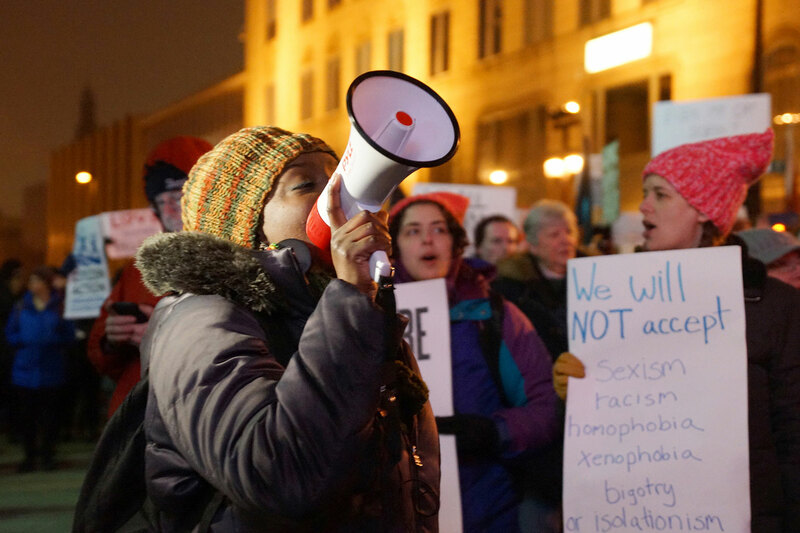 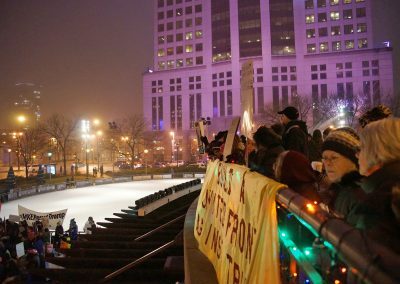 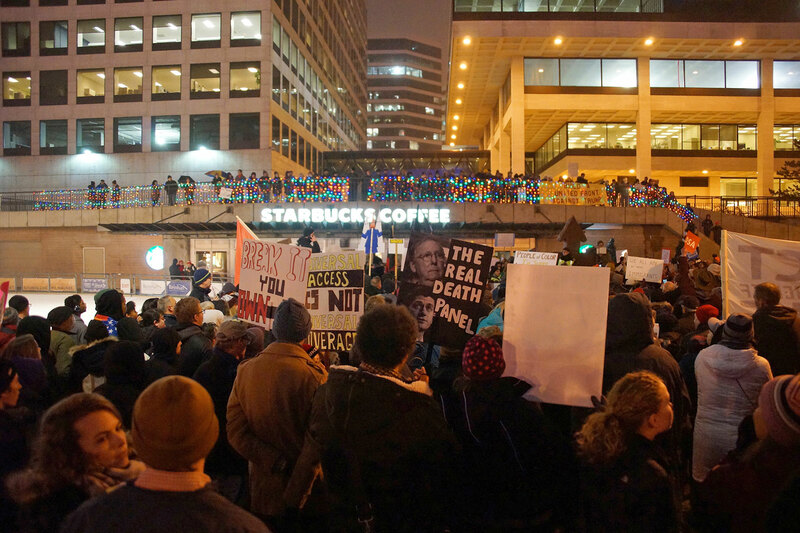 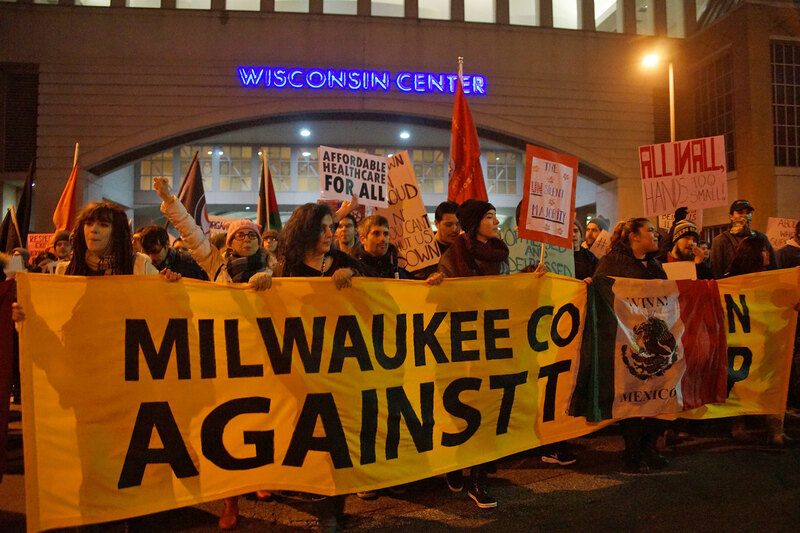 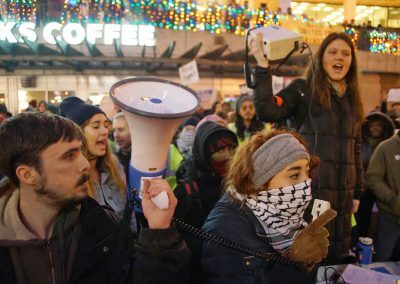 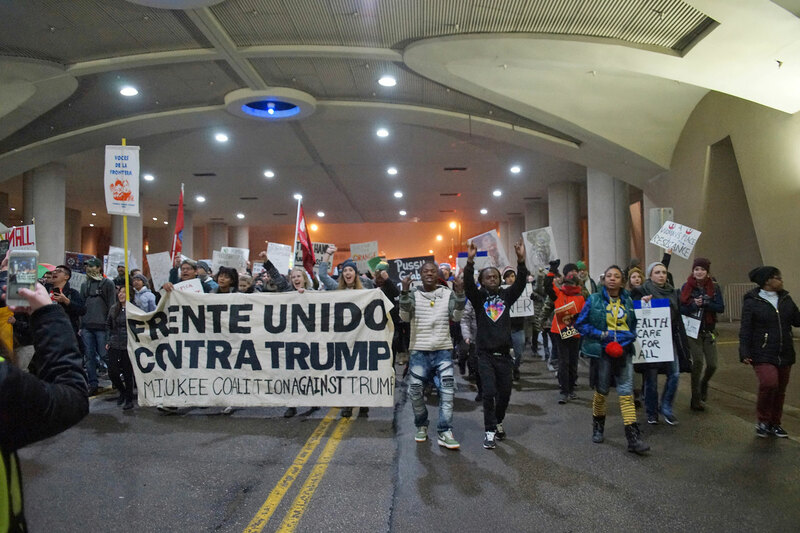 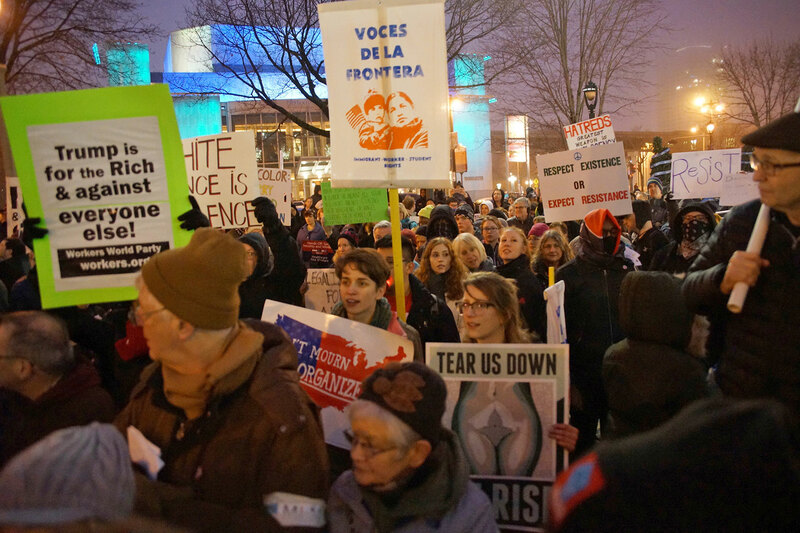 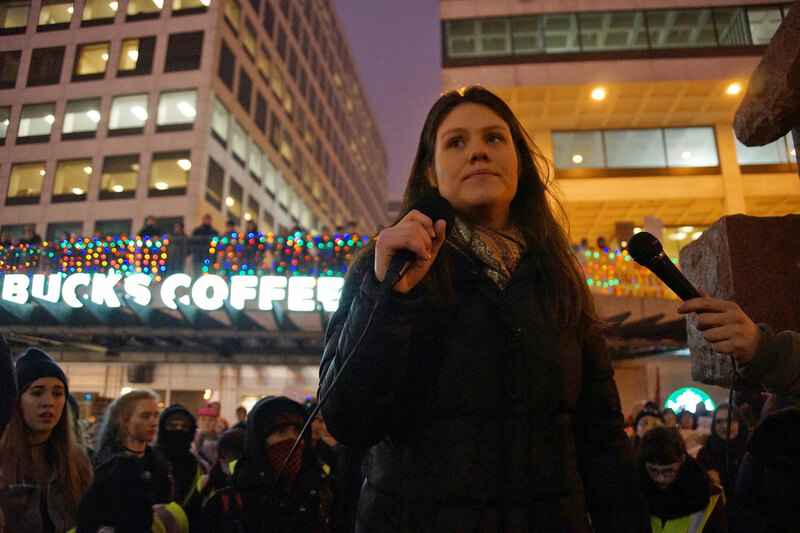 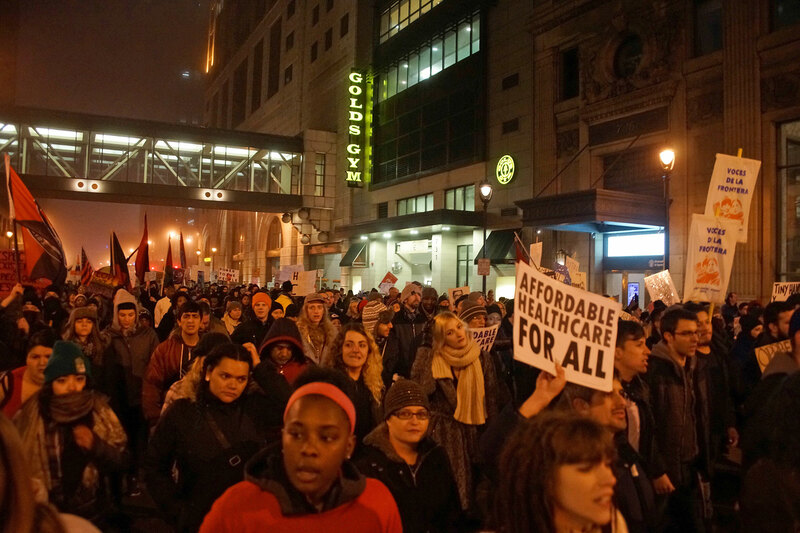 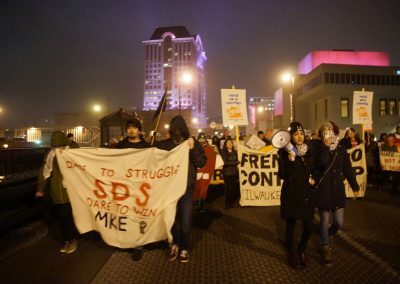 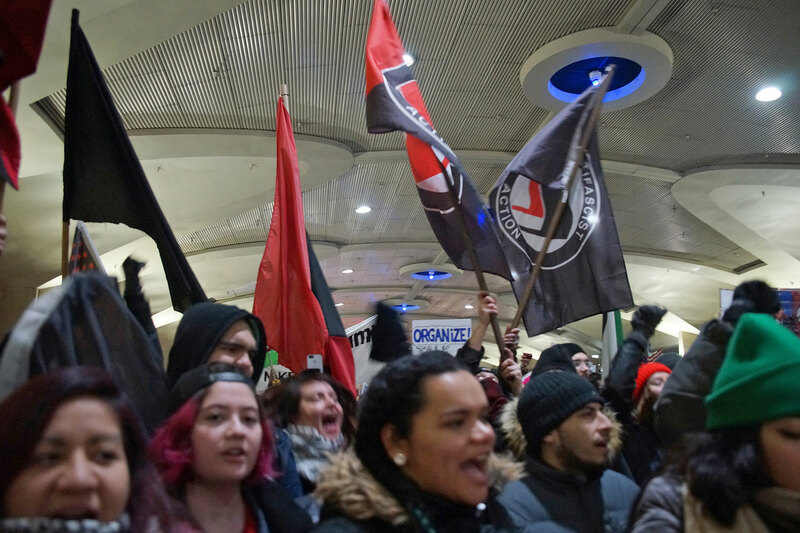 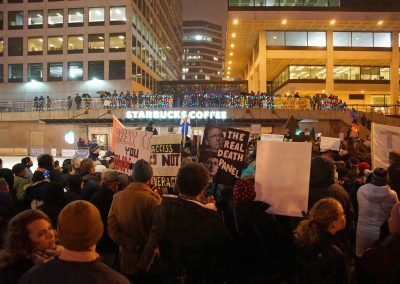 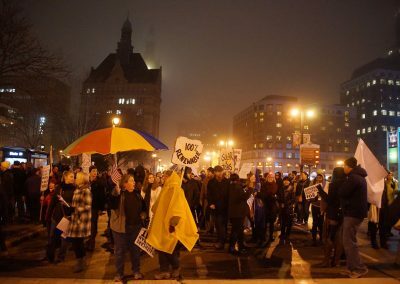 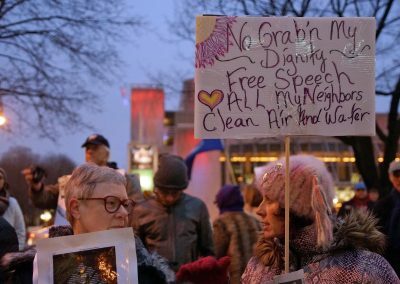 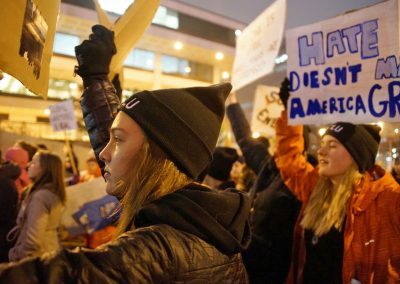 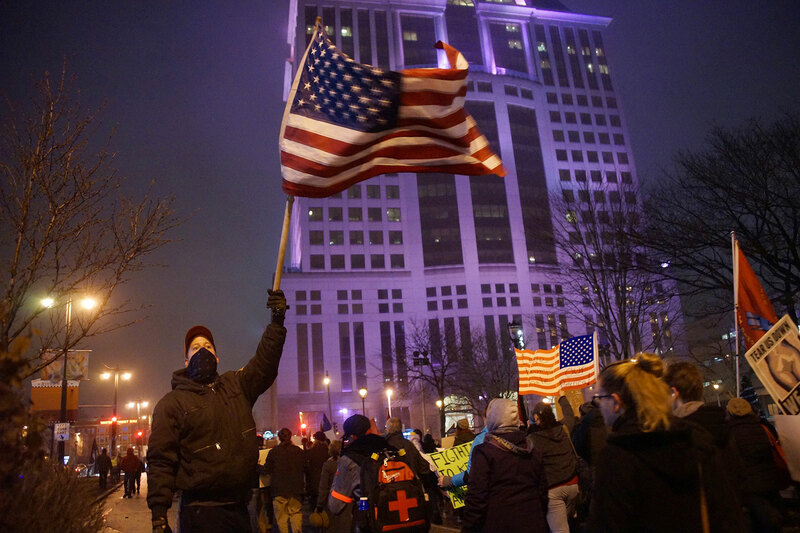 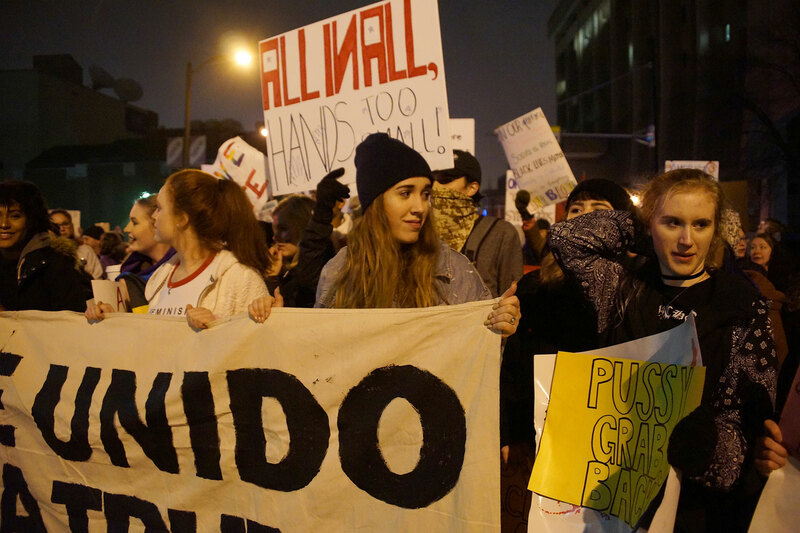 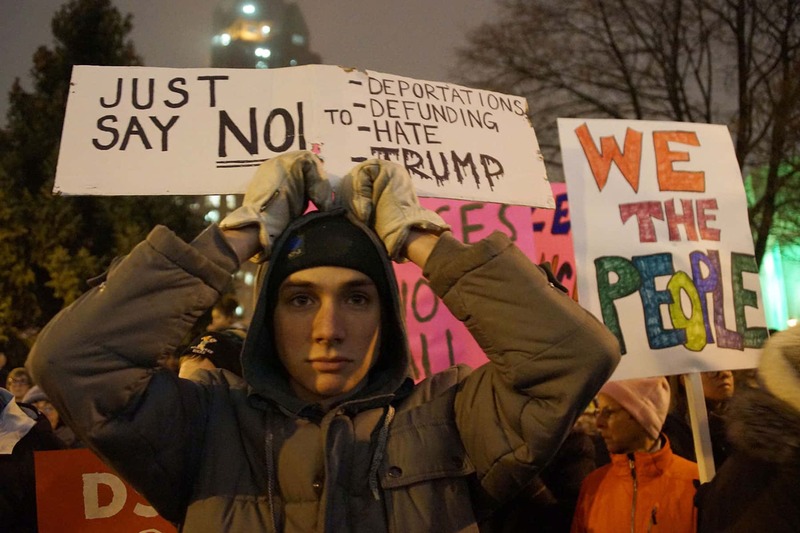 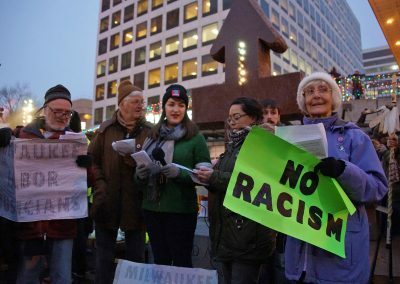 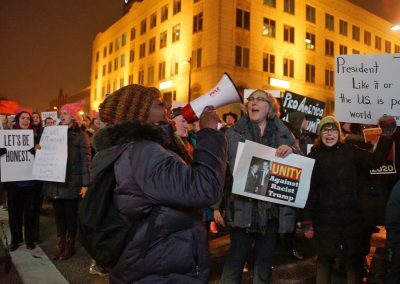 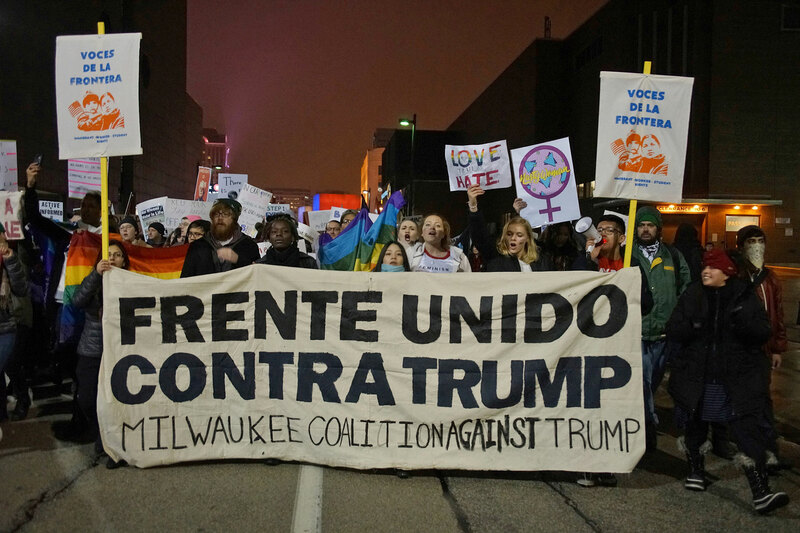 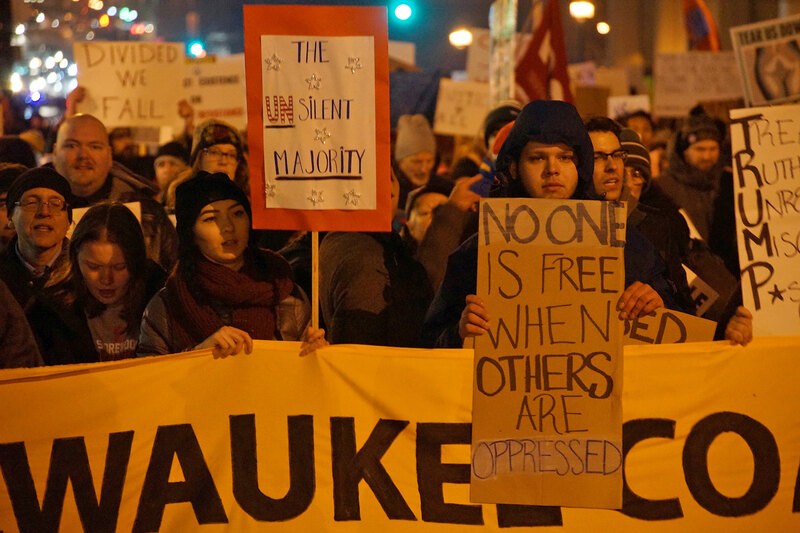 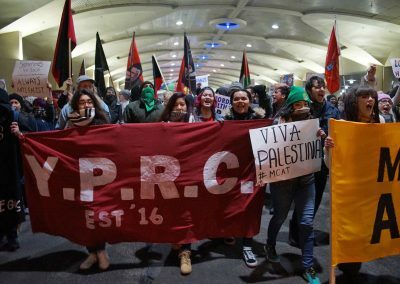 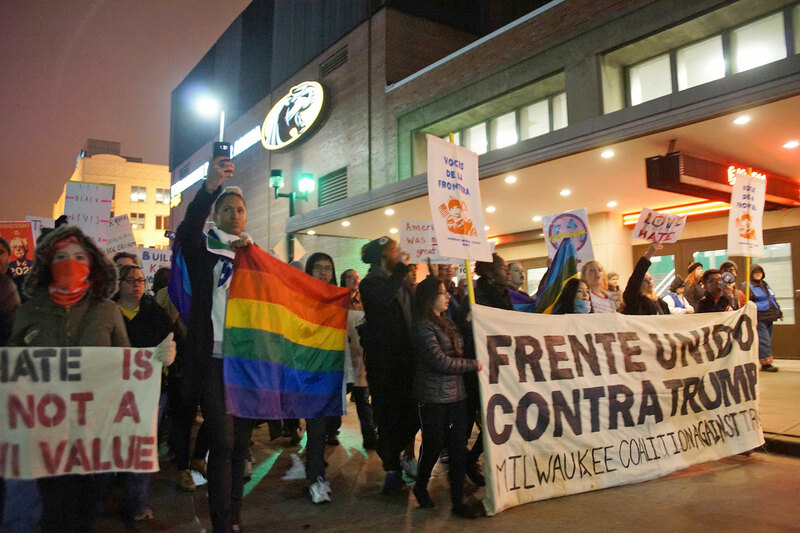 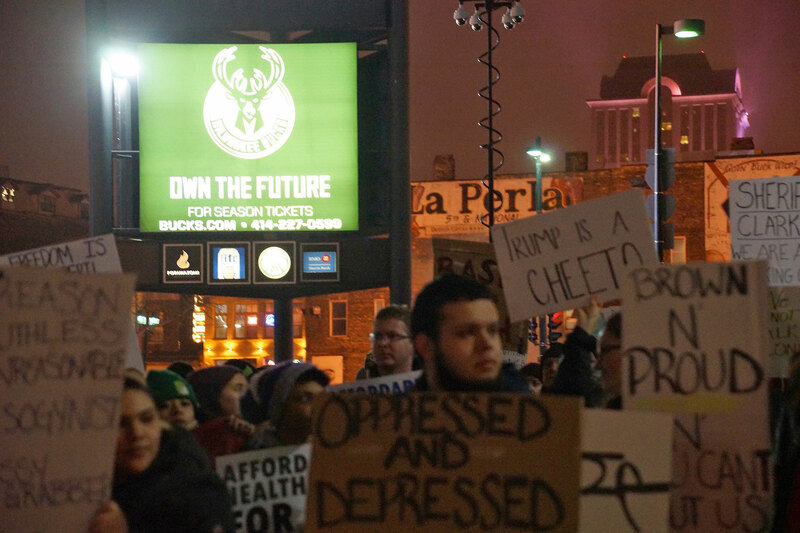 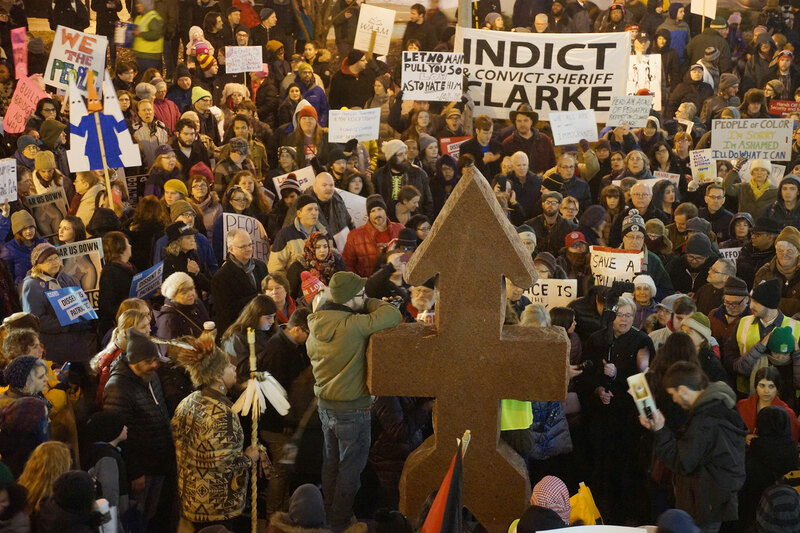 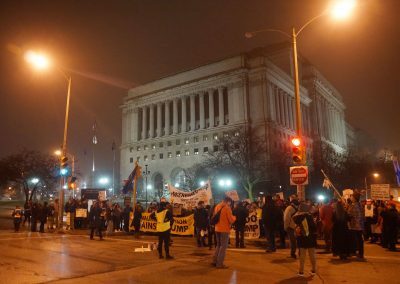 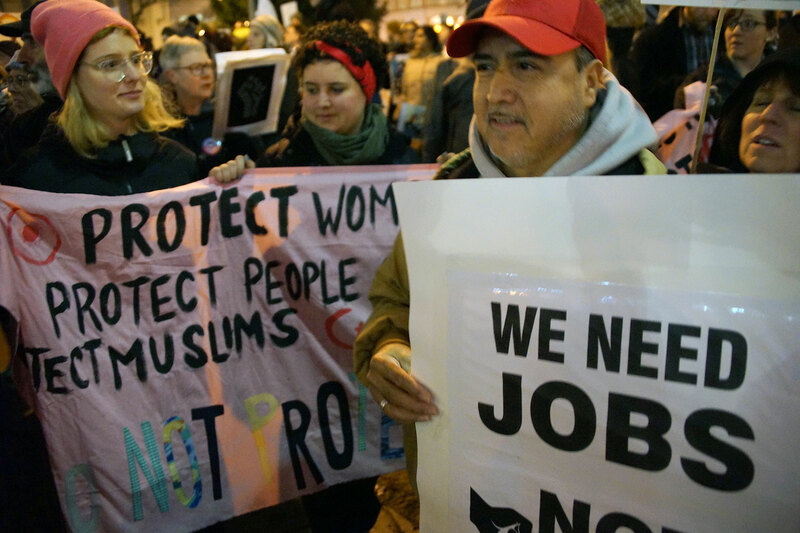 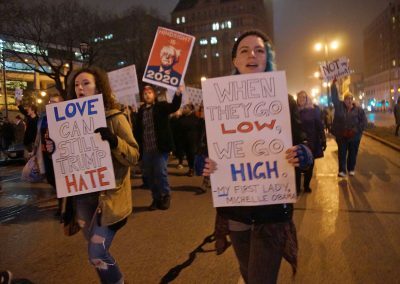 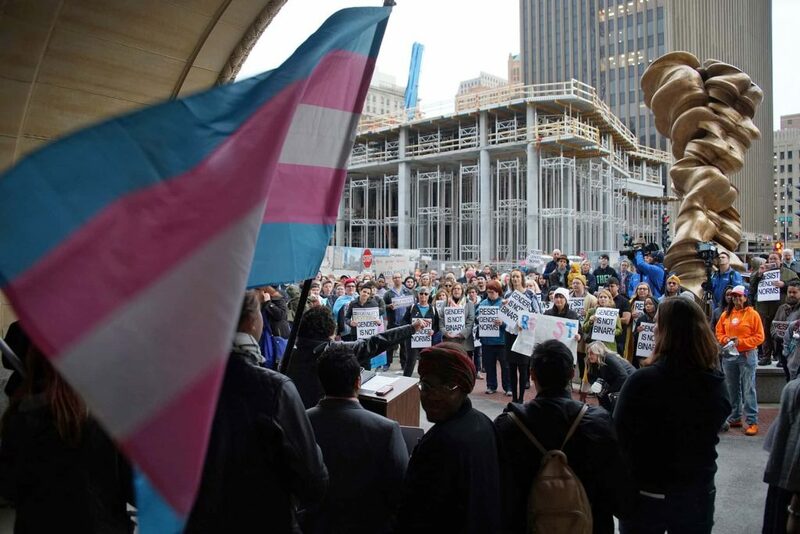 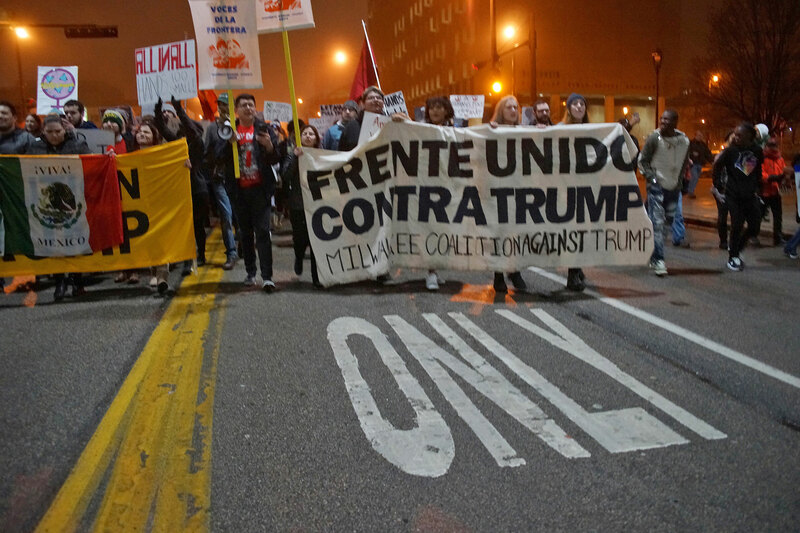 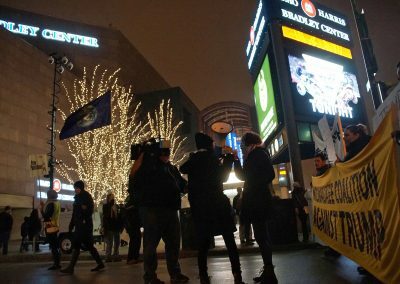 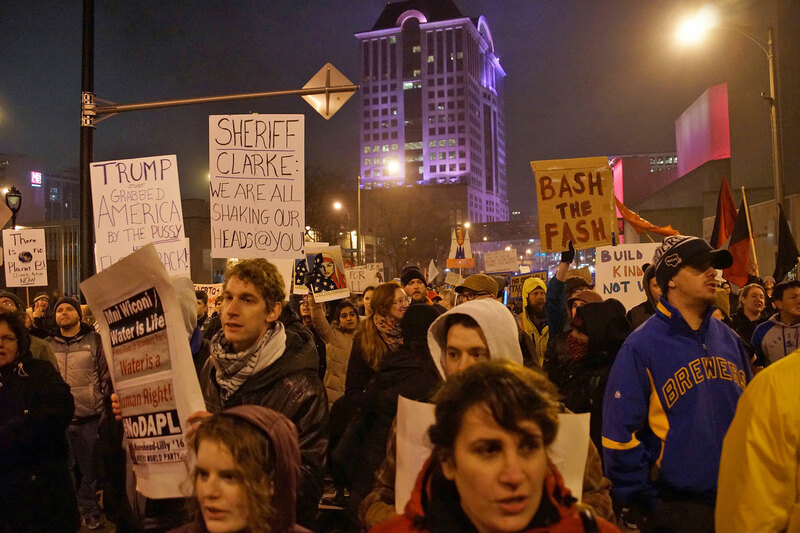 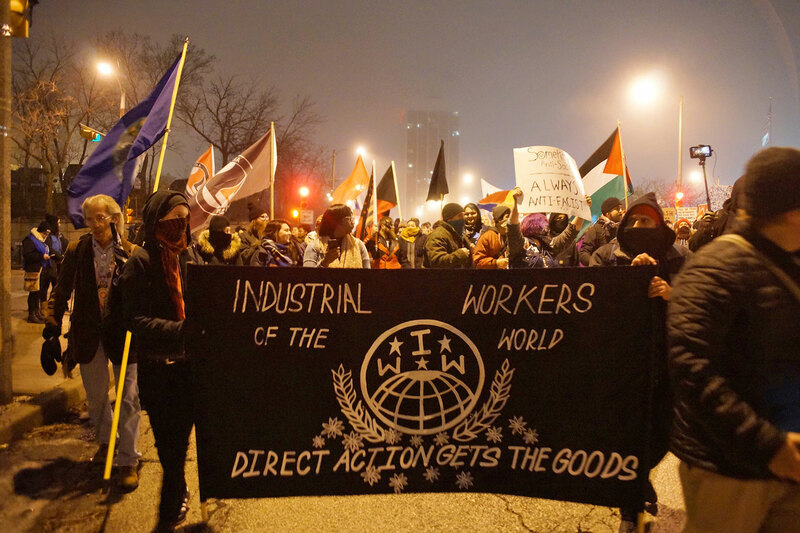 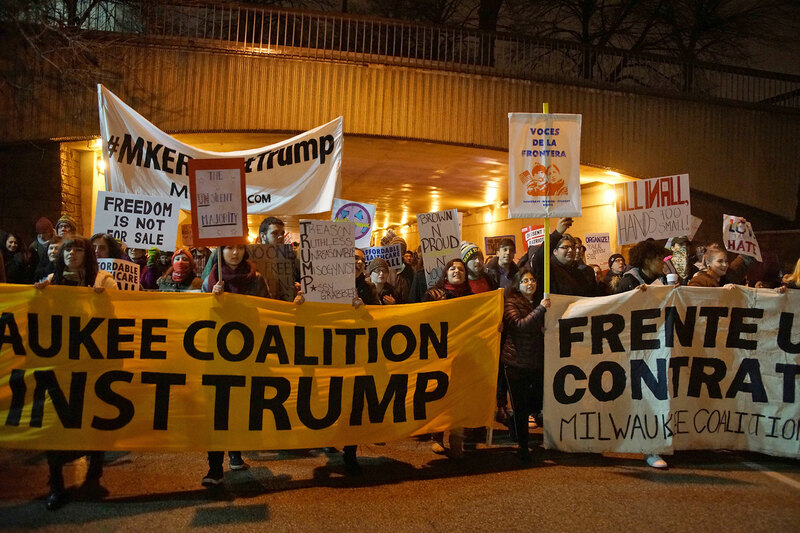 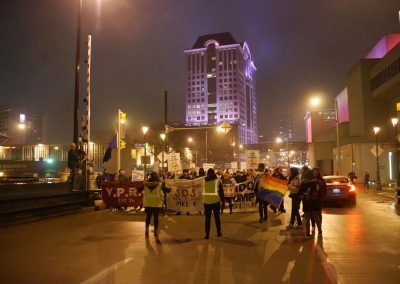 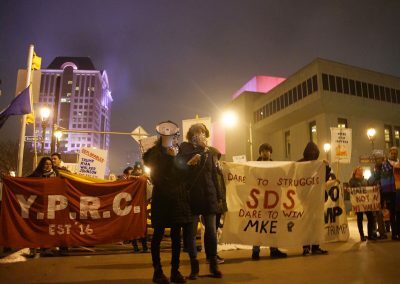 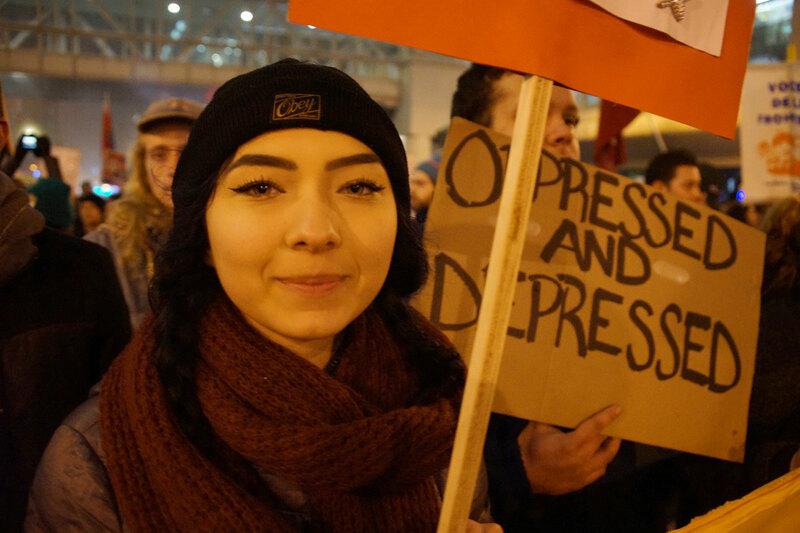 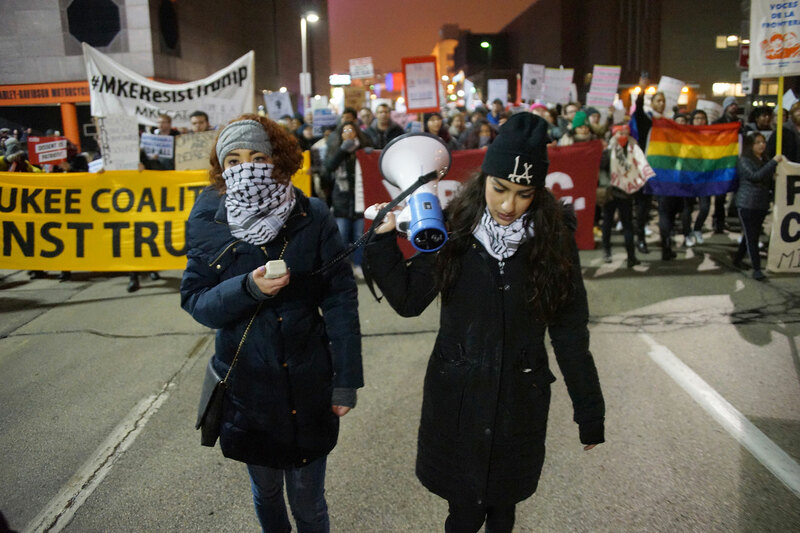 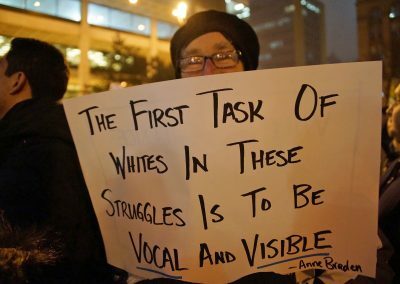 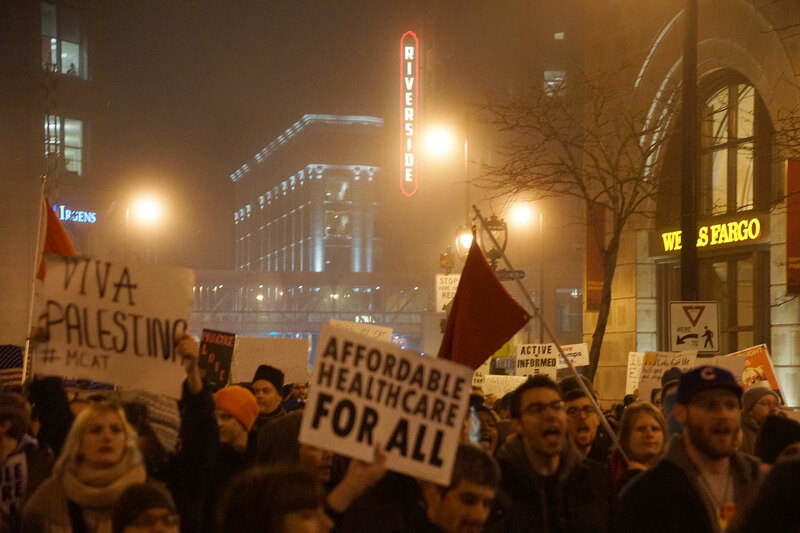 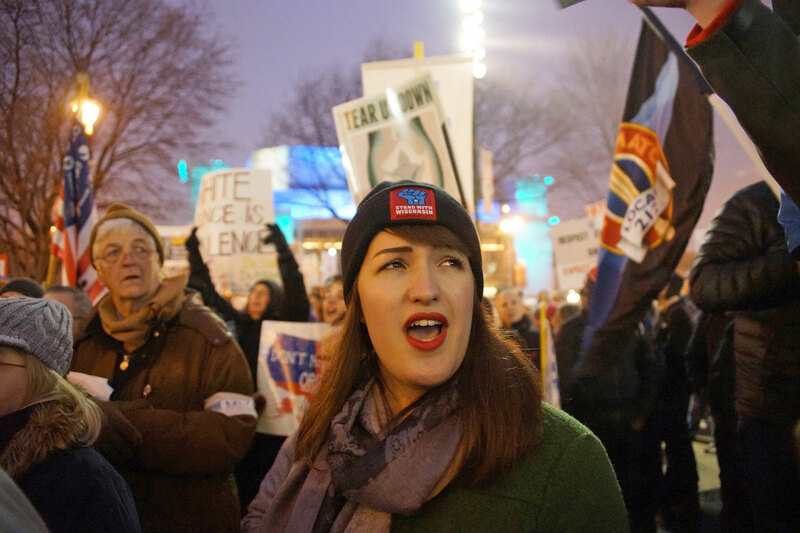 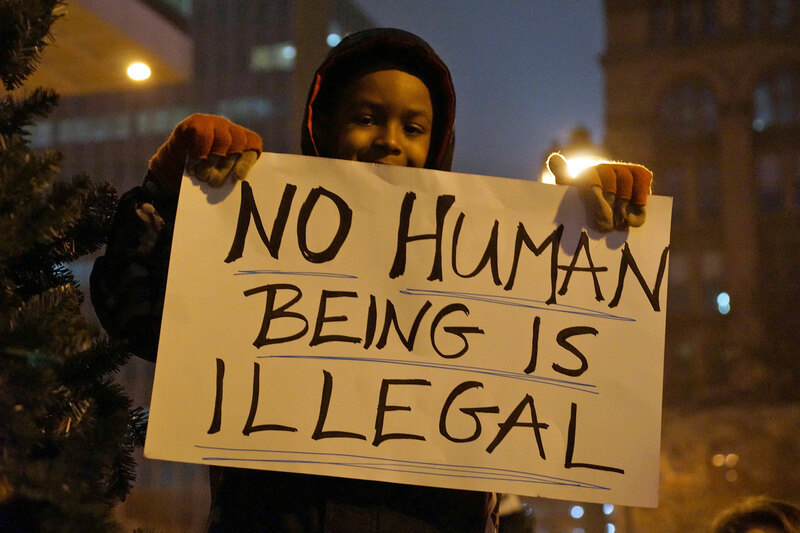 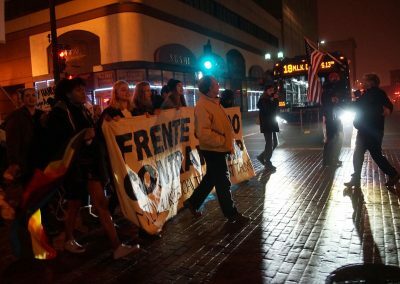 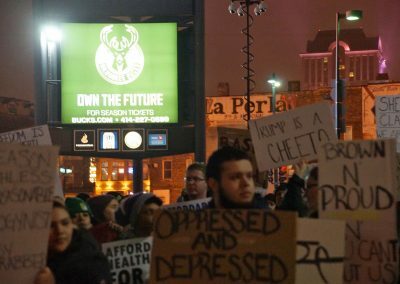 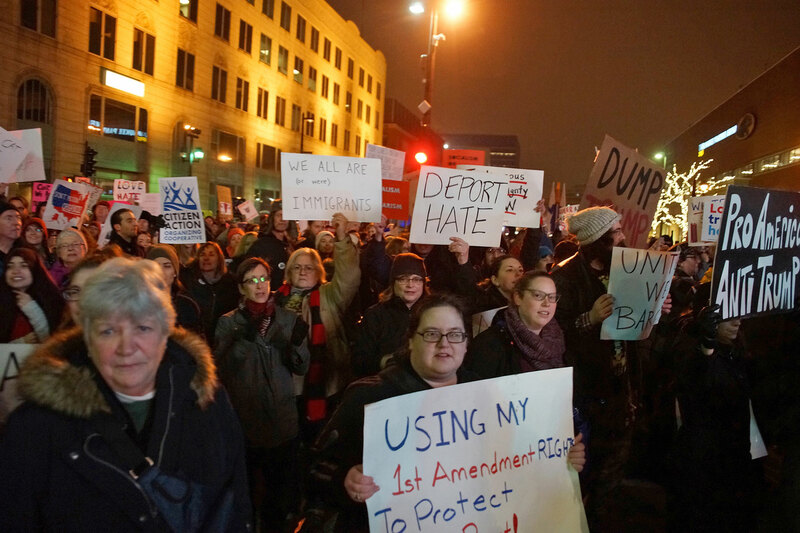 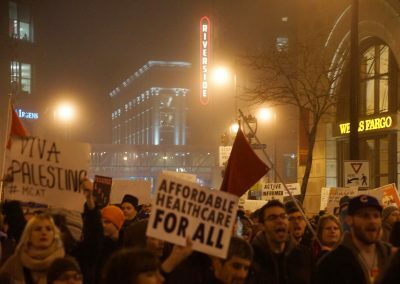 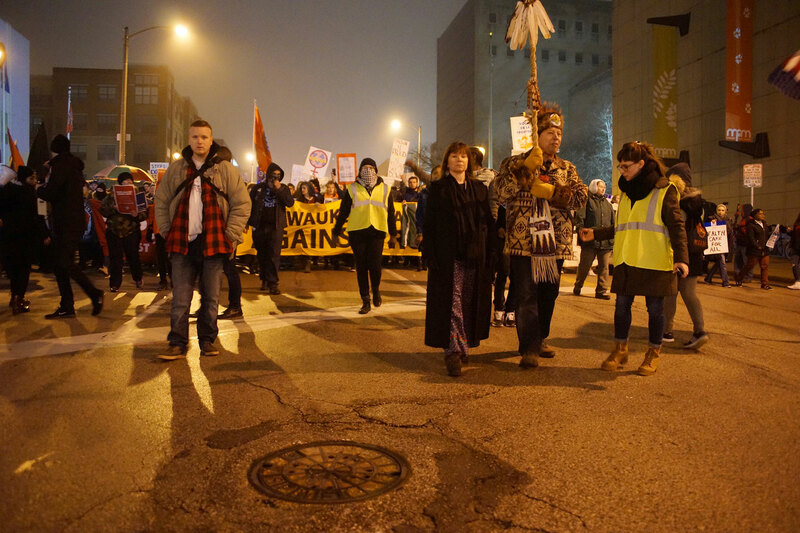 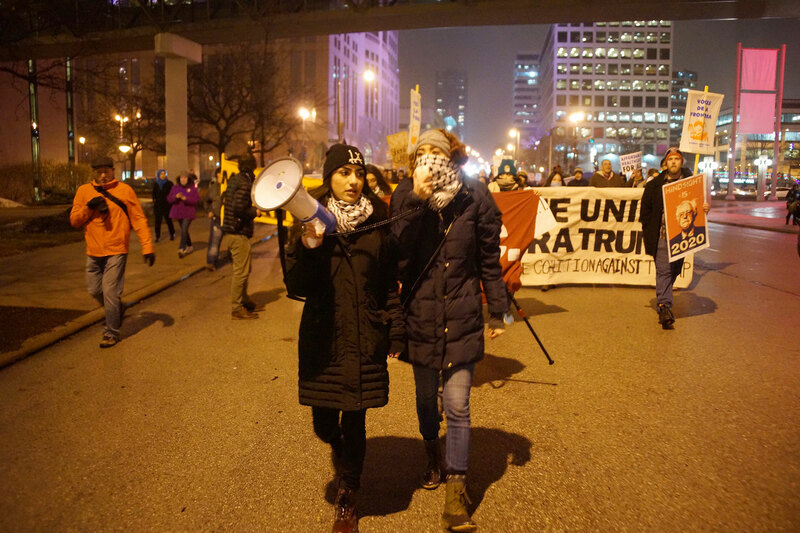 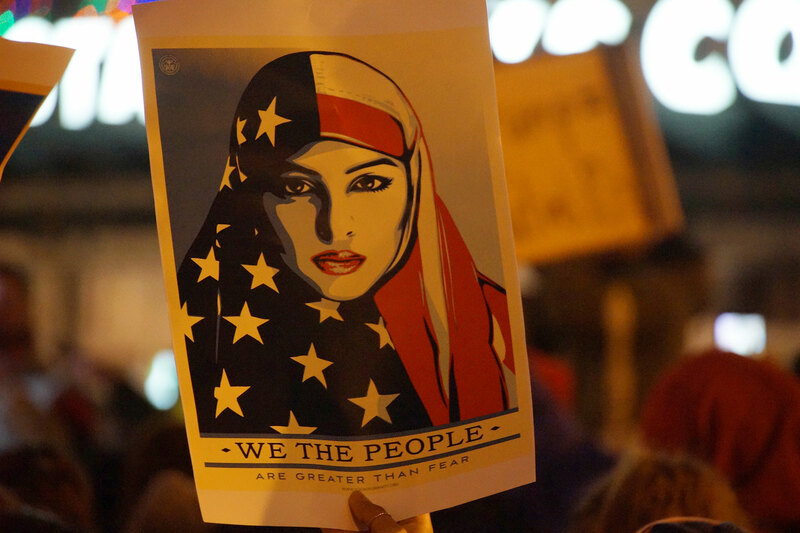 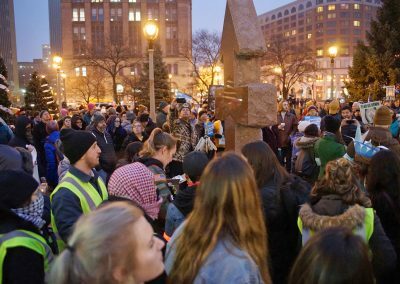 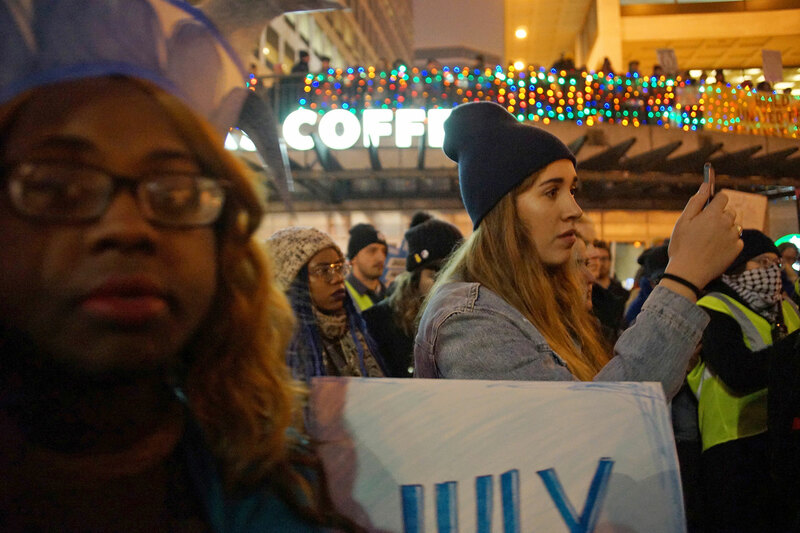 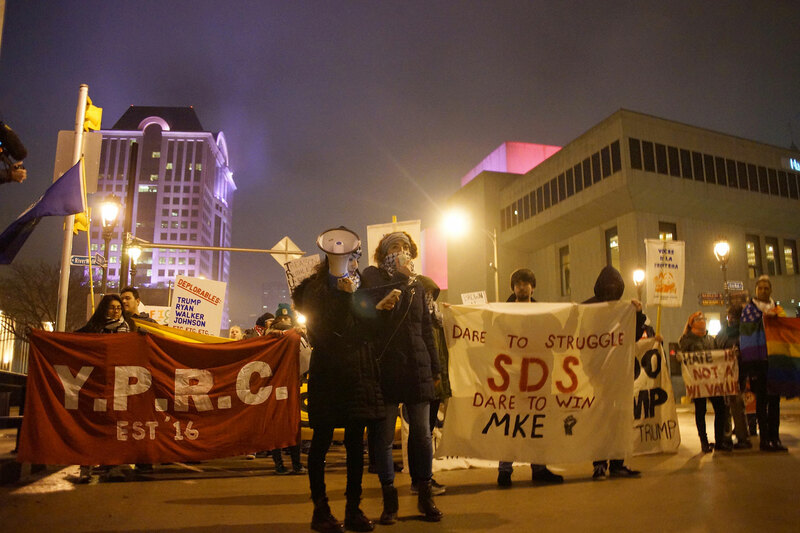 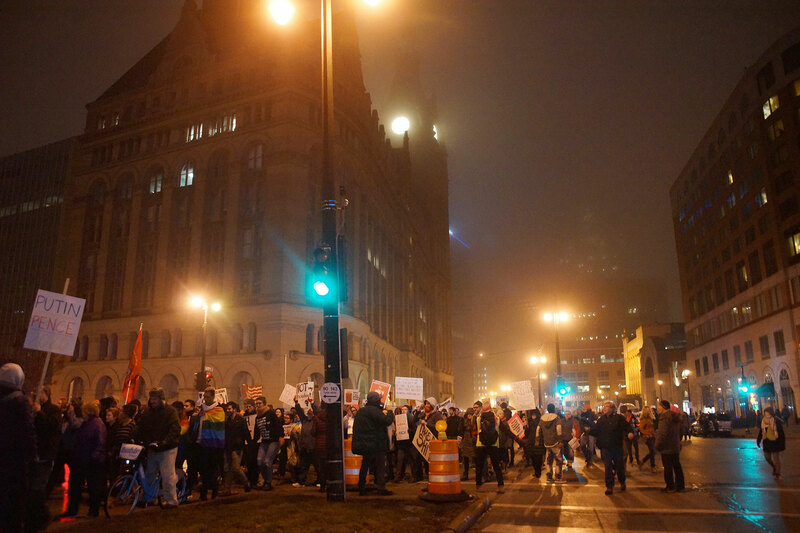 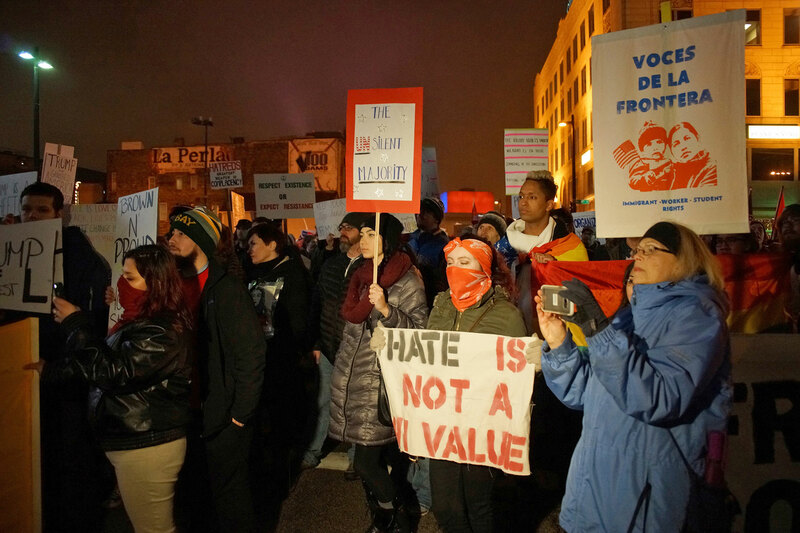 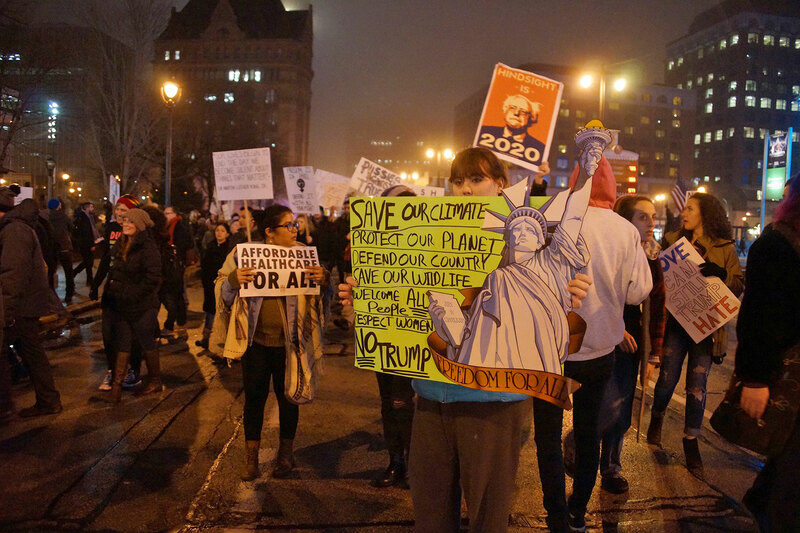 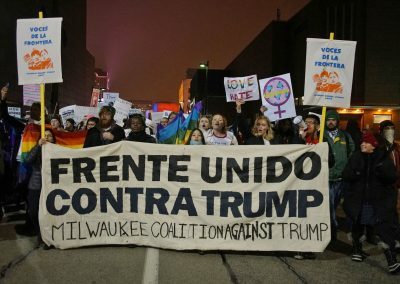 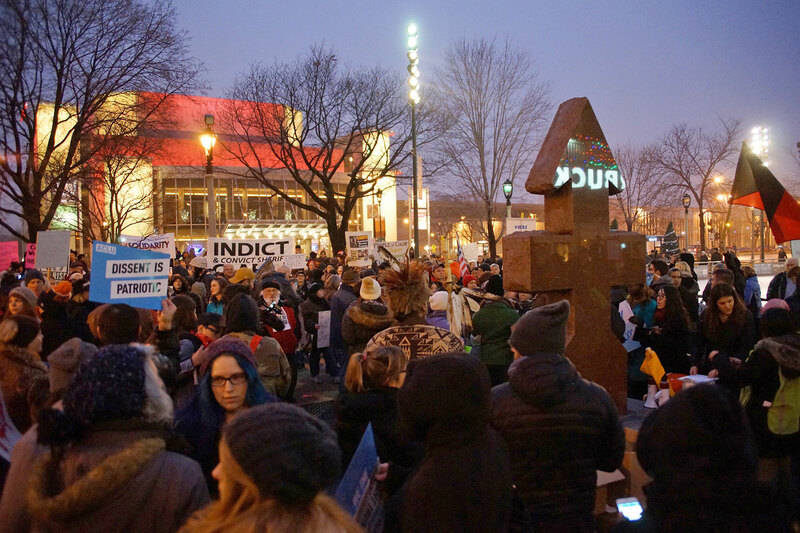 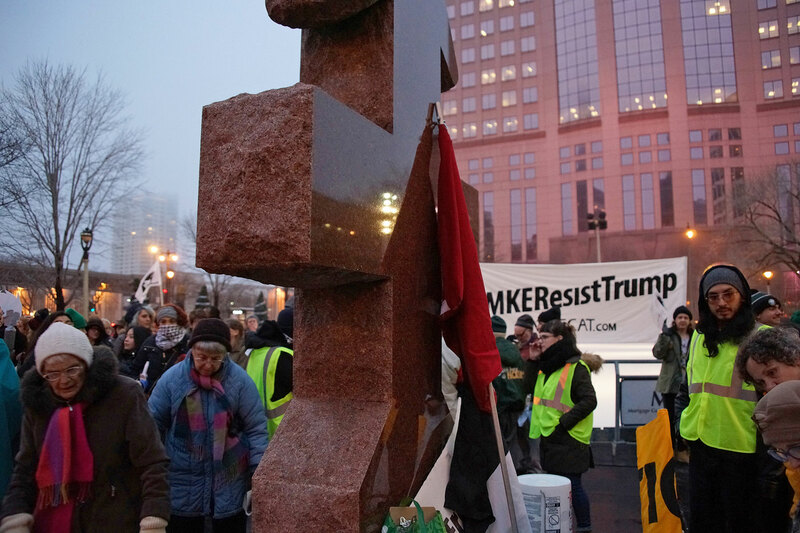 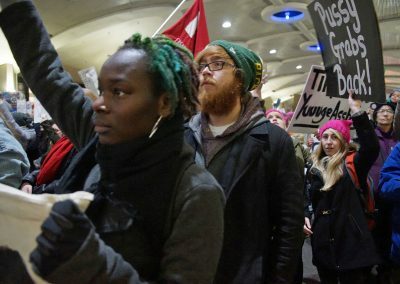 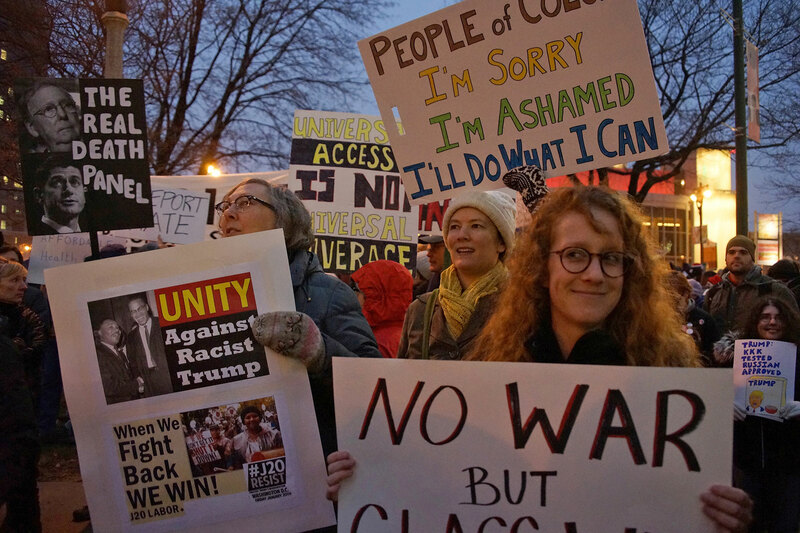 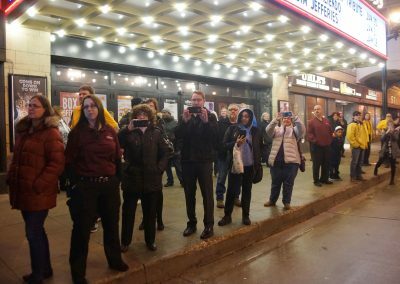 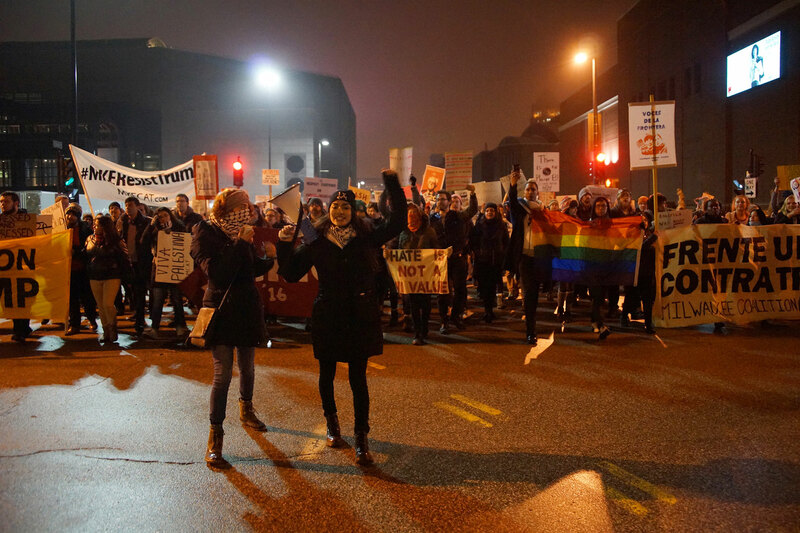 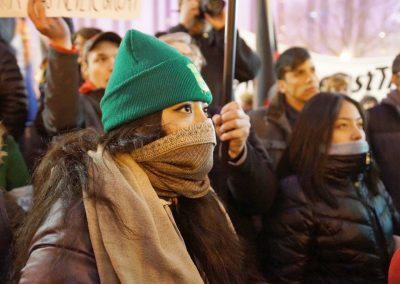 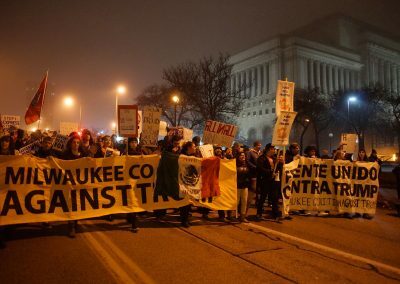 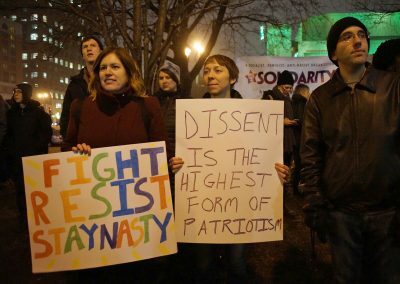 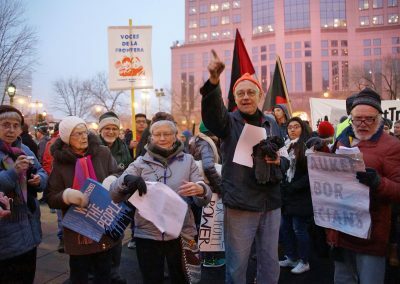 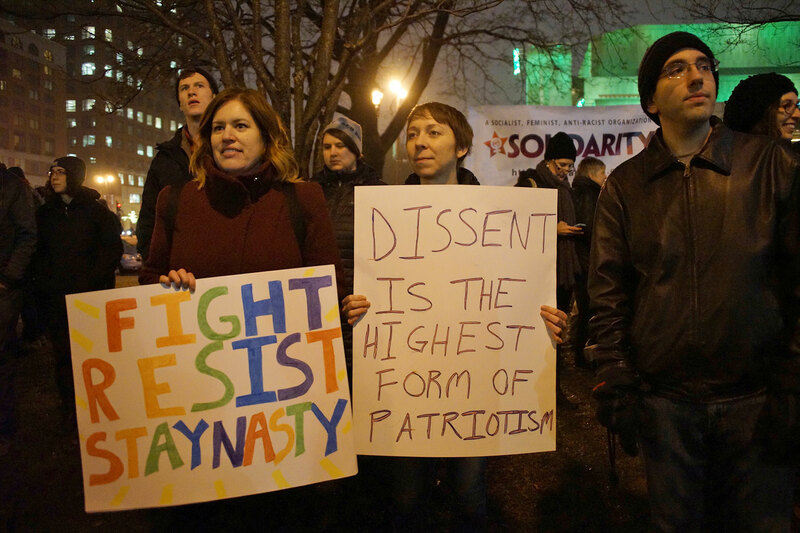 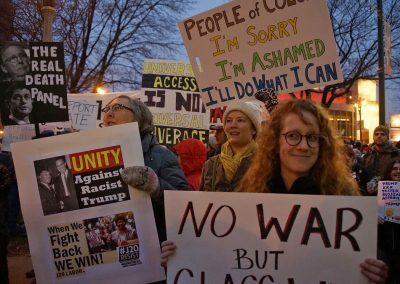 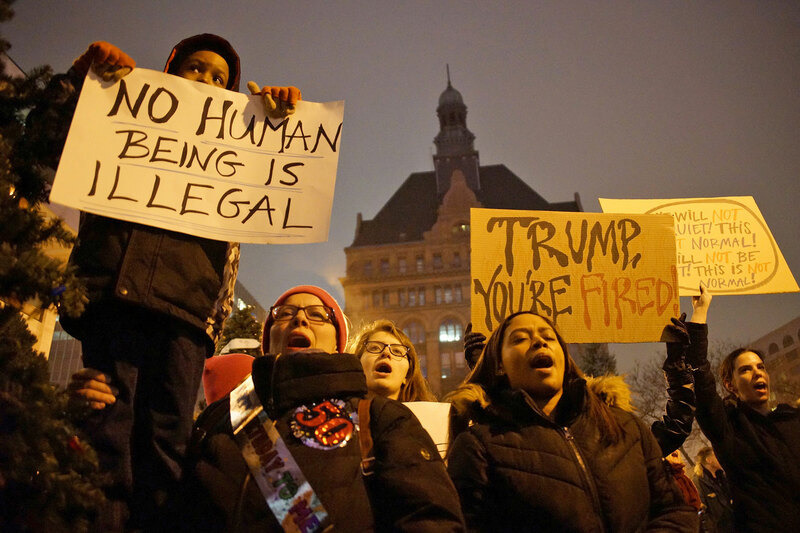 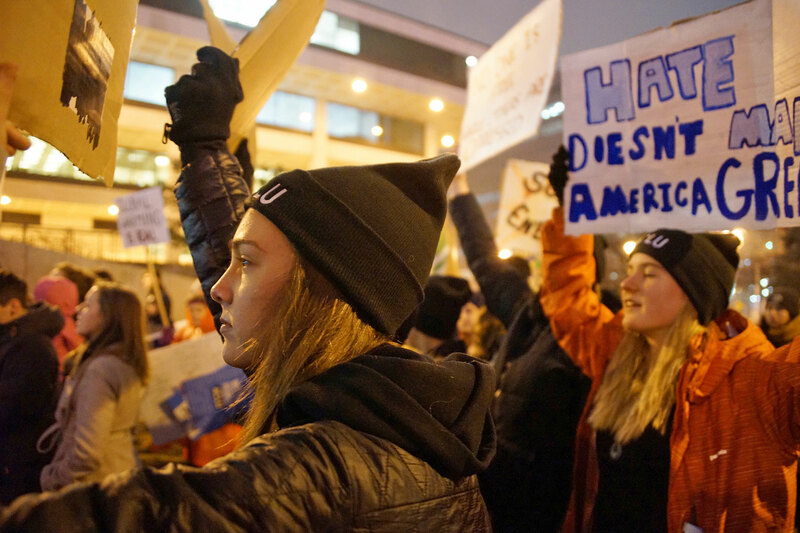 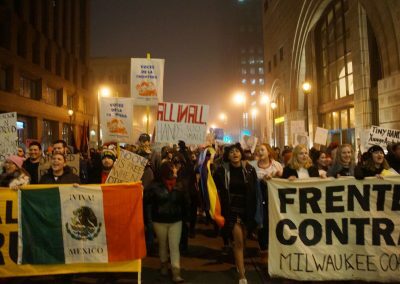 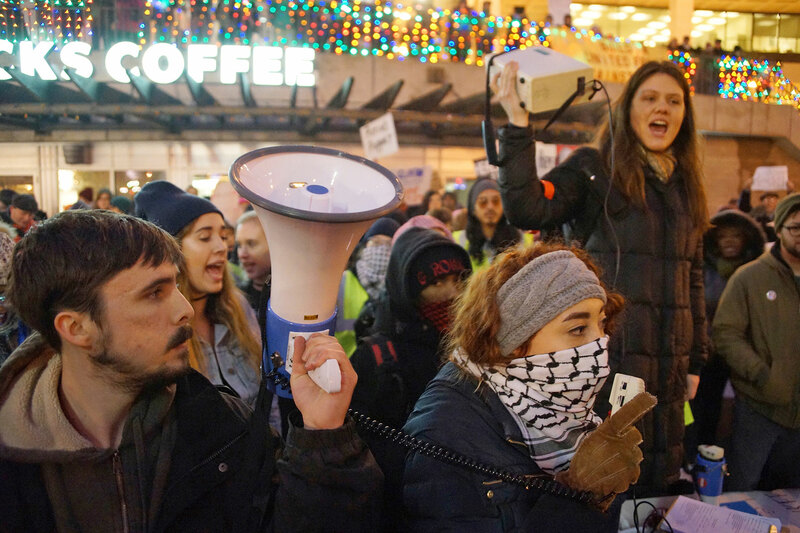 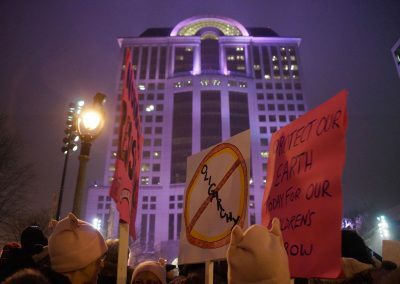 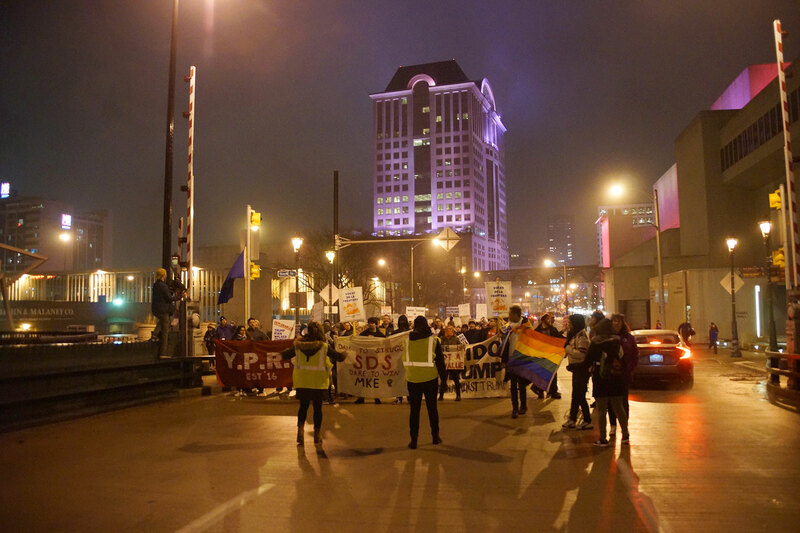 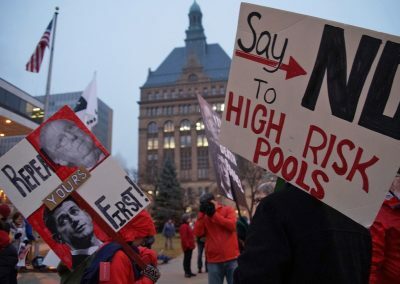 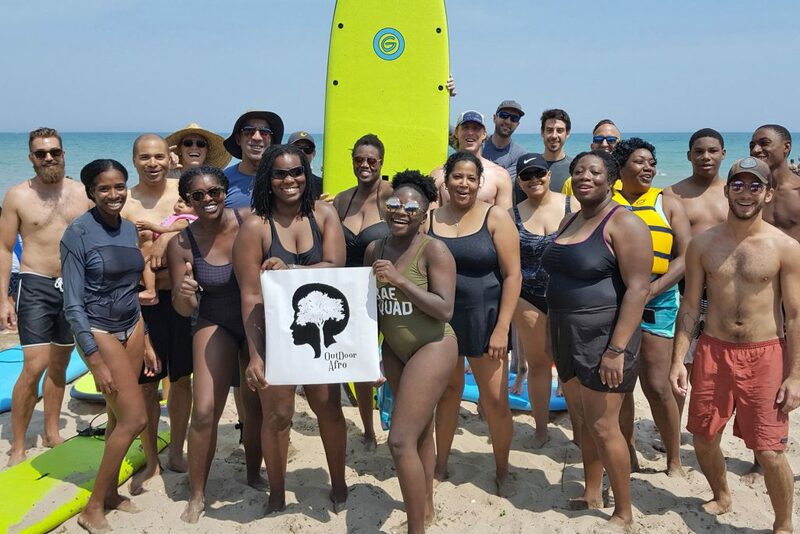 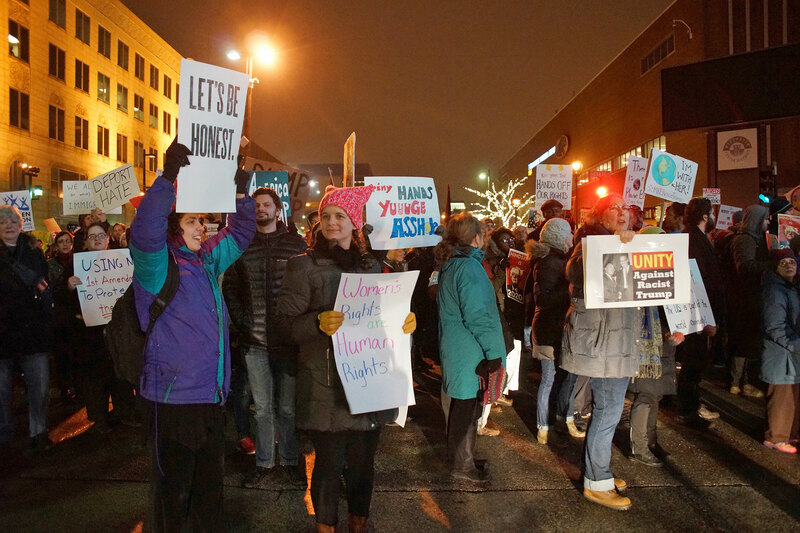 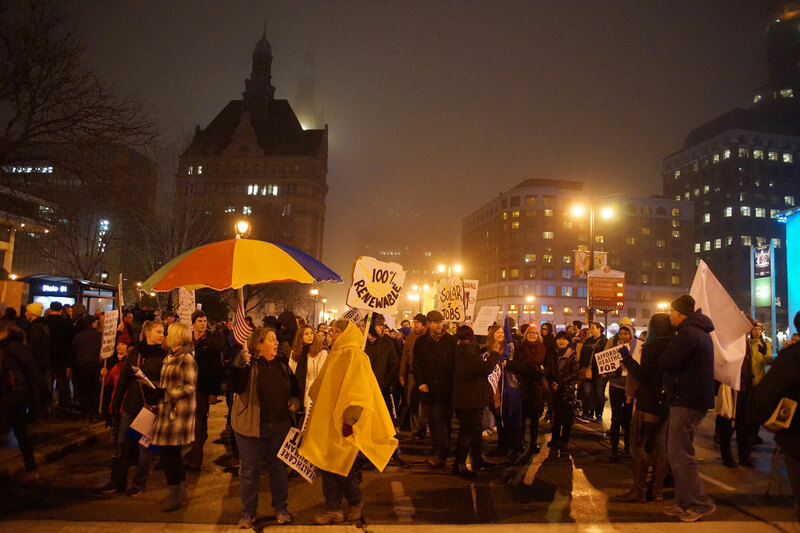 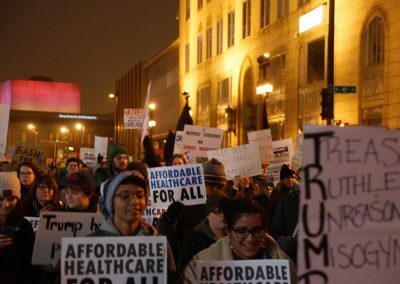 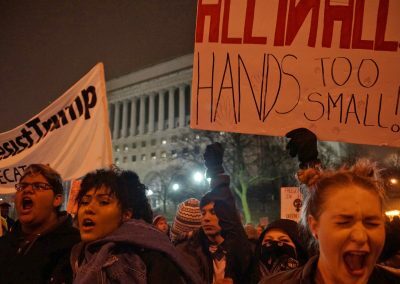 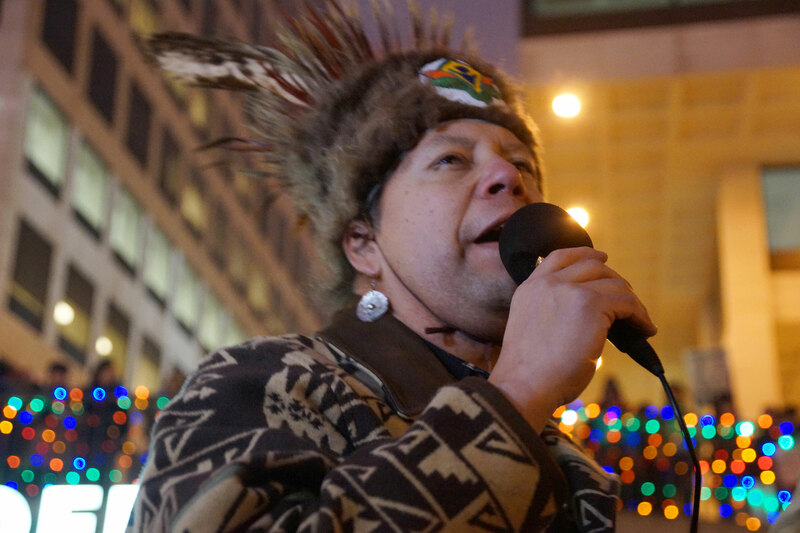 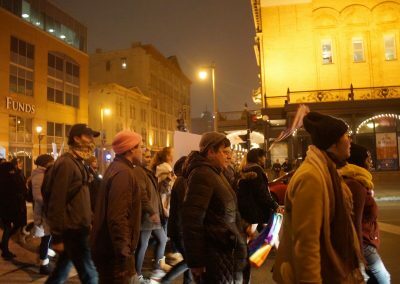 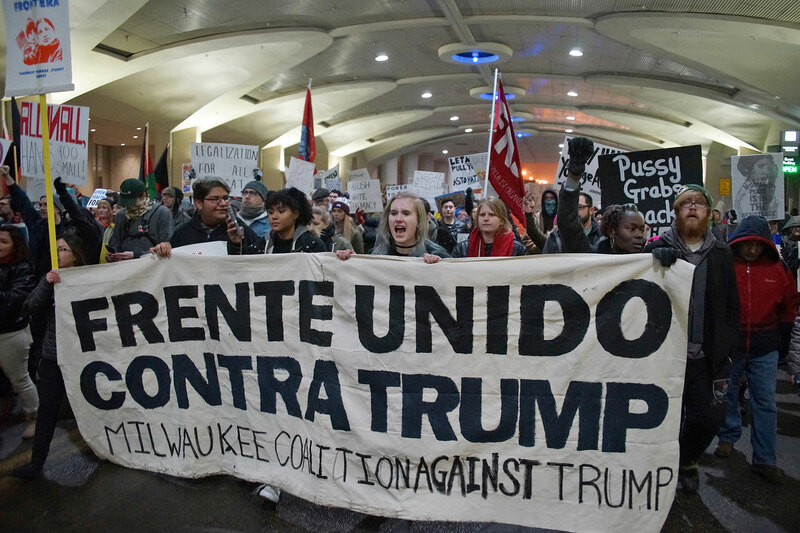 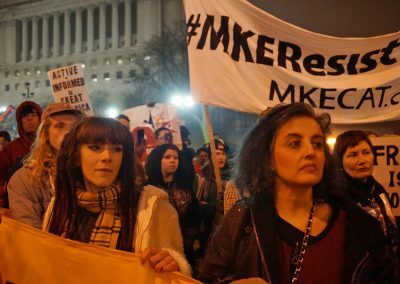 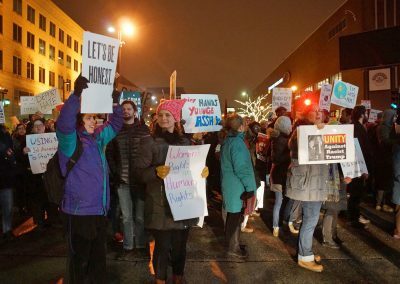 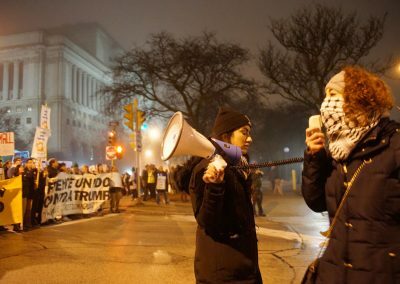 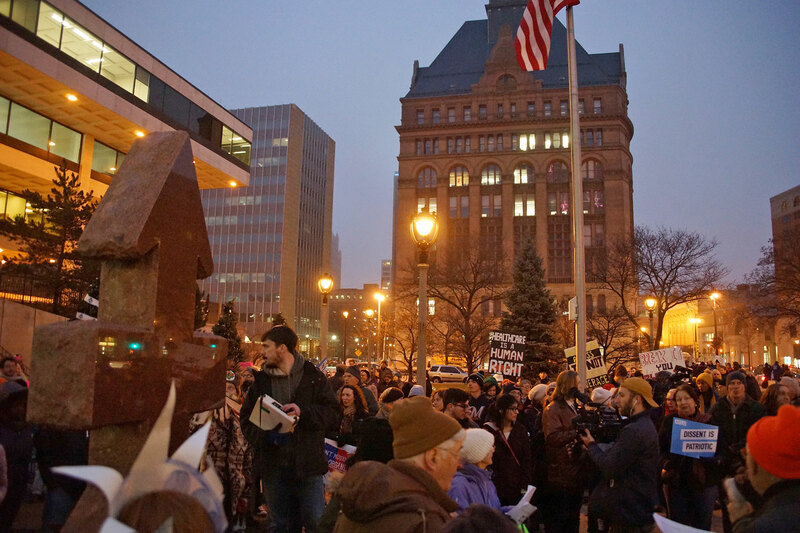 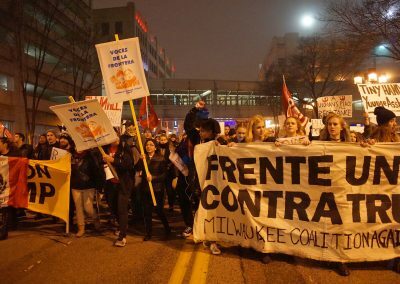 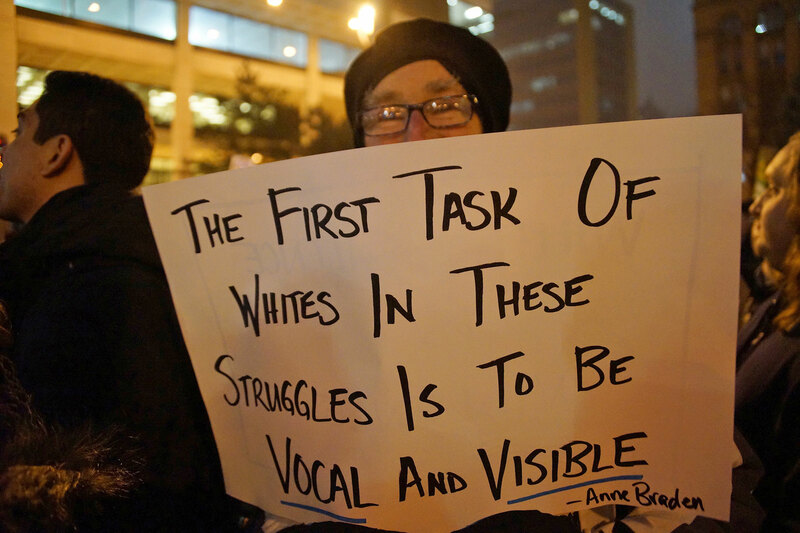 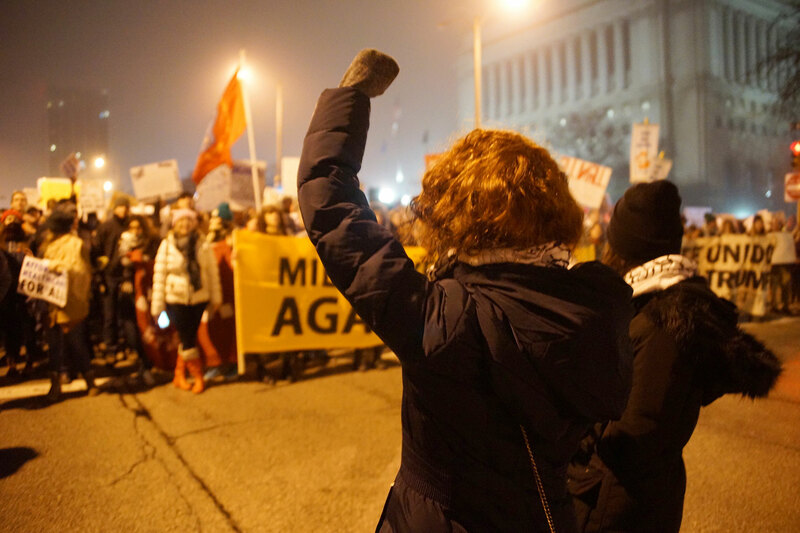 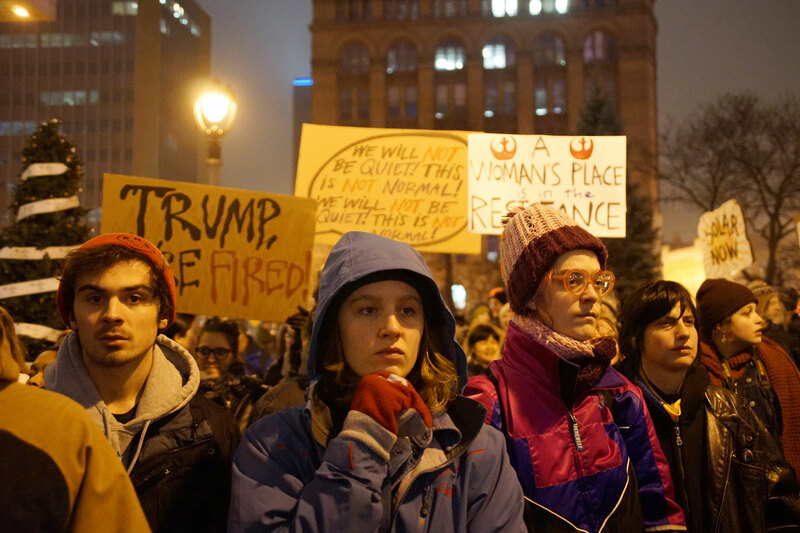 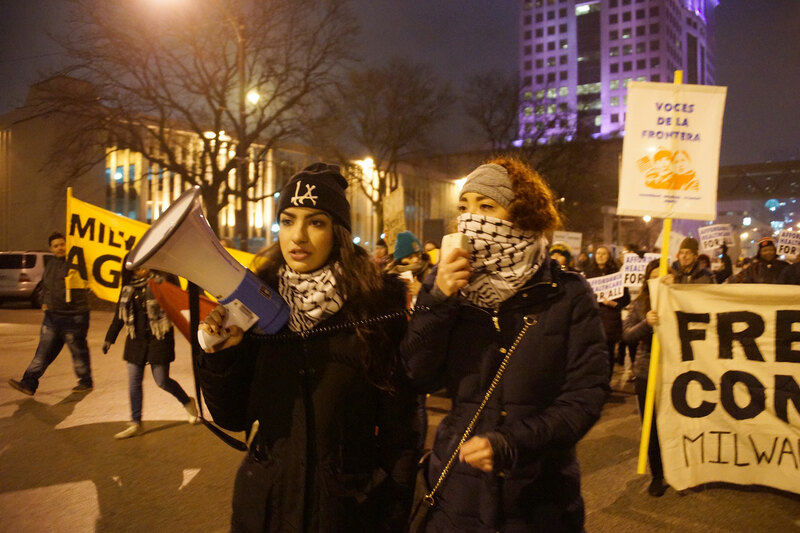 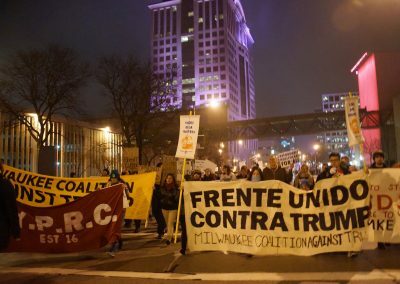 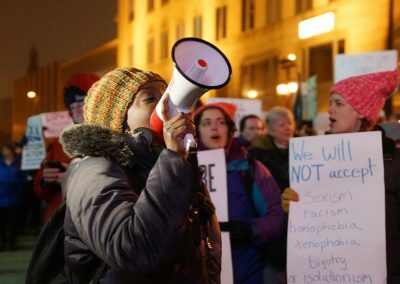 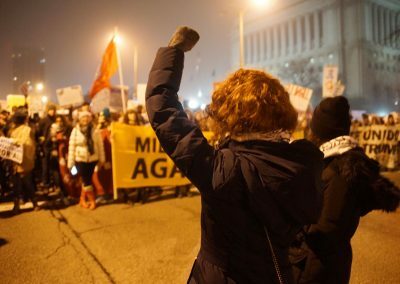 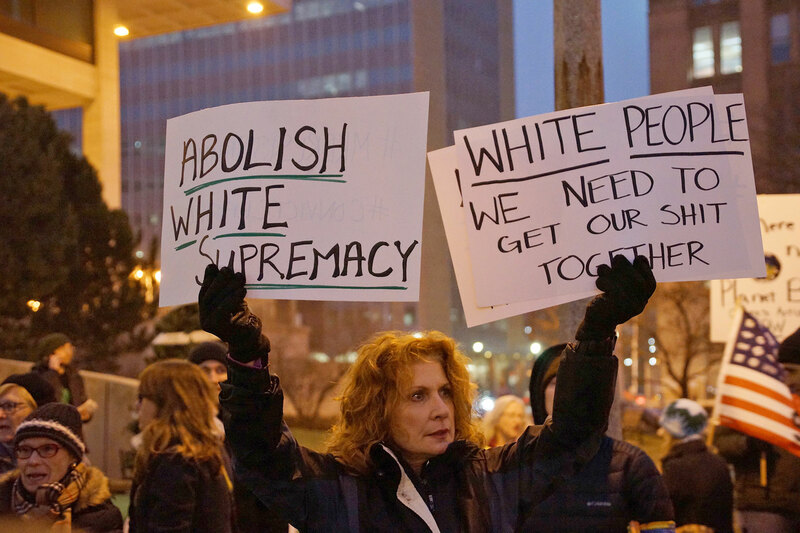 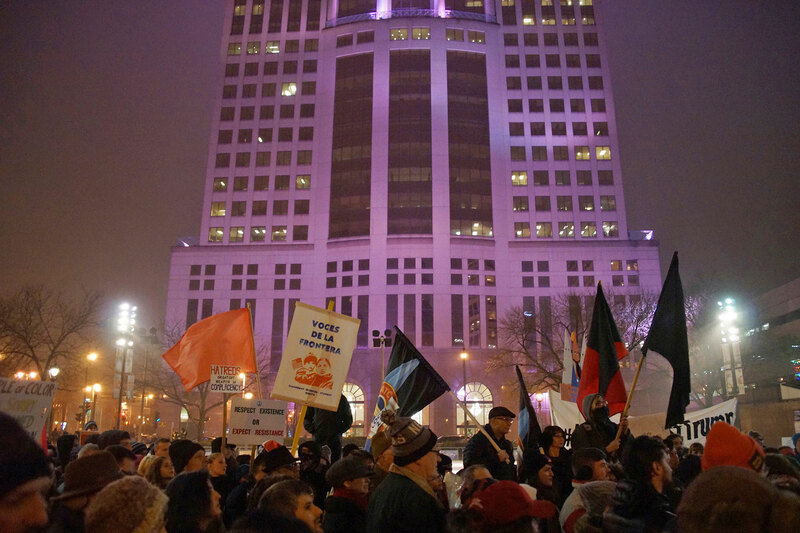 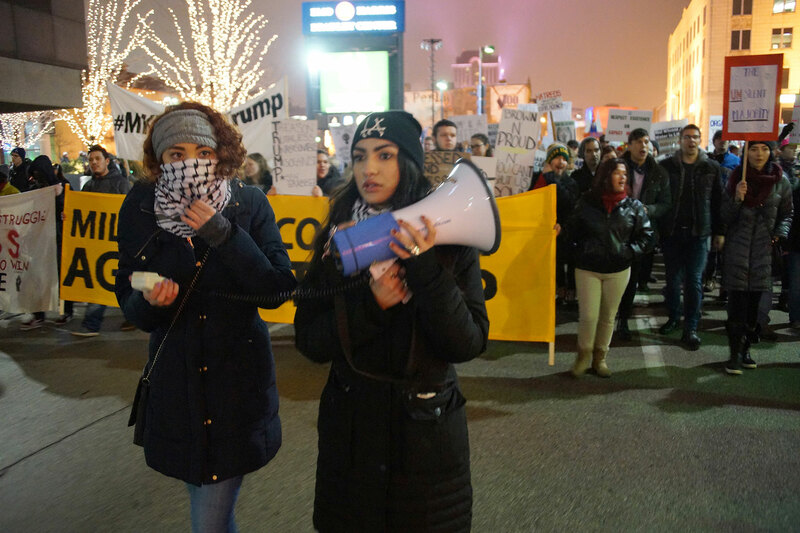 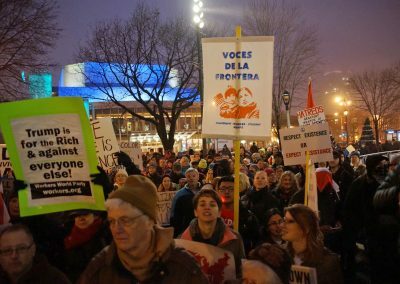 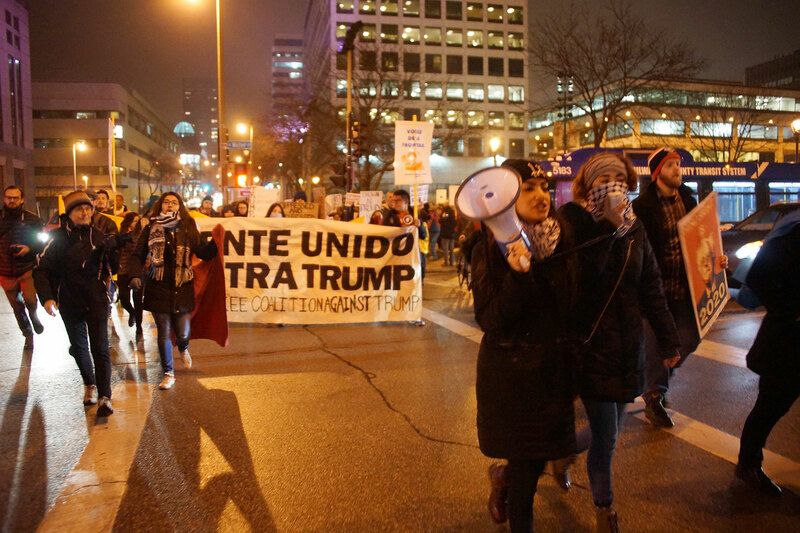 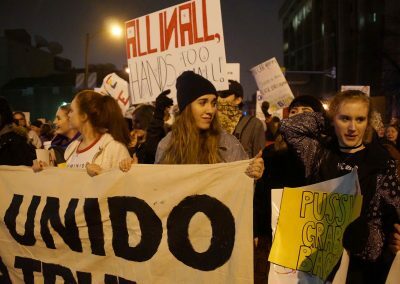 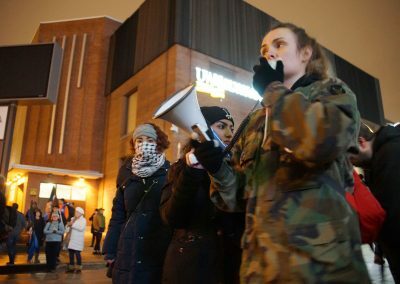 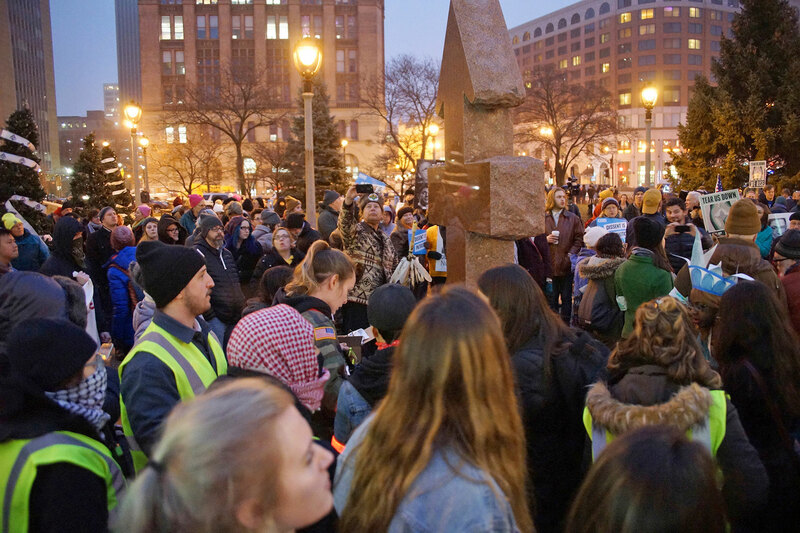 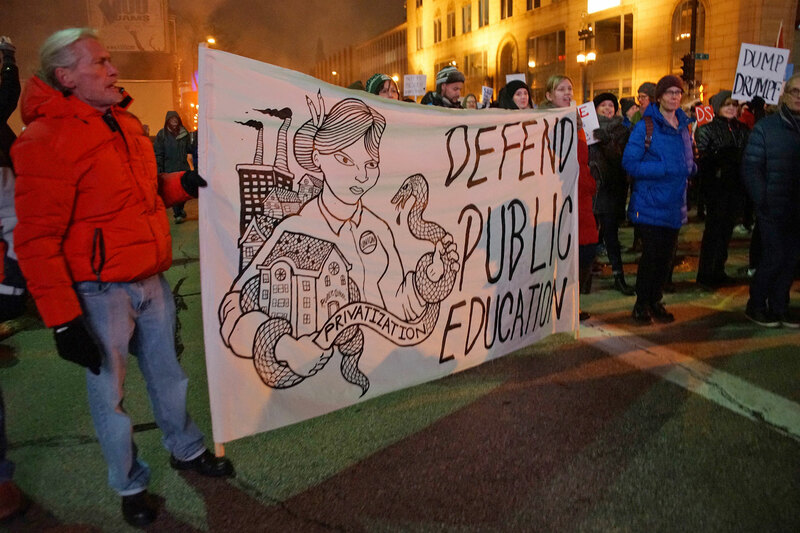 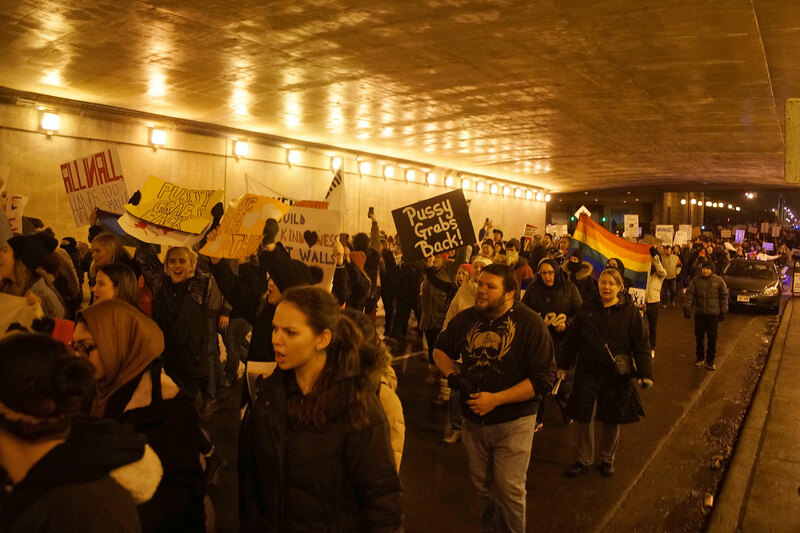 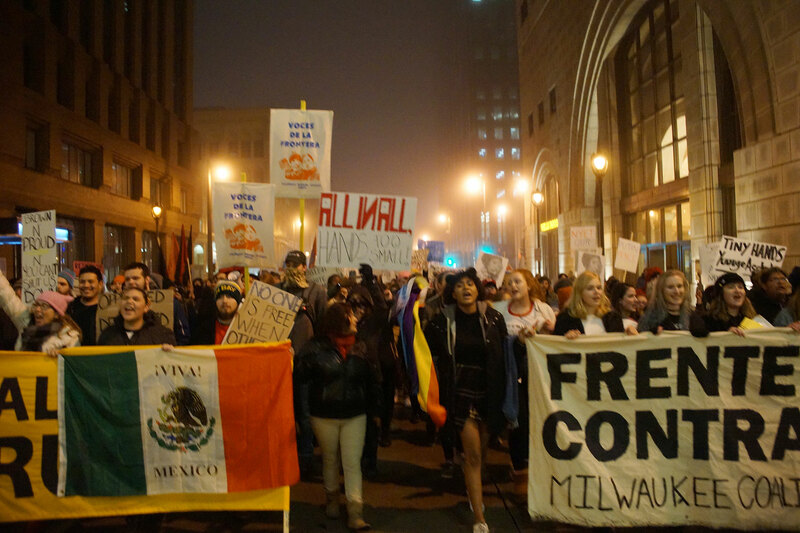 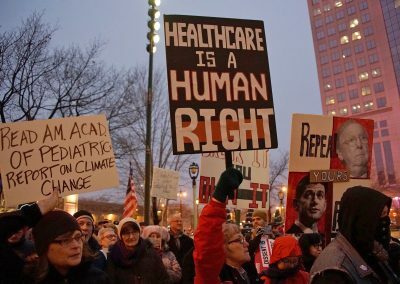 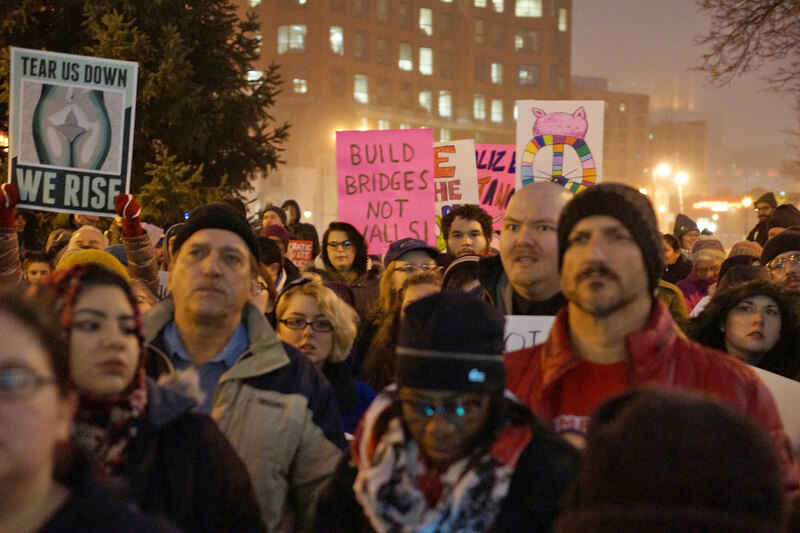 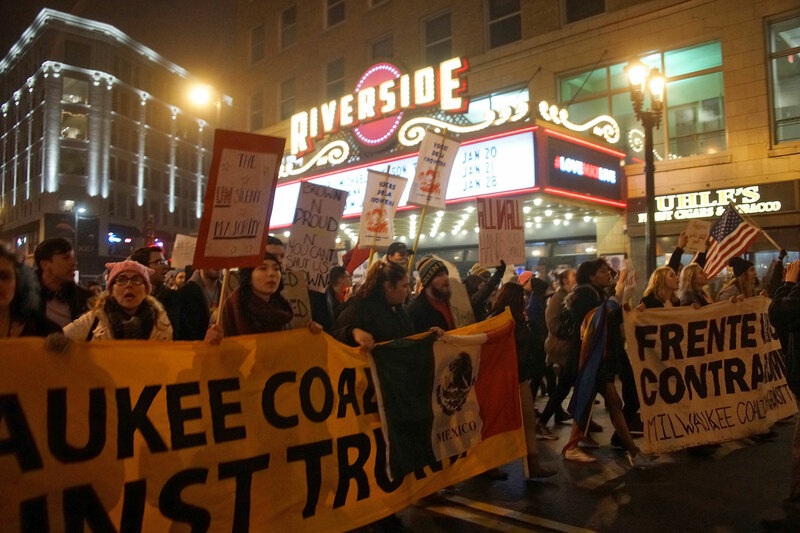 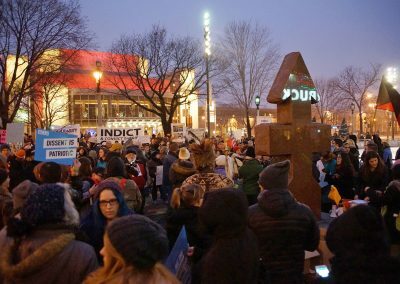 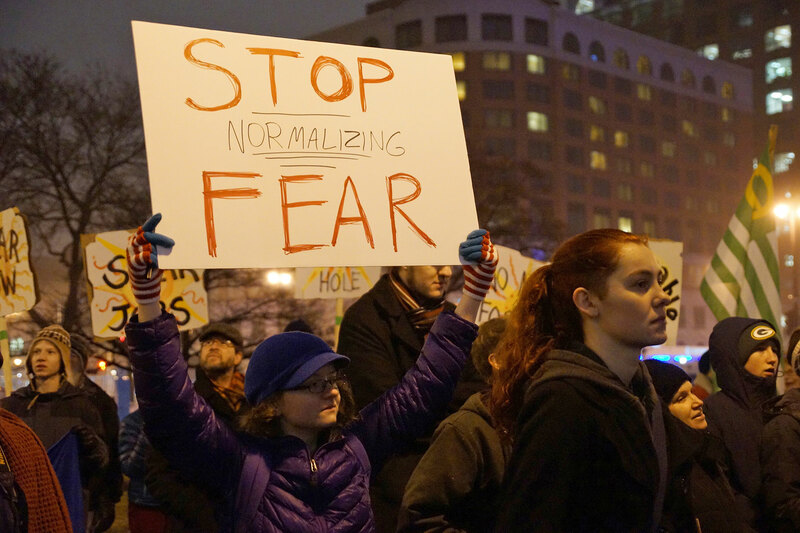 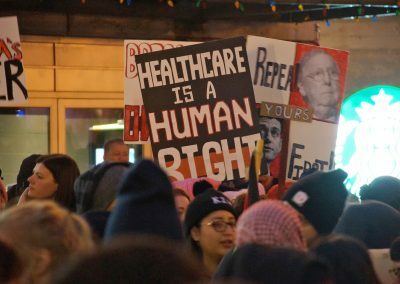 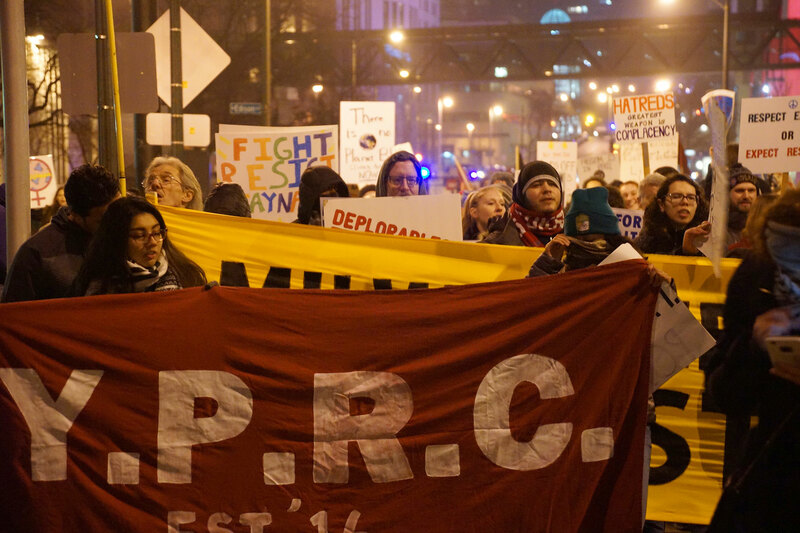 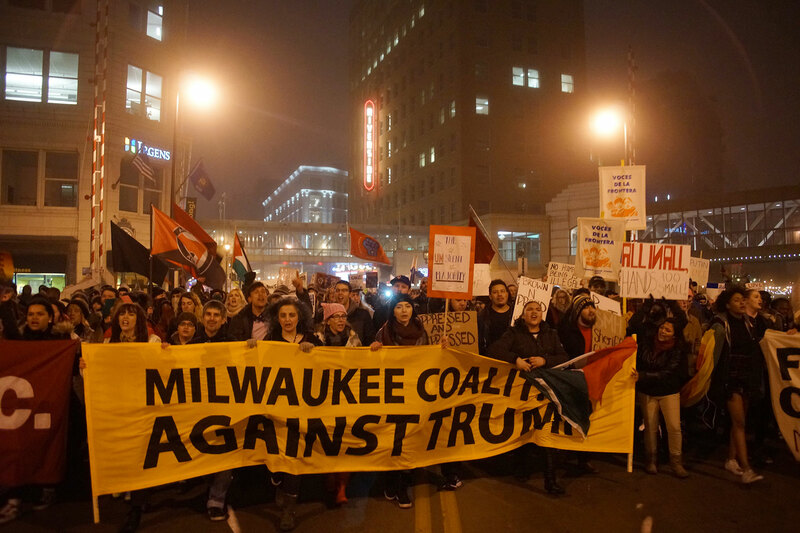 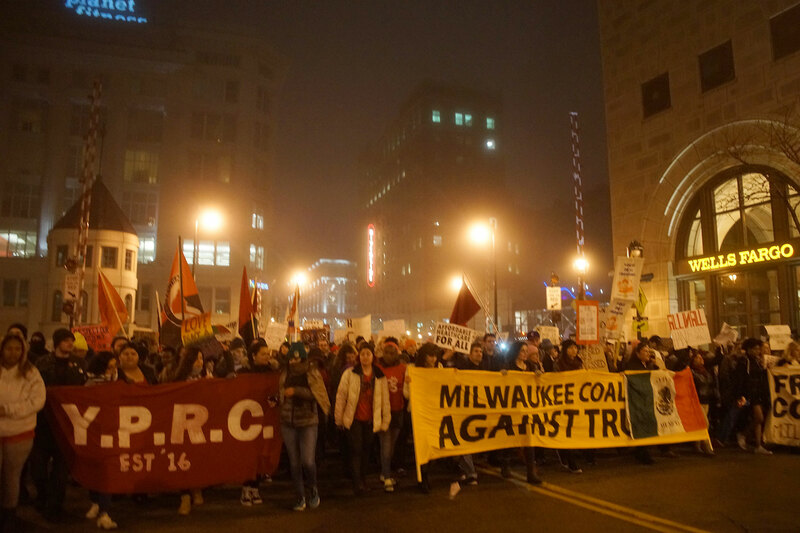 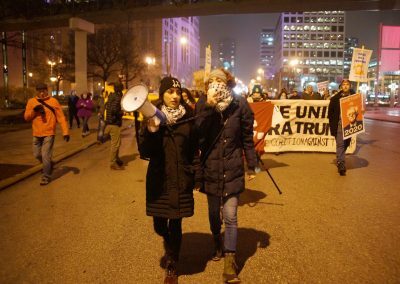 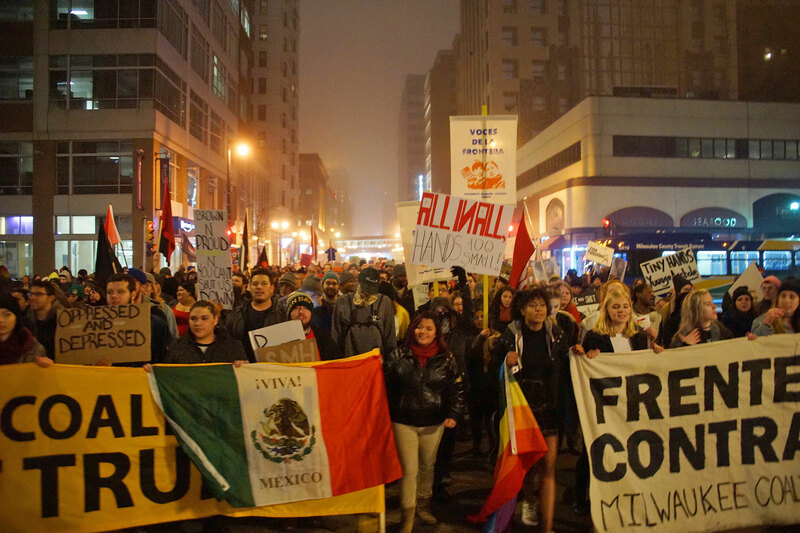 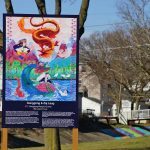 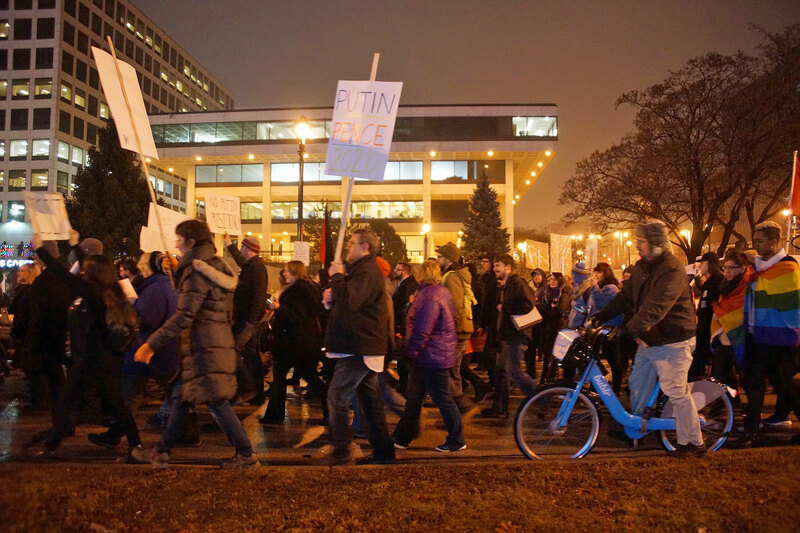 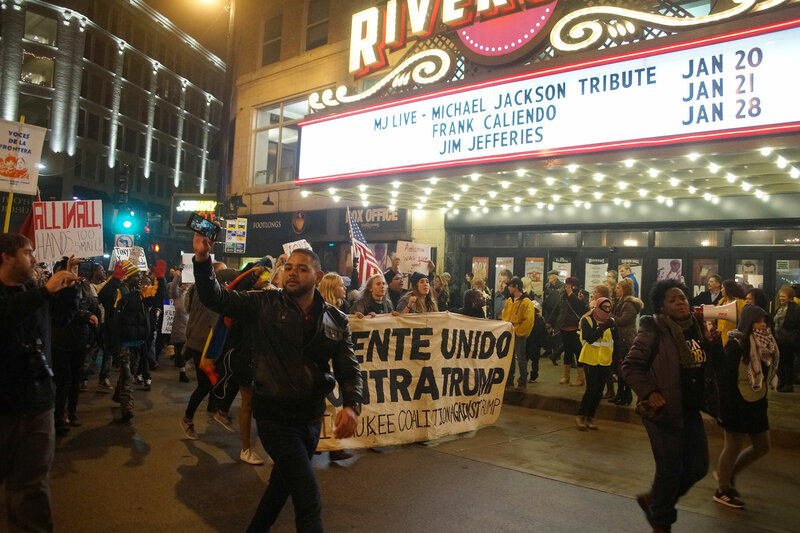 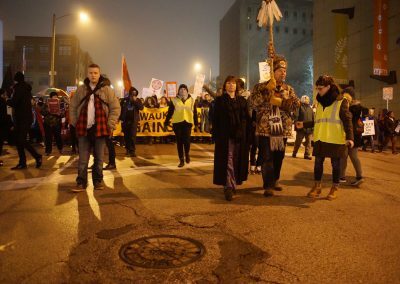 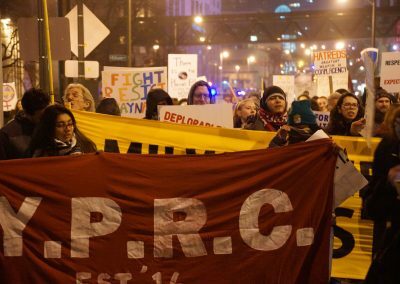 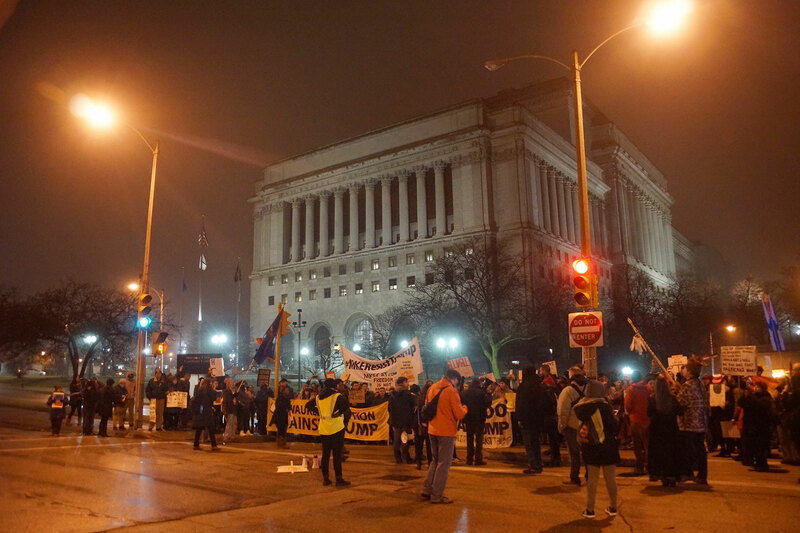 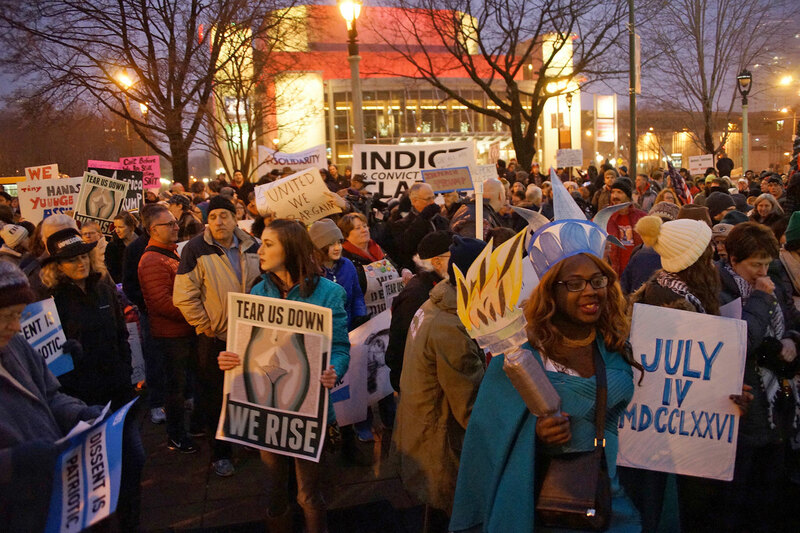 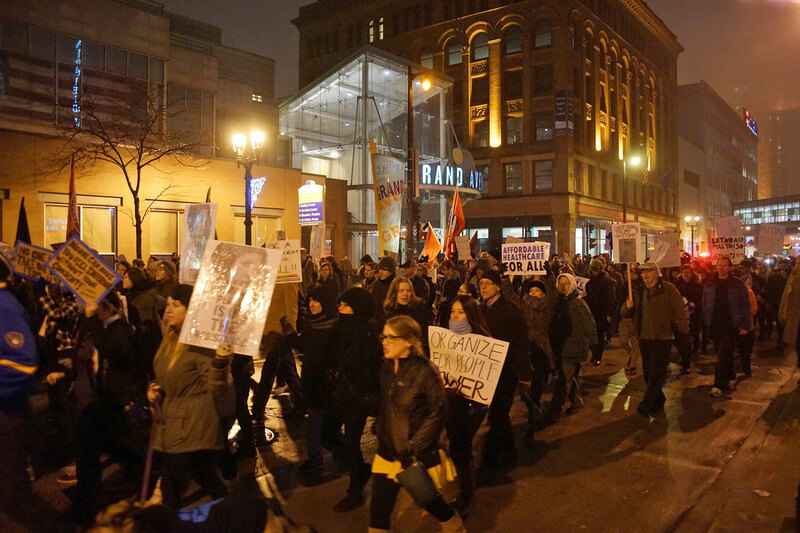 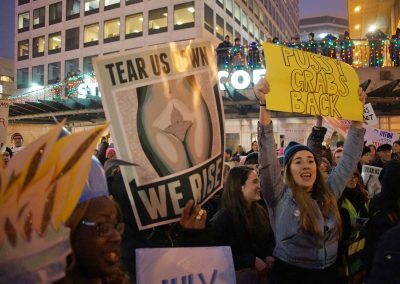 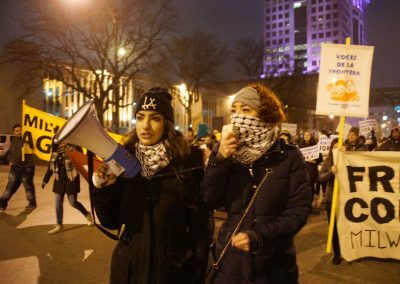 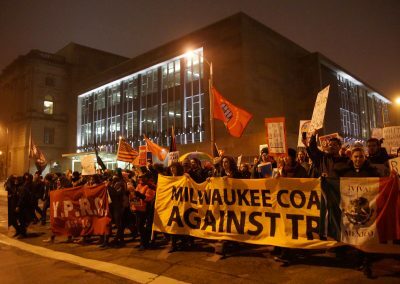 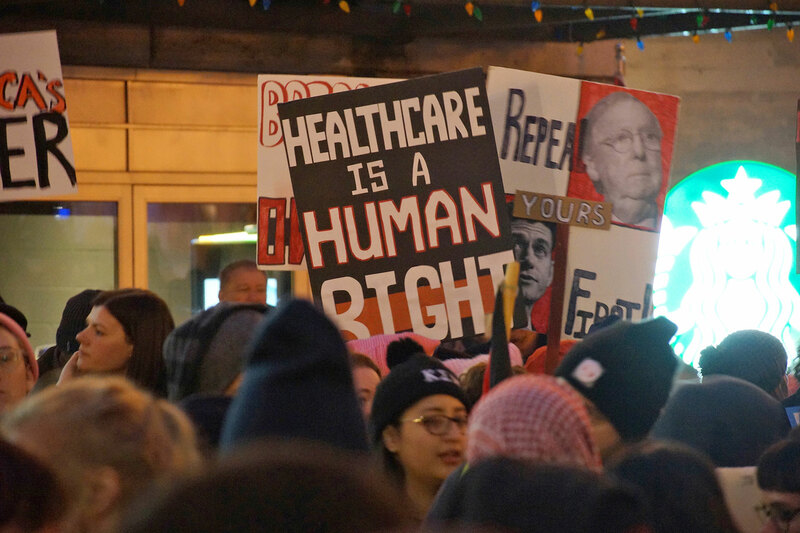 The January 20 protest officially kicked off Milwaukee’s “100 Days of Resistance.” The coordinated effort is designed to educate the community through organized events, in opposition of Trump’s plans for his first 100 days in office. 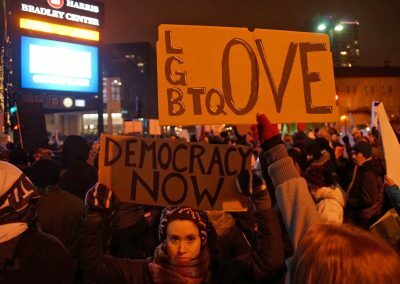 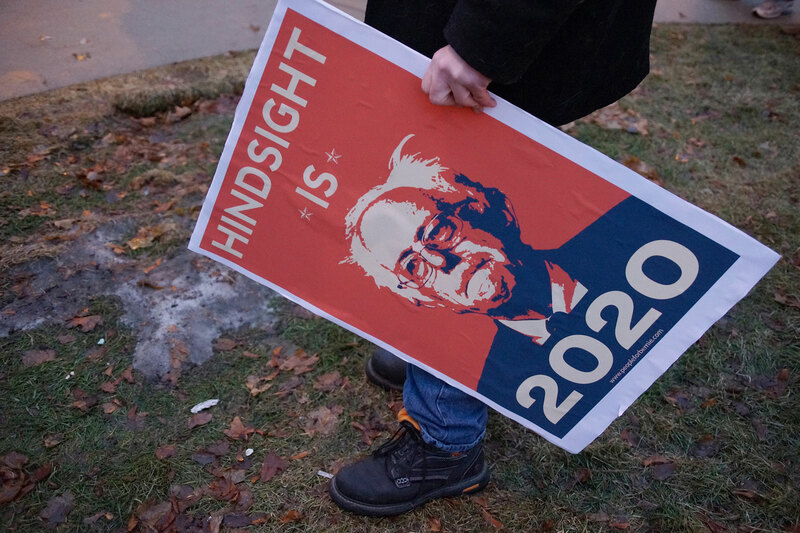 Some of the issues include immigration reform, universal healthcare, rights for women and minorities, and LGBT equality. 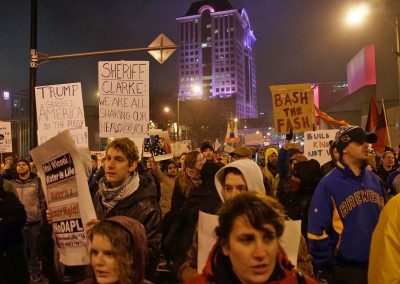 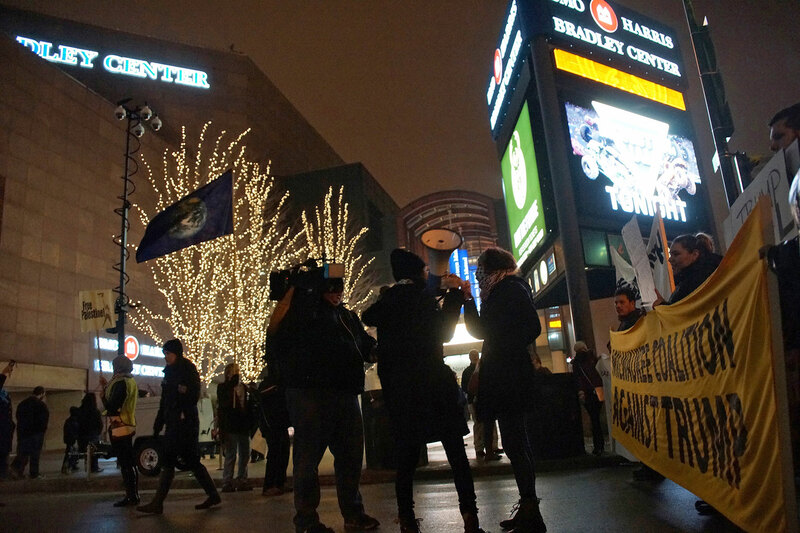 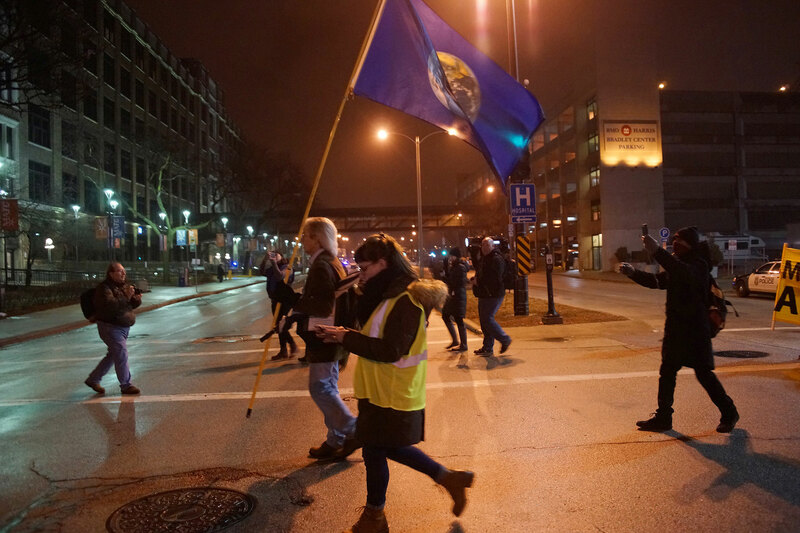 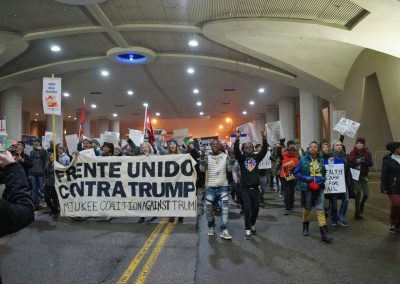 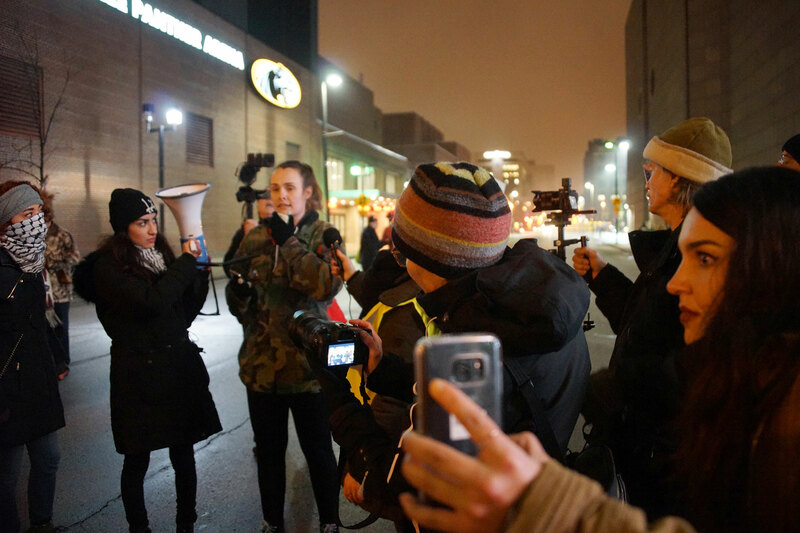 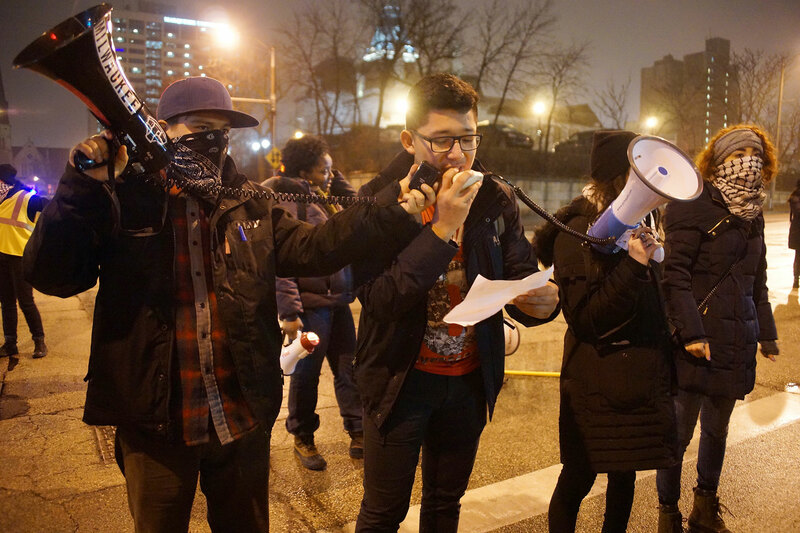 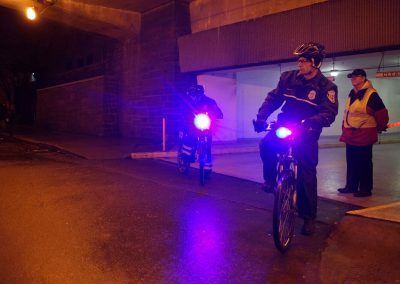 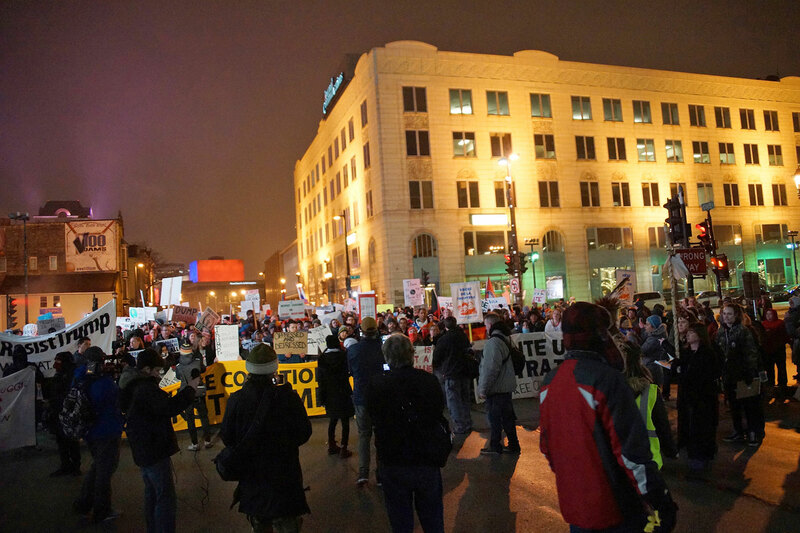 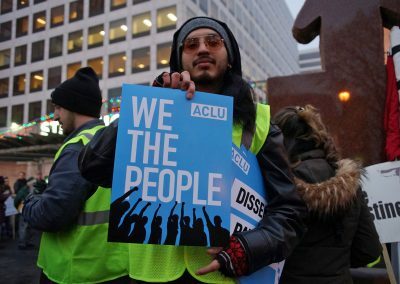 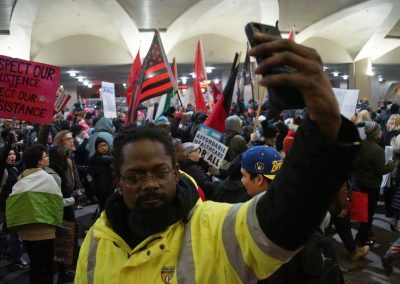 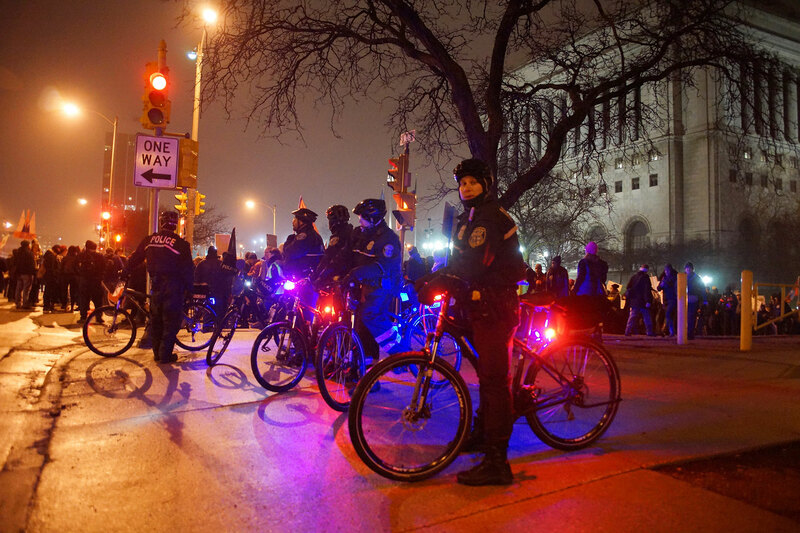 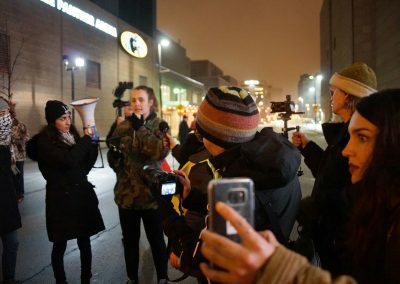 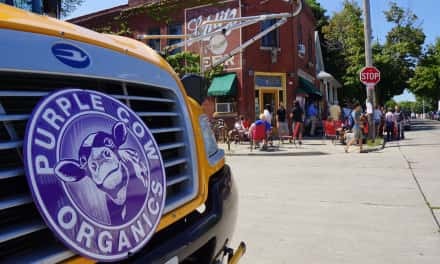 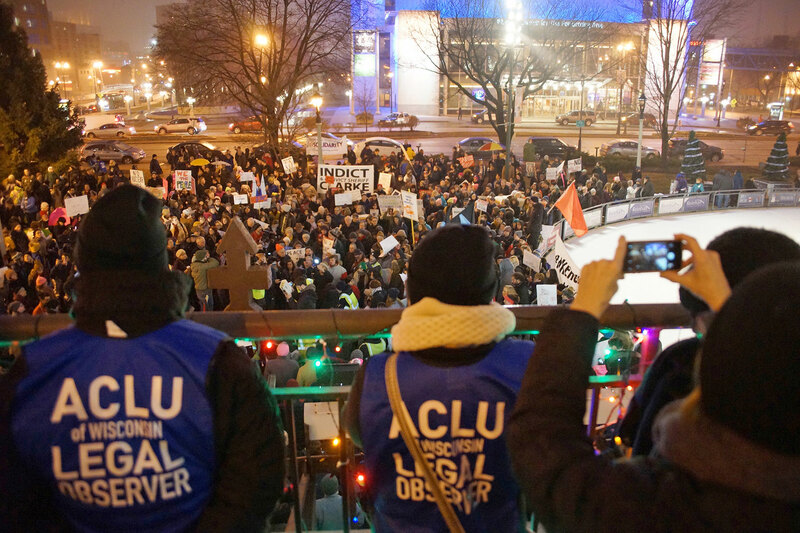 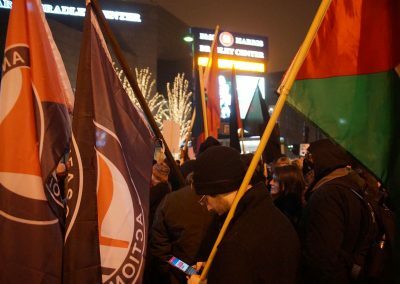 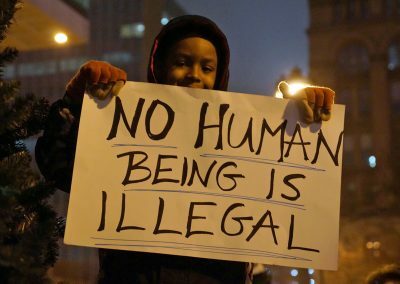 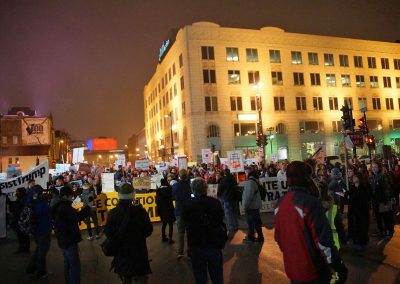 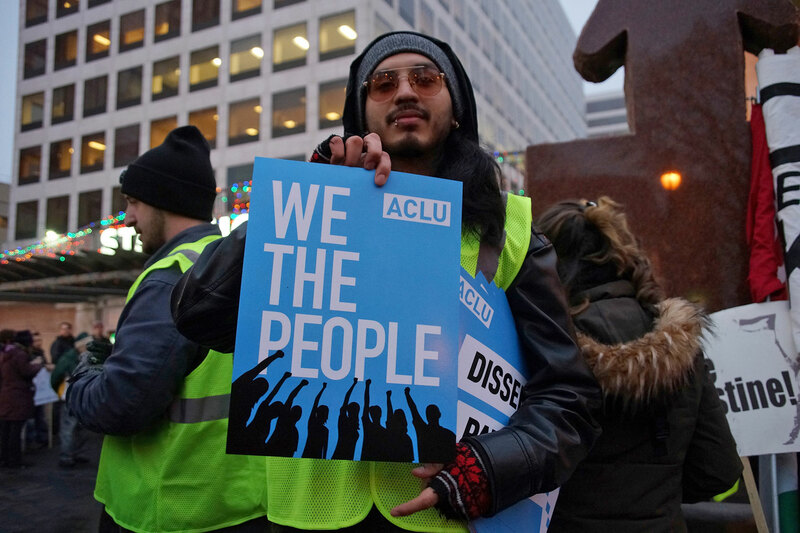 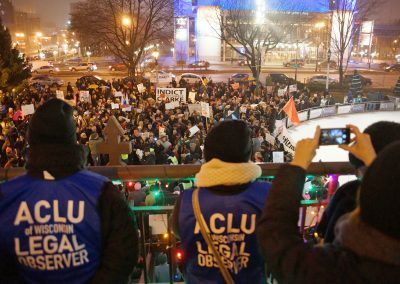 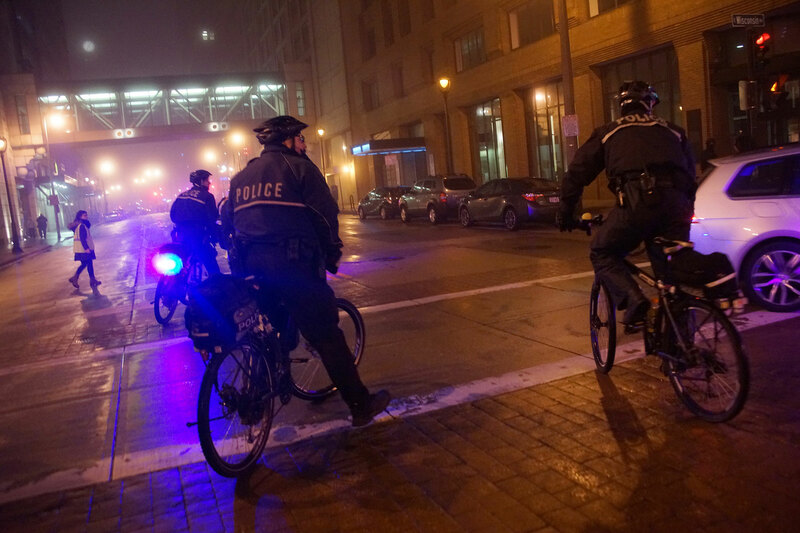 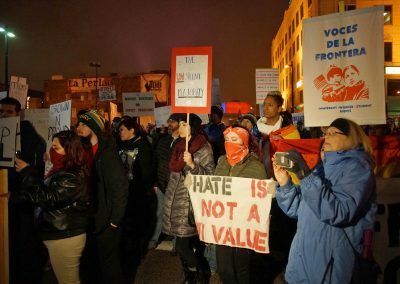 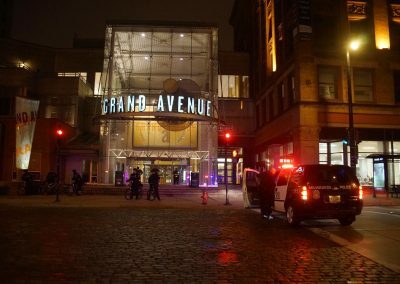 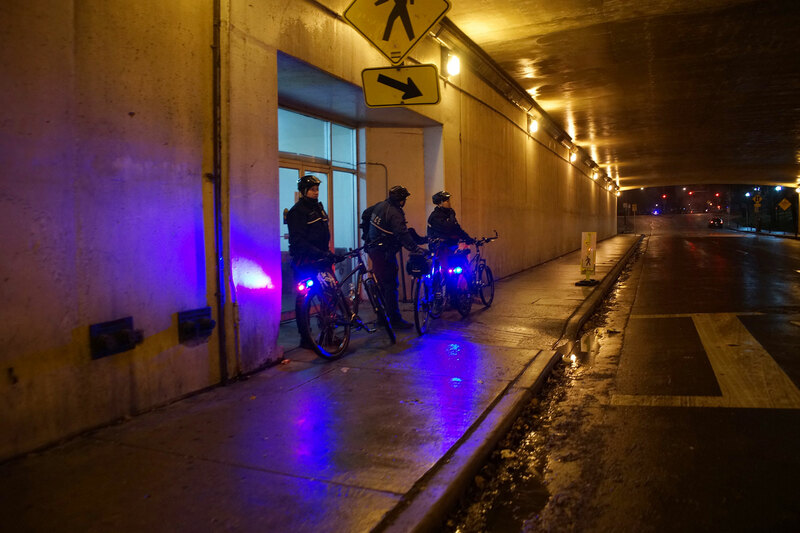 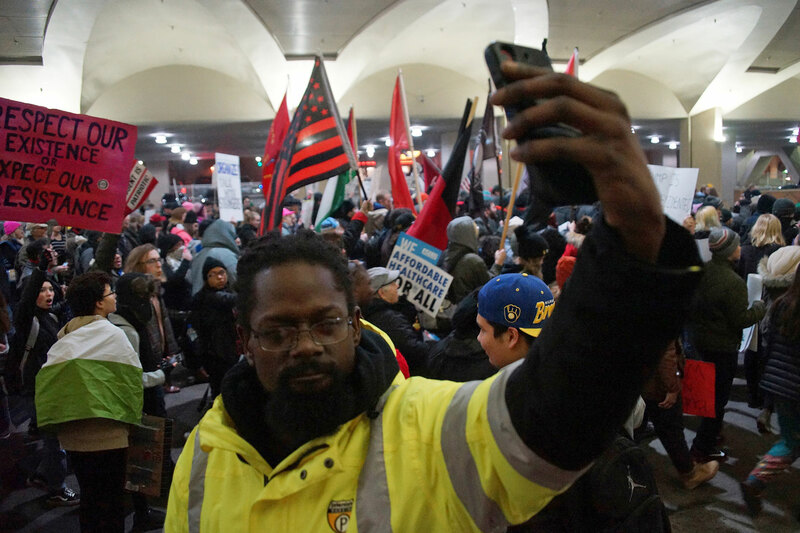 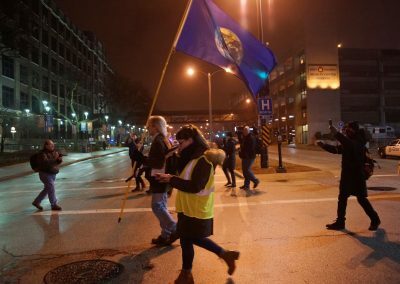 Legal Observers from the American Civil Liberties Union of Wisconsin (ACLU) and several local TV news crews, including the Milwaukee Independent, marched every step of the route and did not witness any public safety issues. 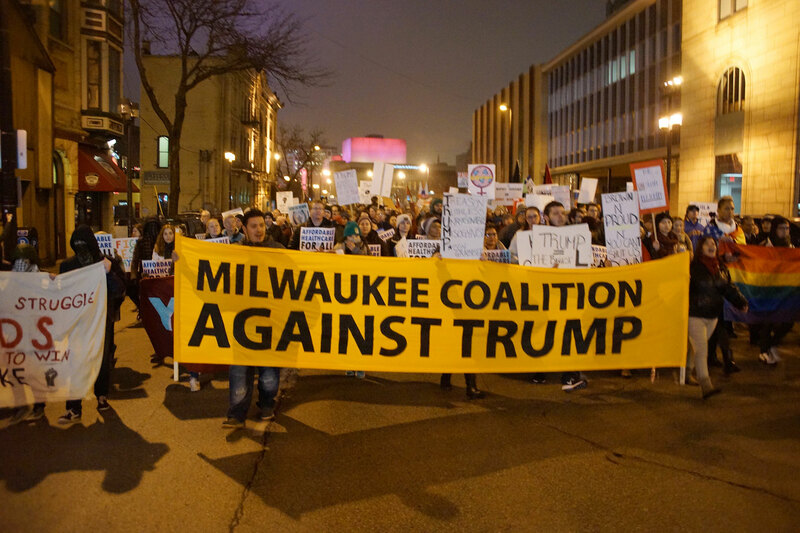 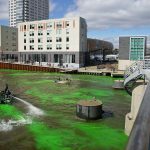 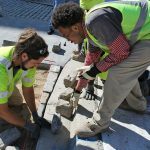 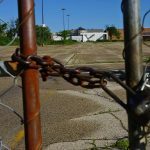 This photo essay is part of an extensive image collection that documents the community reaction in Milwaukee to America’s 45th President, from the downtown to the residential.